Congratulations to Angela and John on tying the knot! 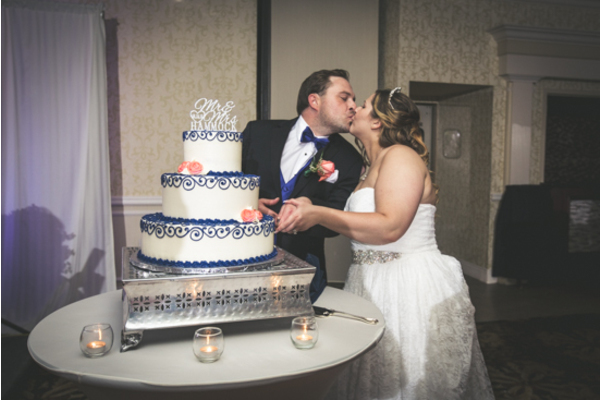 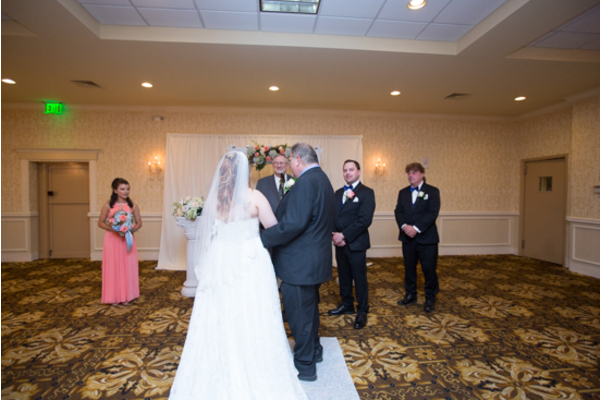 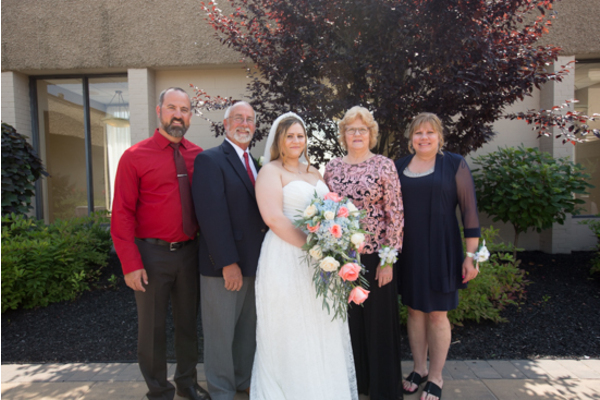 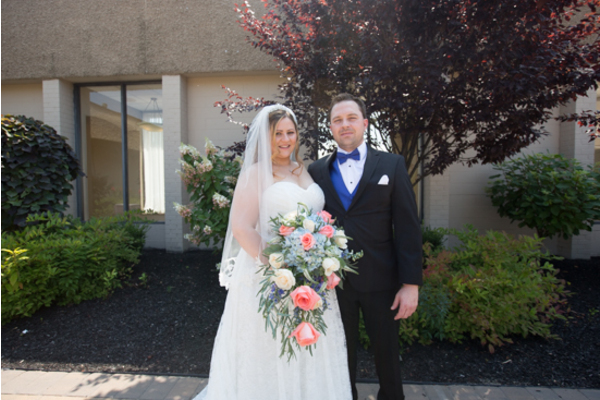 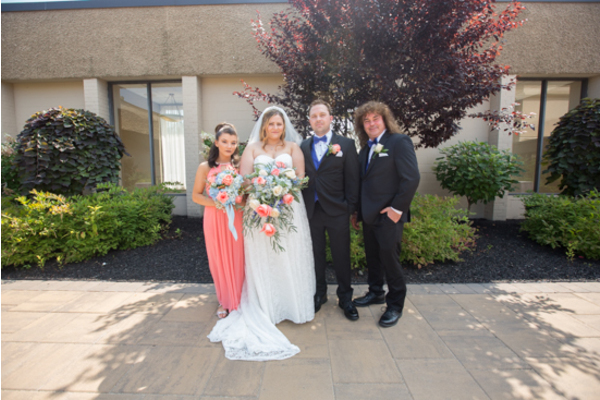 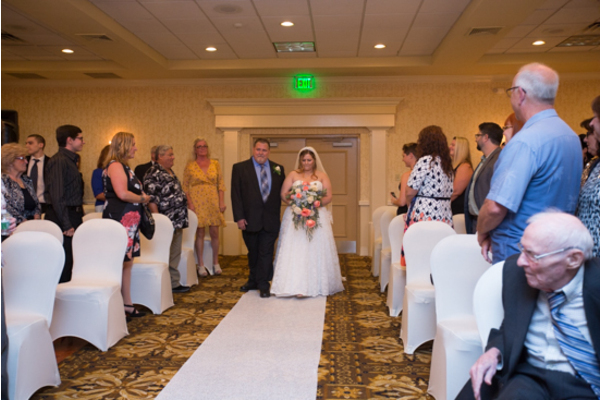 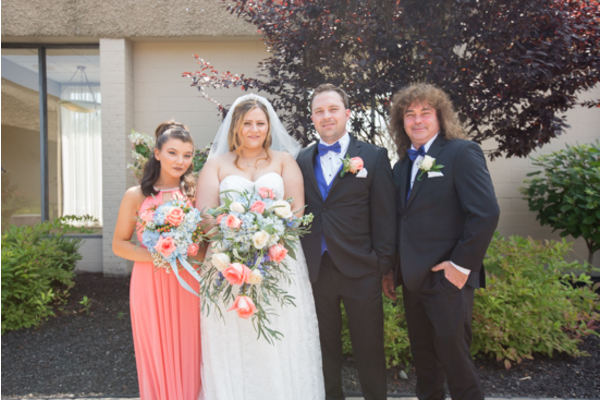 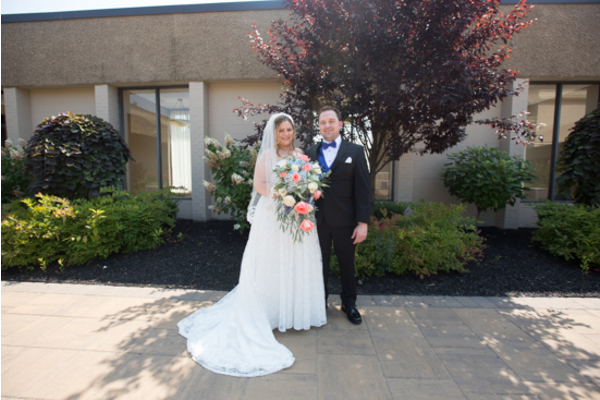 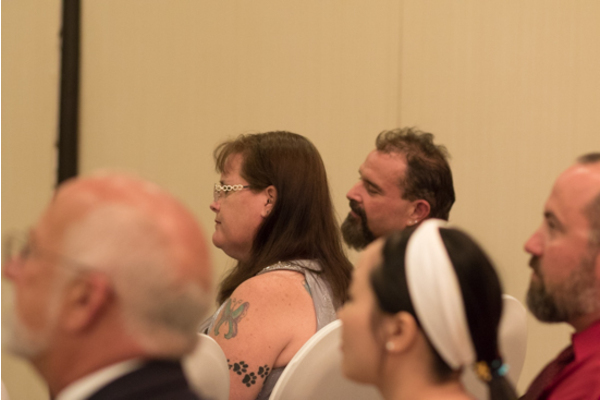 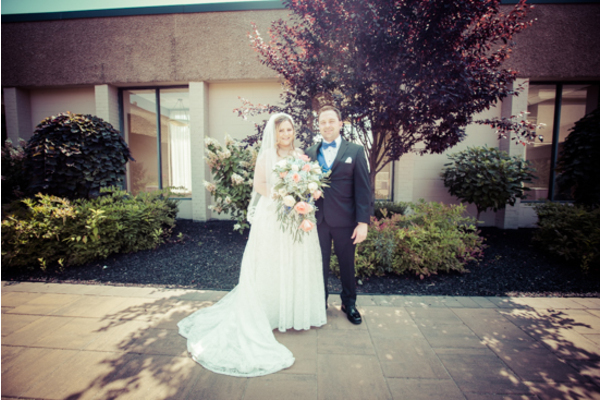 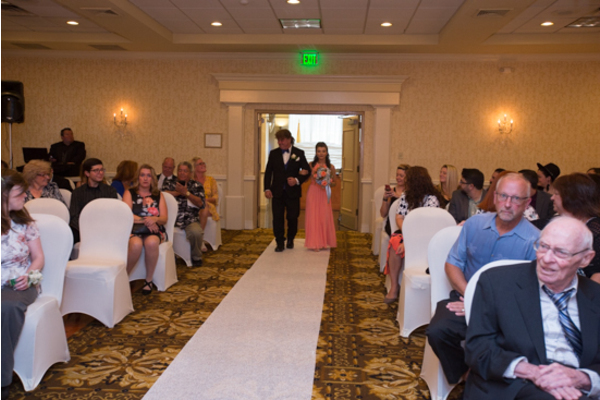 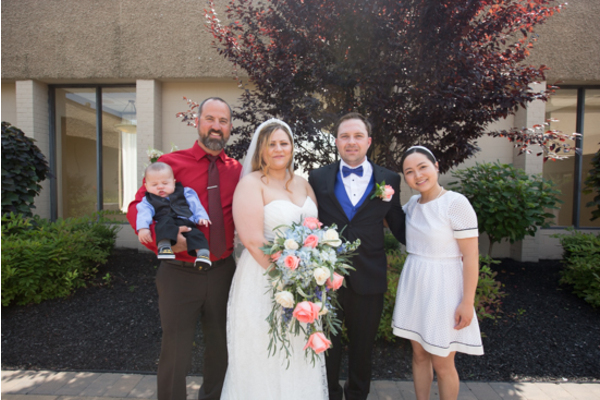 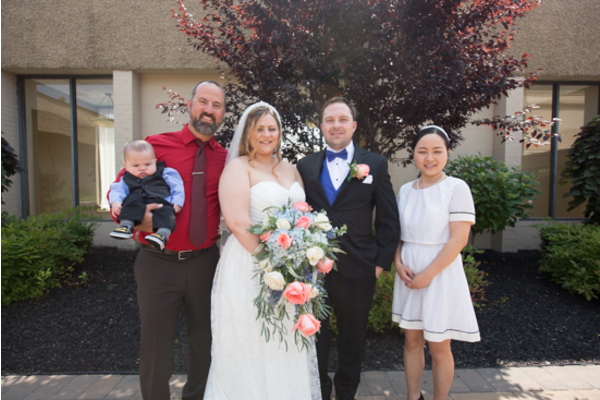 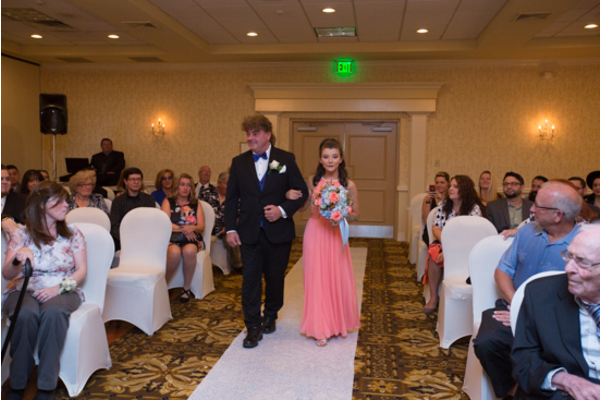 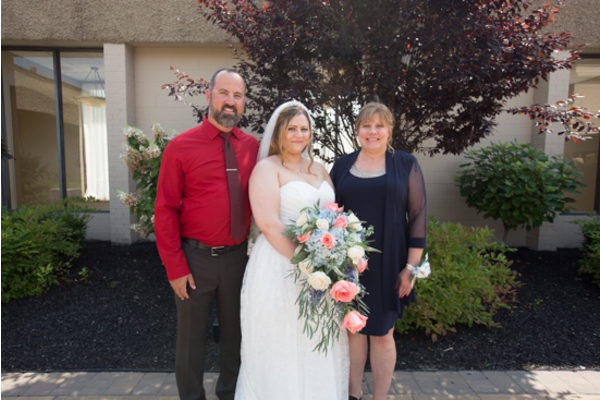 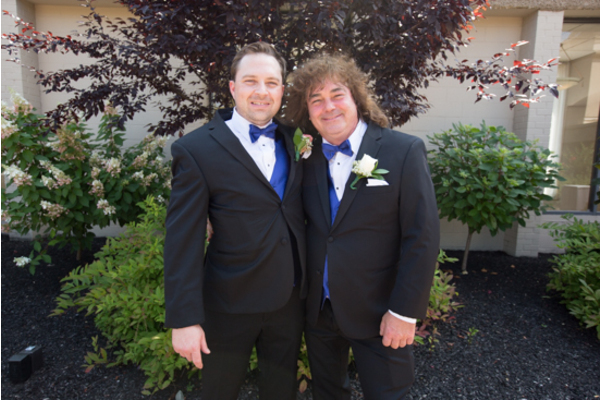 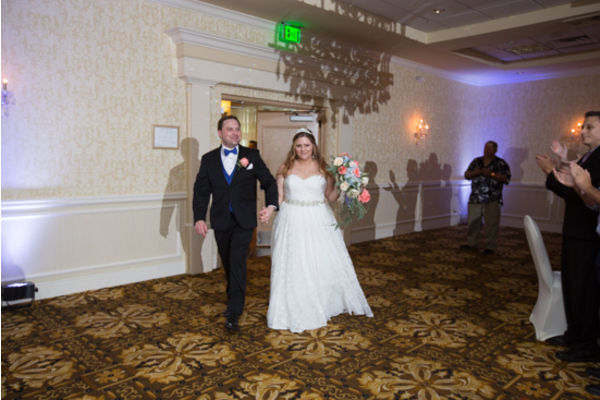 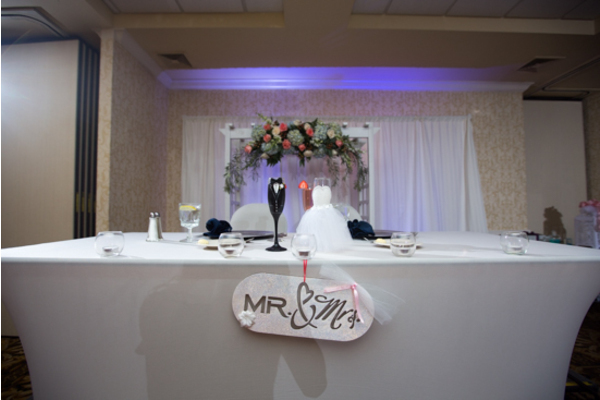 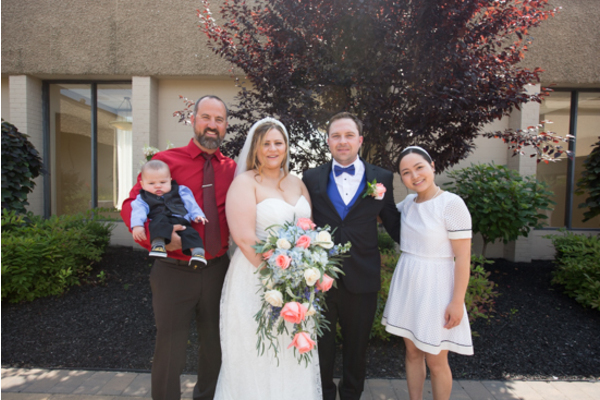 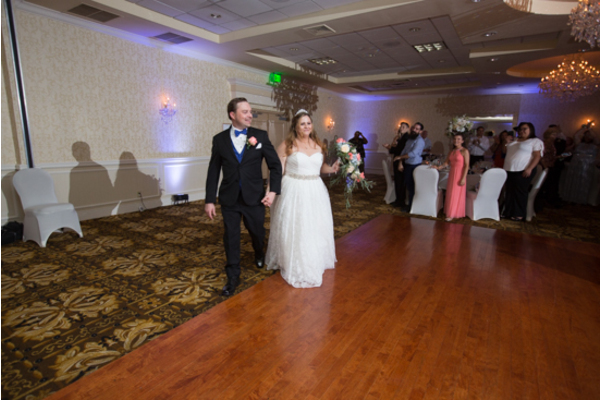 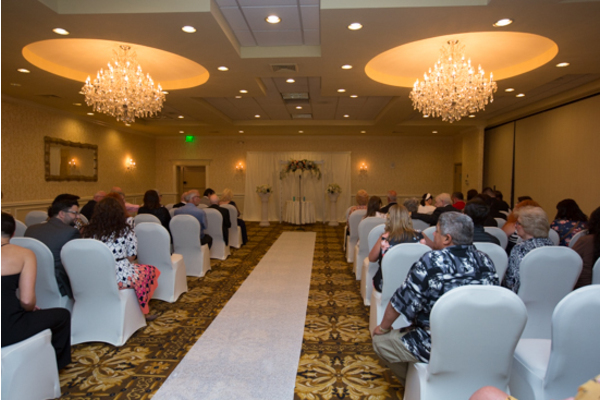 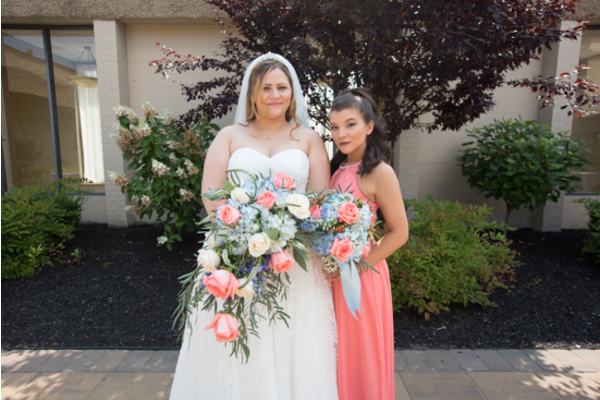 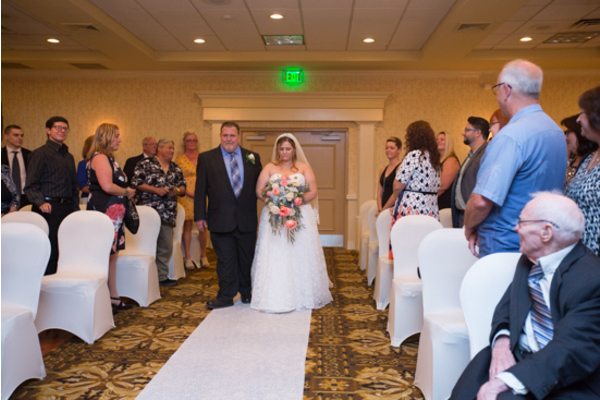 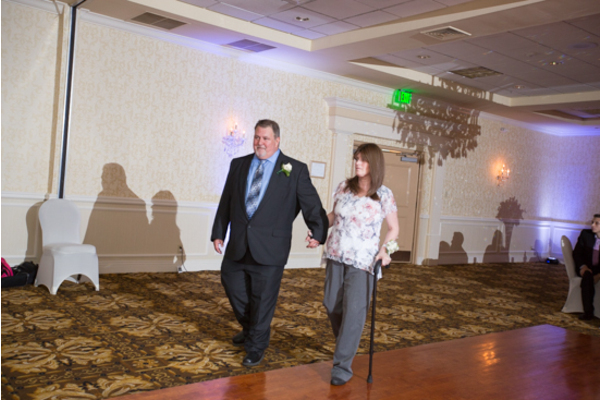 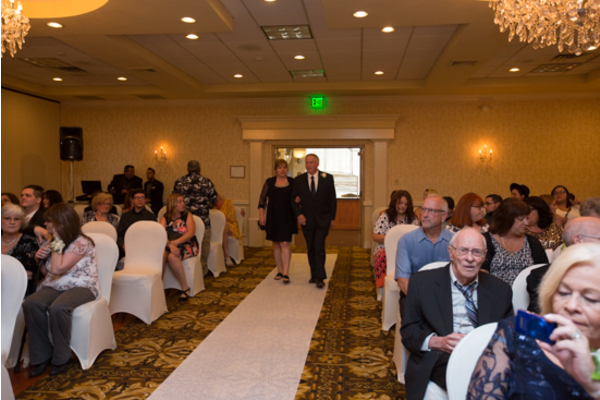 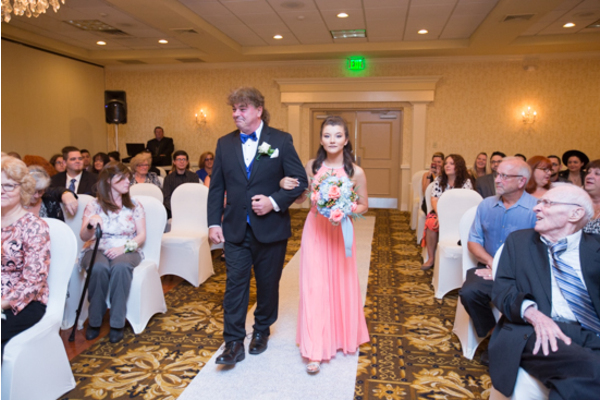 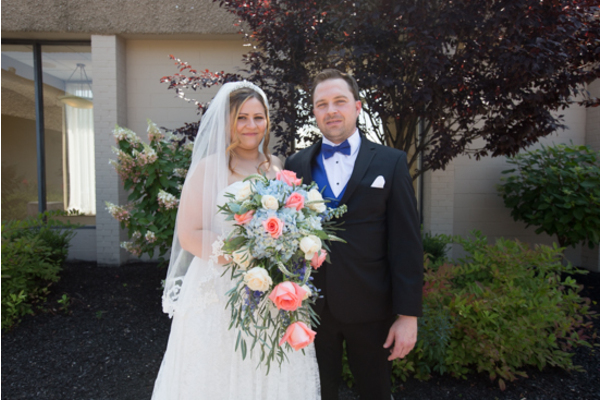 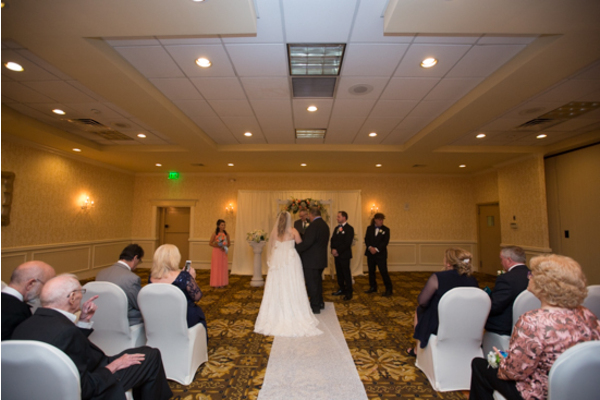 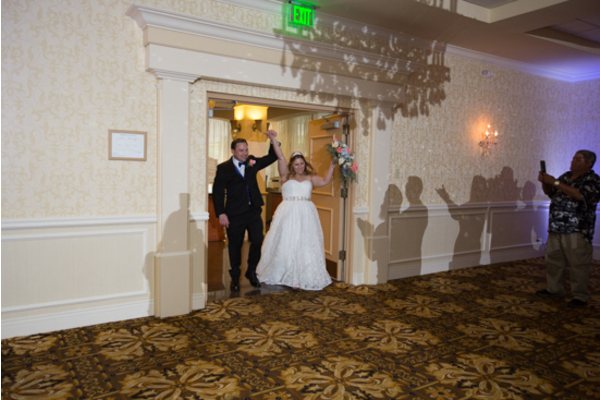 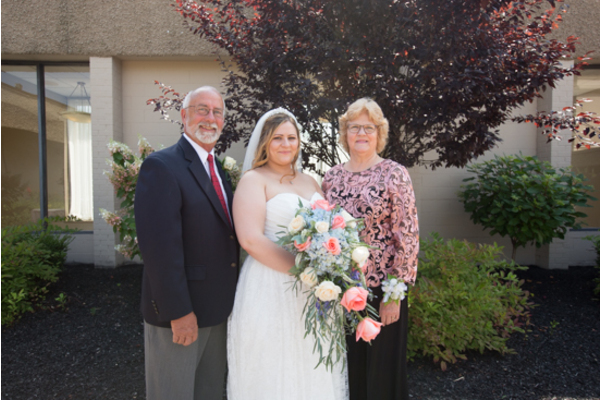 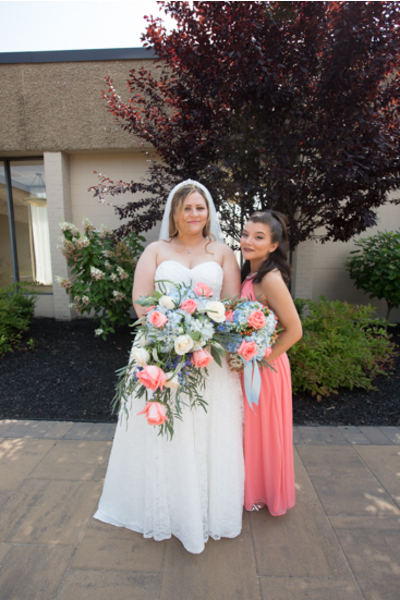 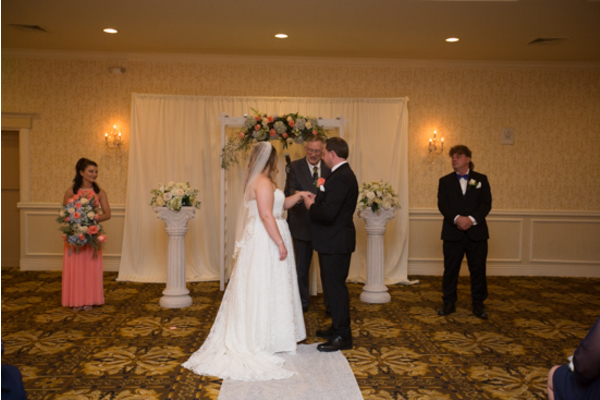 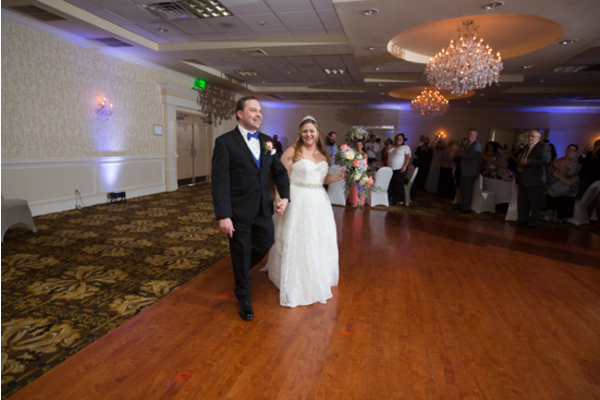 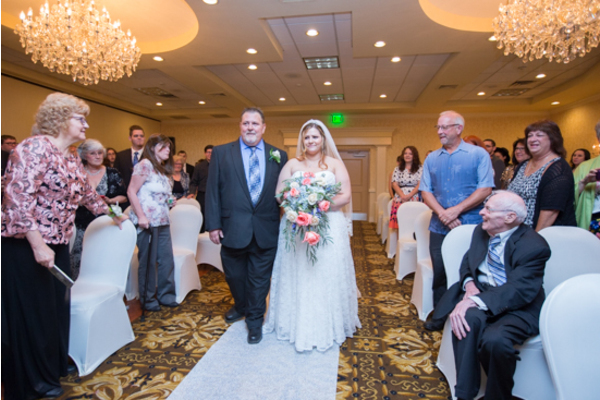 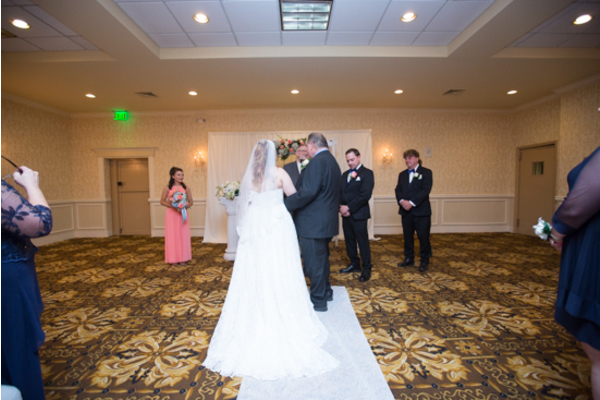 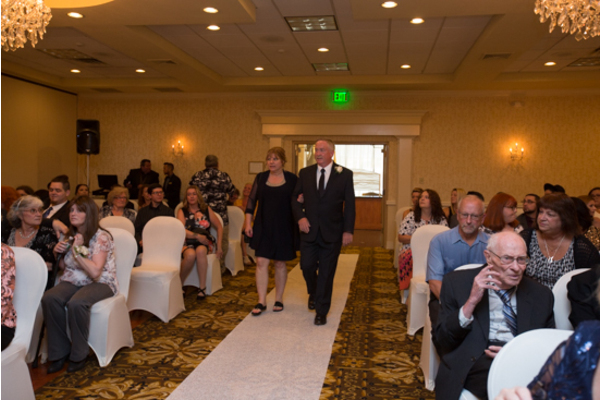 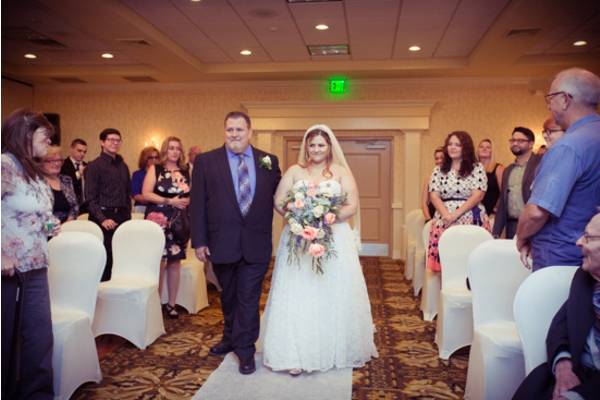 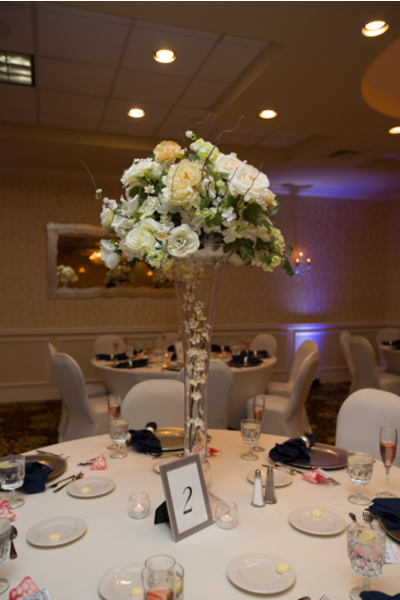 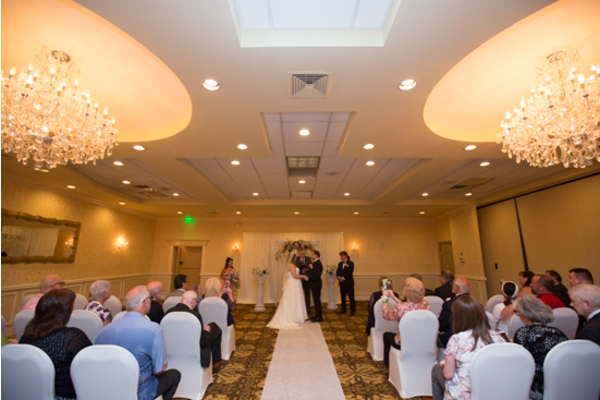 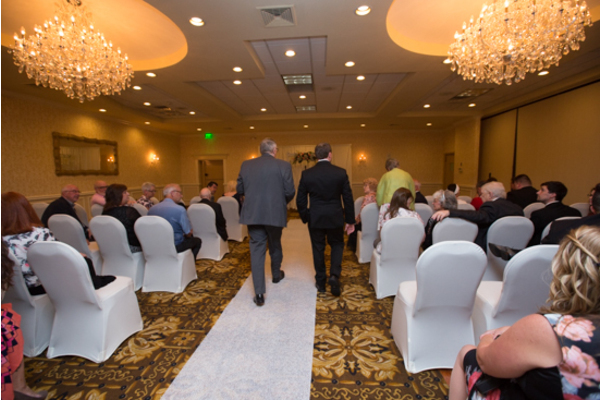 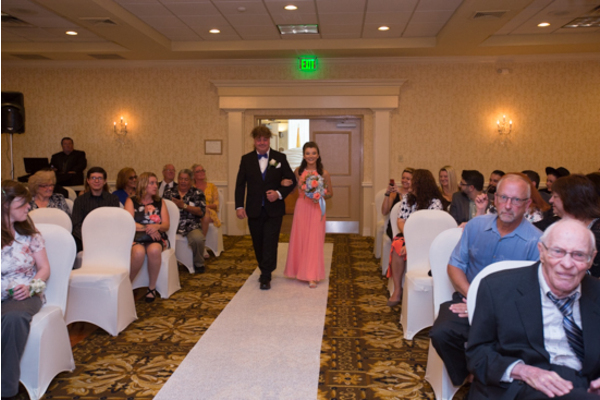 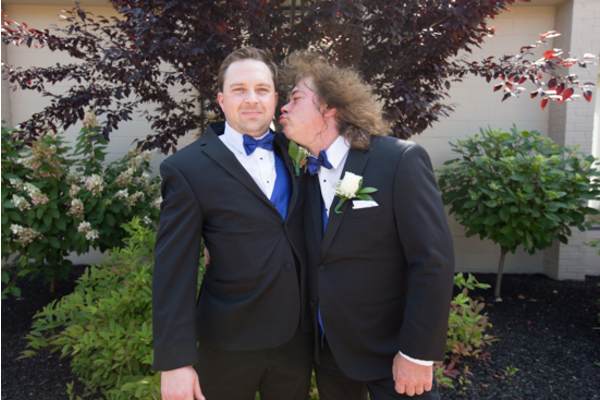 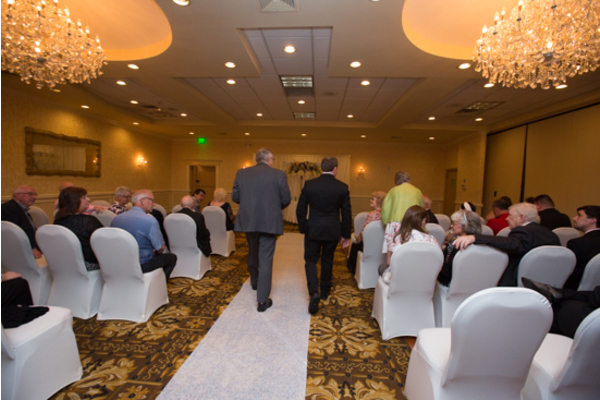 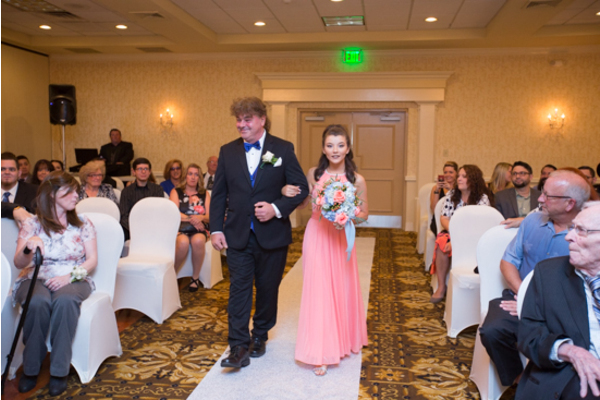 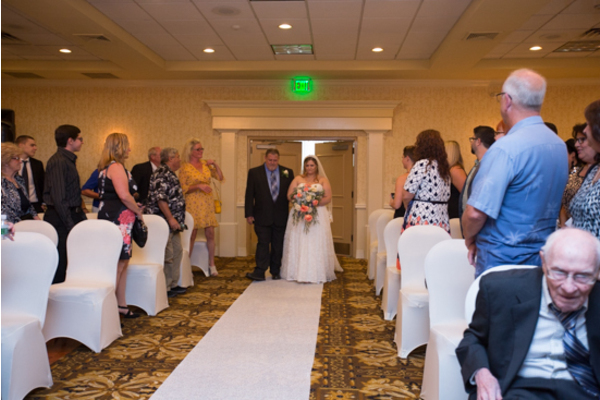 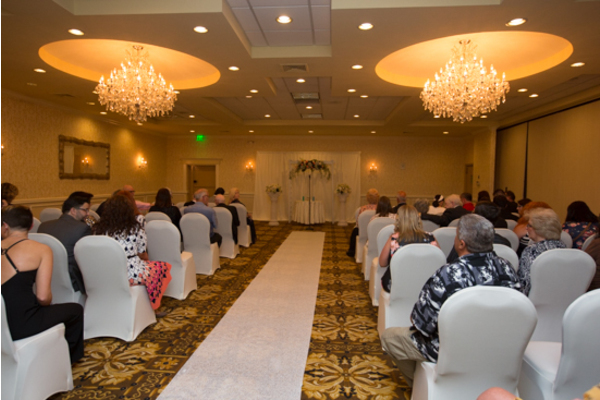 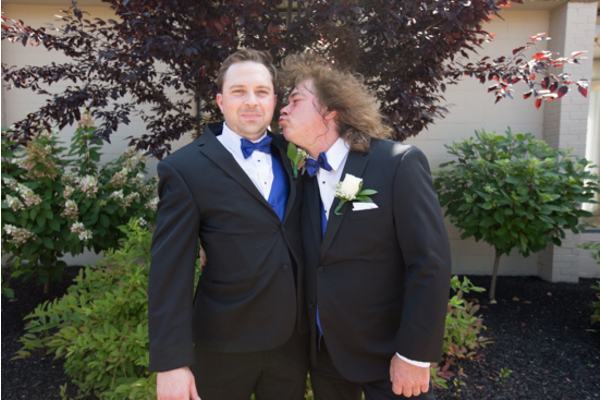 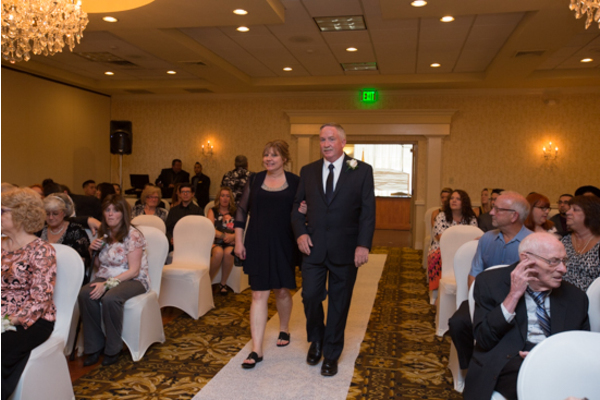 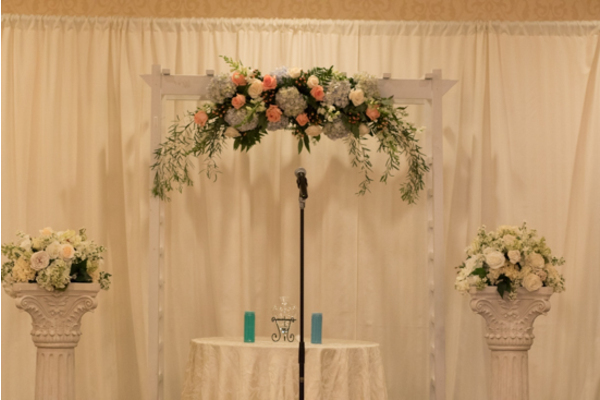 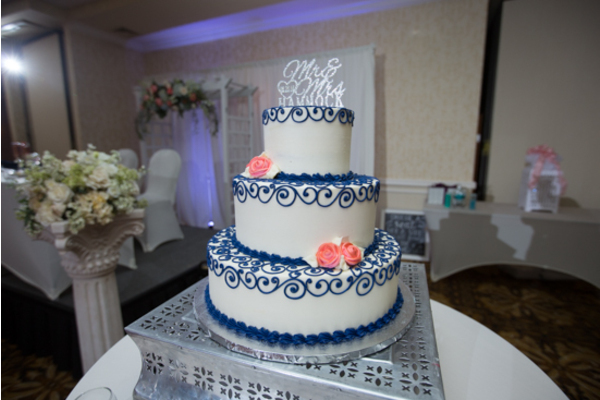 This happy couple got married on August 26th, 2018 at the Windsor Ballroom East Windsor, NJ. 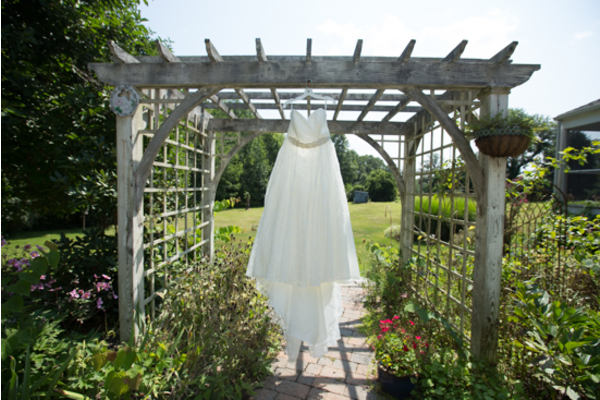 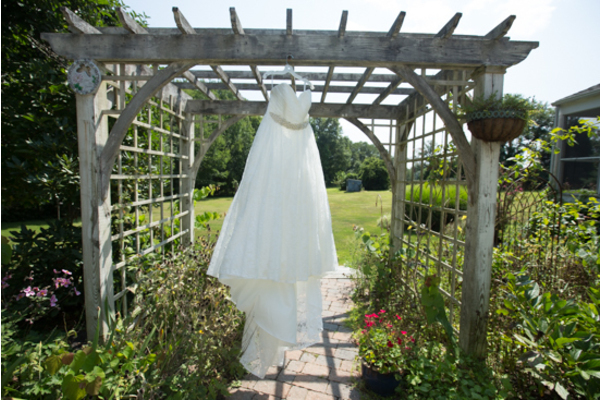 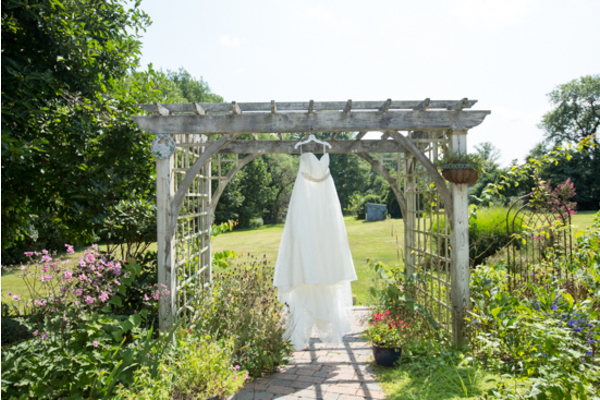 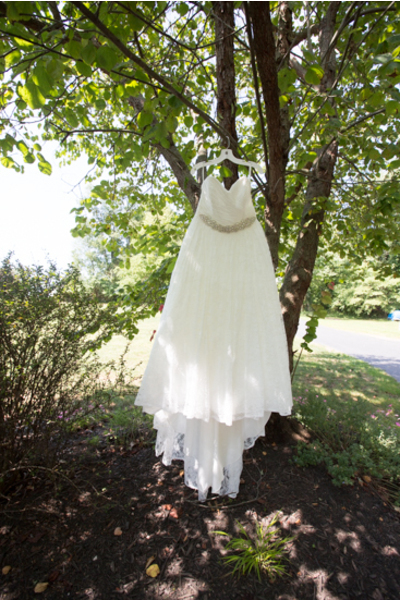 During the early hours of the day, Angela’s gown hung from a stunning garden. 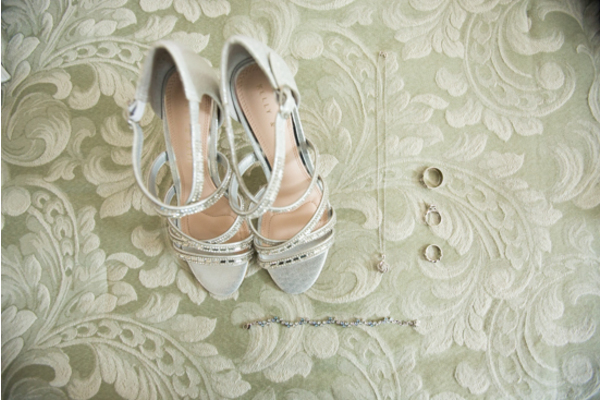 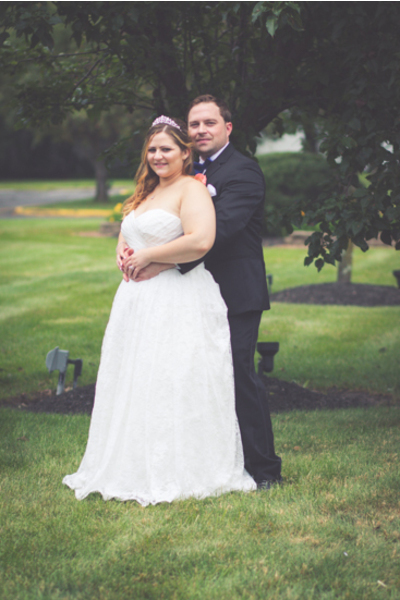 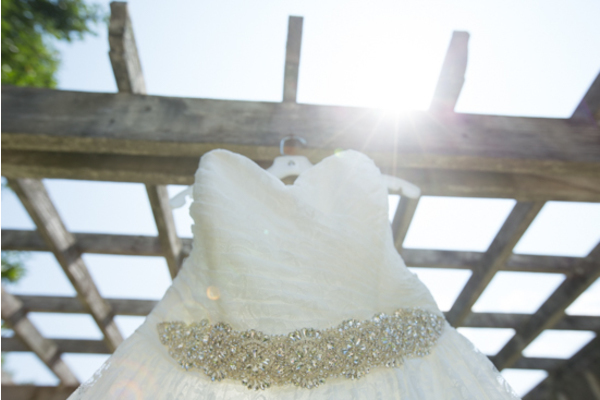 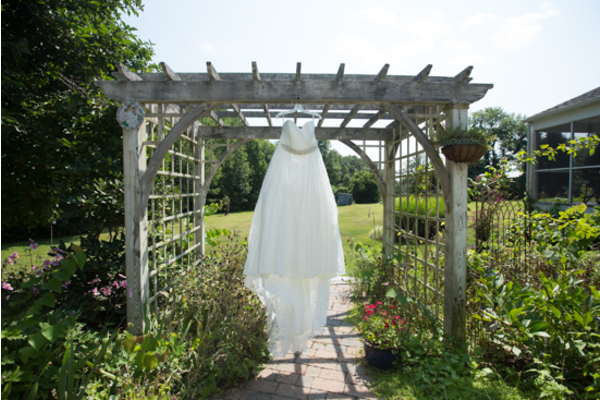 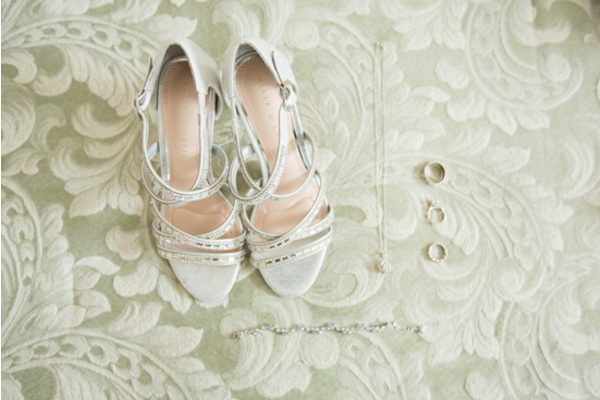 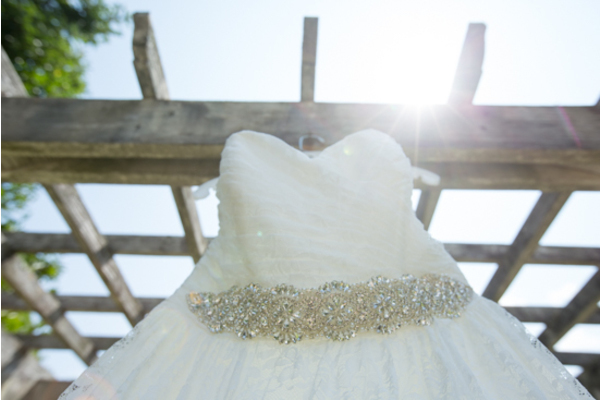 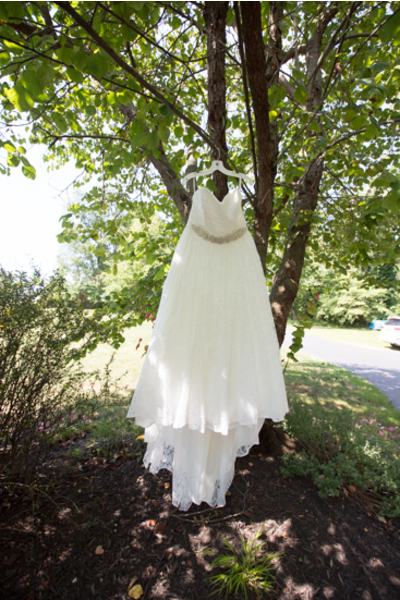 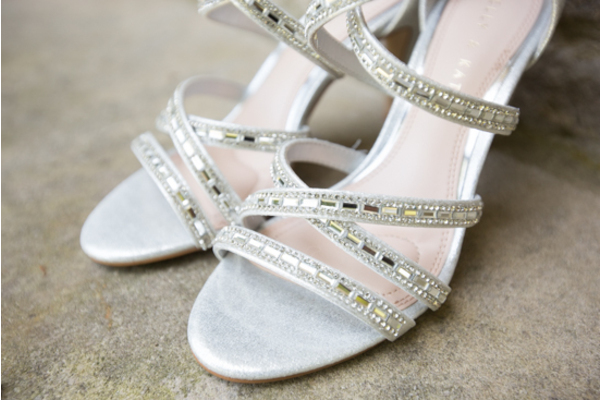 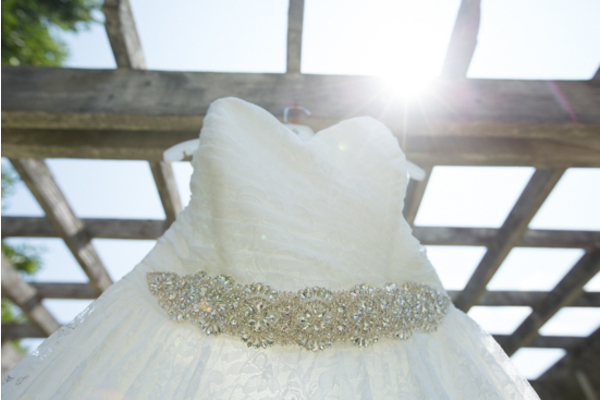 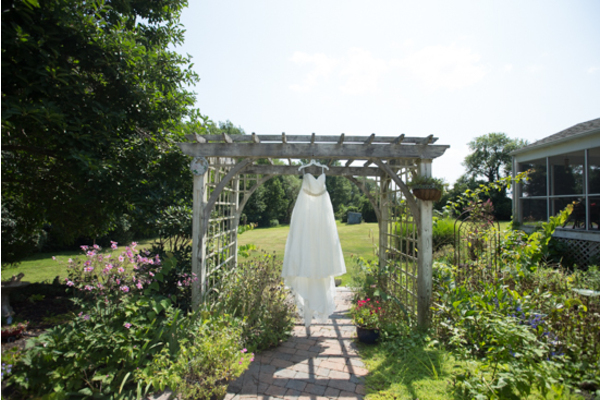 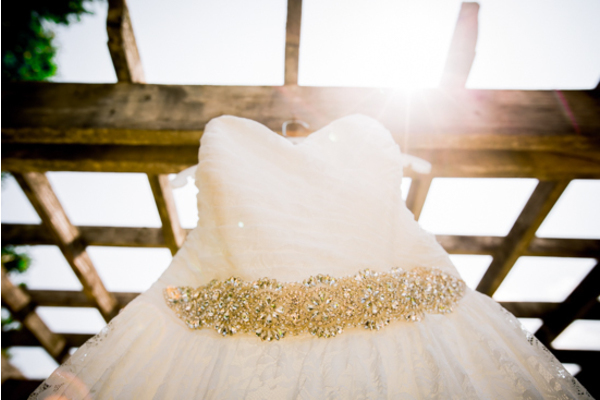 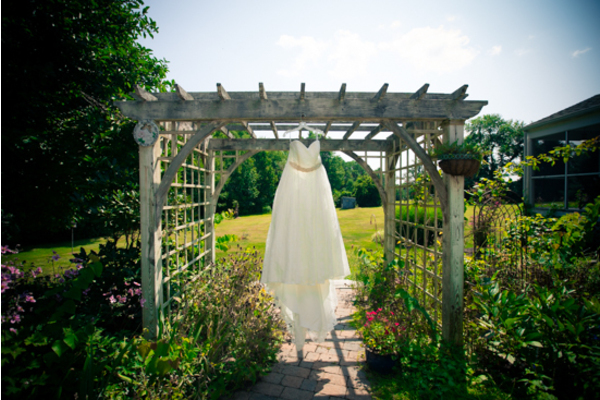 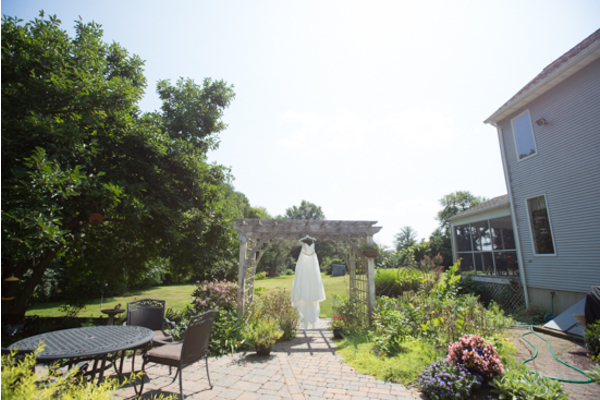 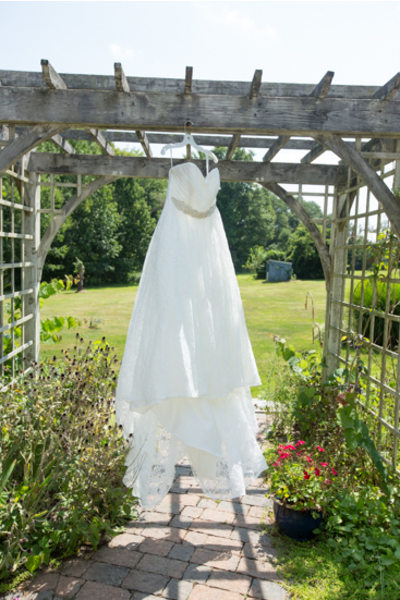 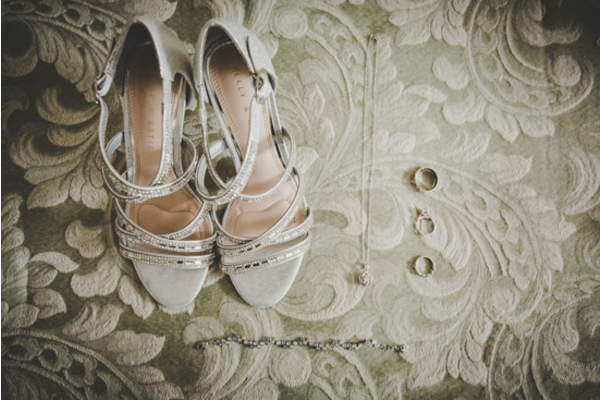 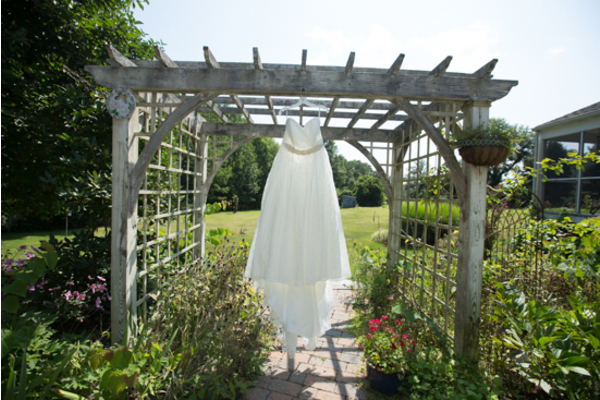 The warm, August sun was shining through the crisp white dress captured by our NJ Wedding Photographer! 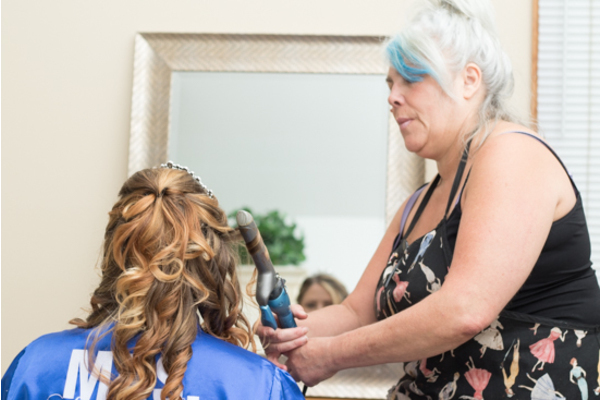 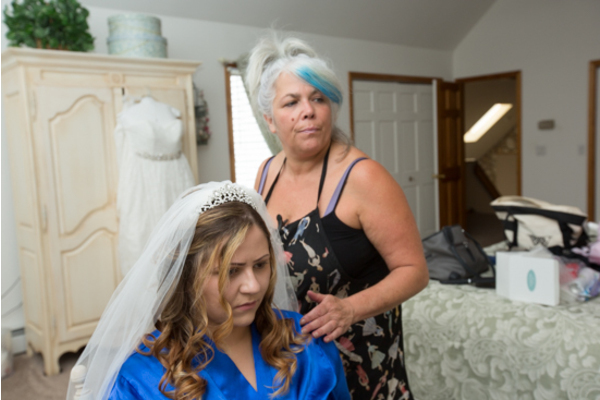 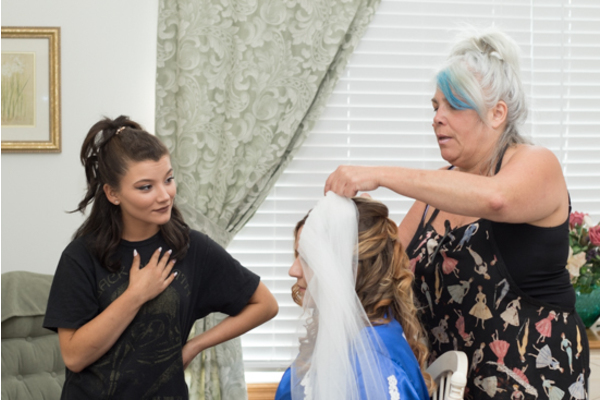 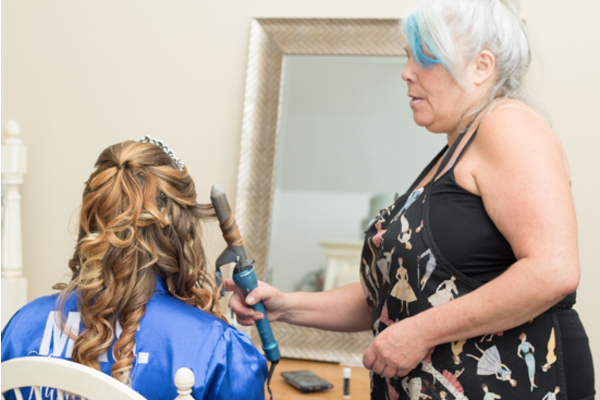 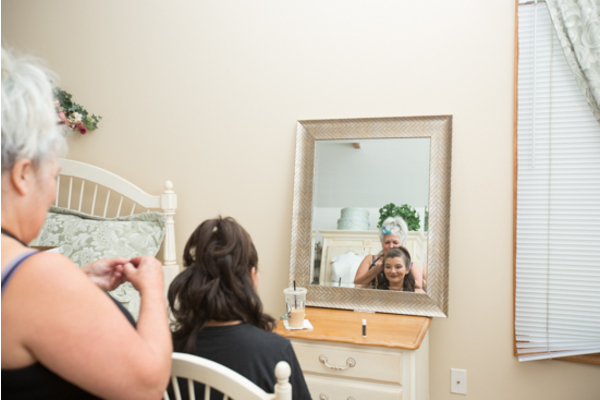 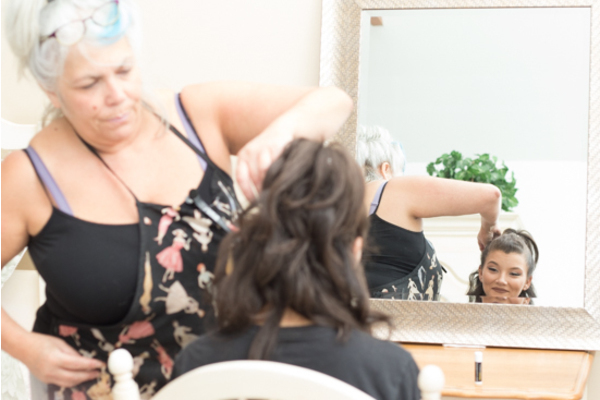 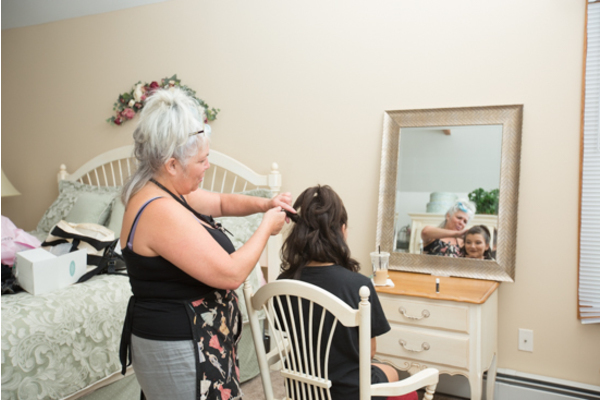 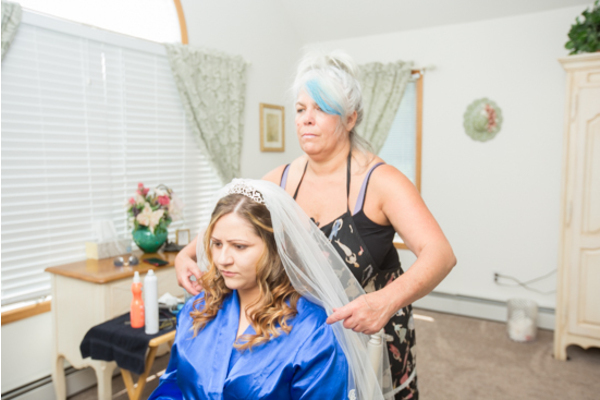 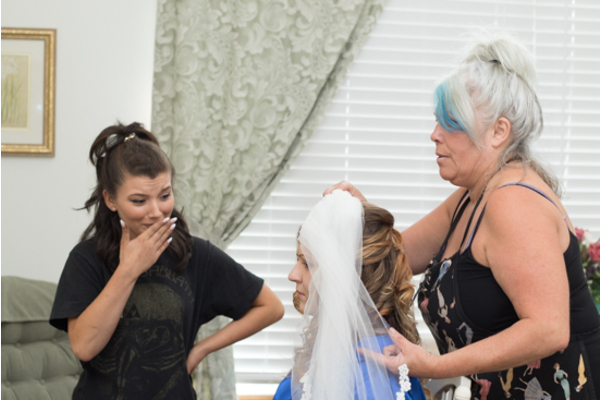 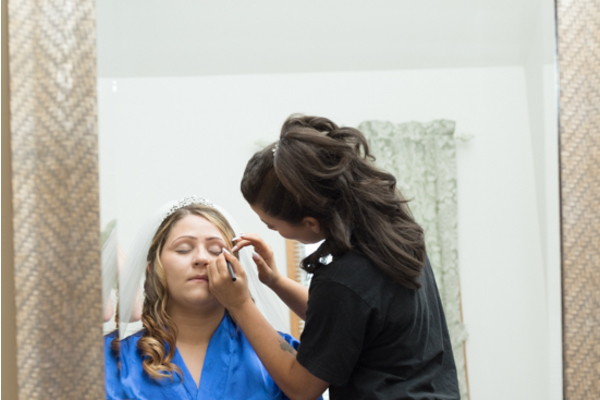 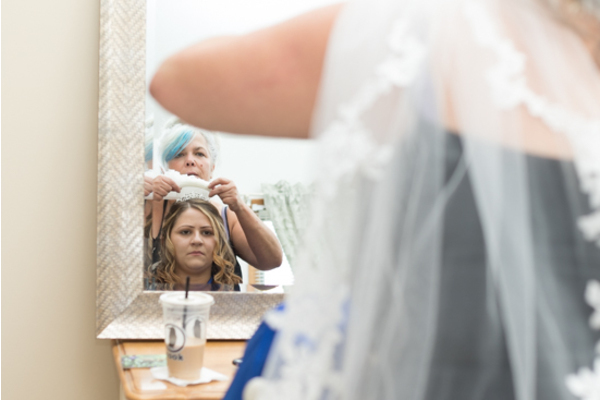 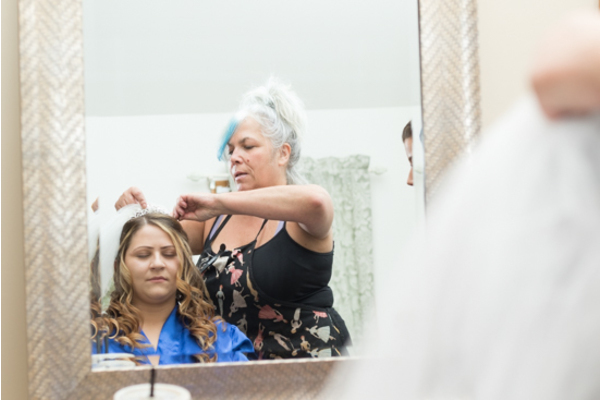 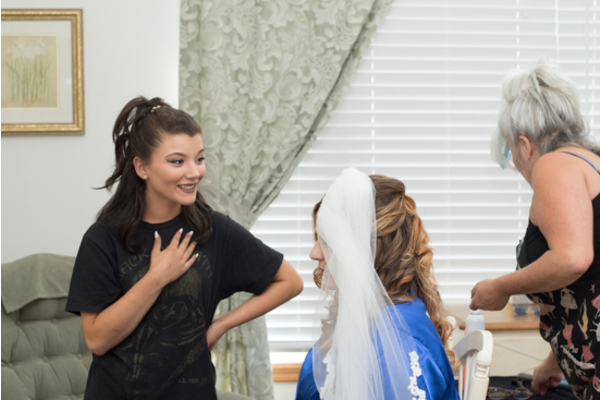 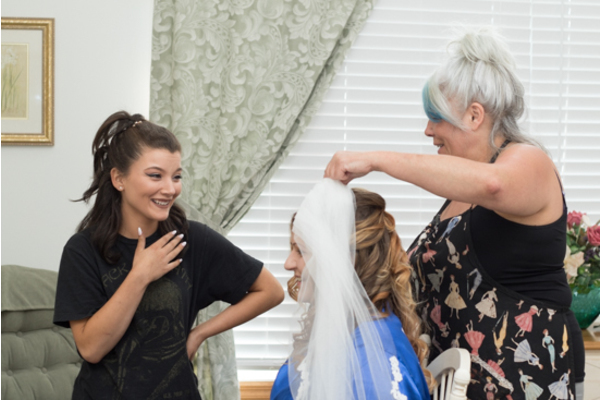 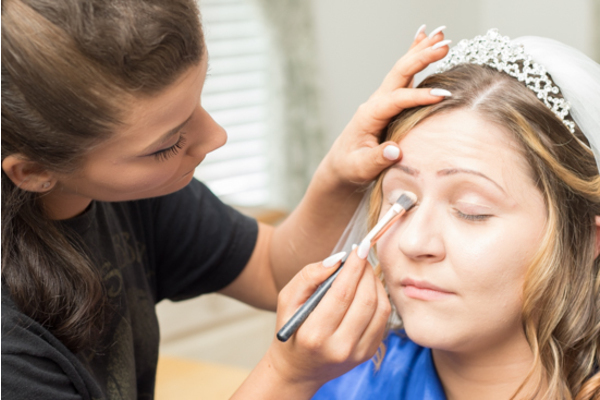 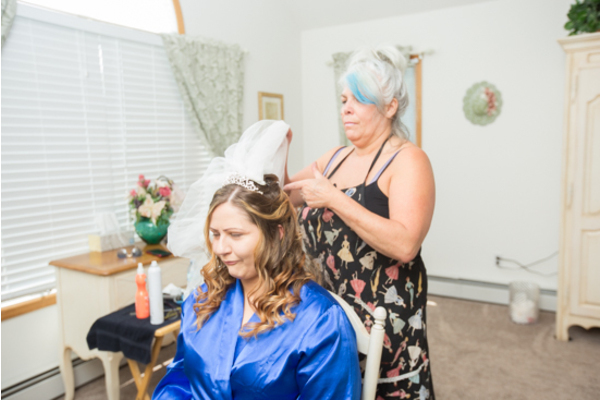 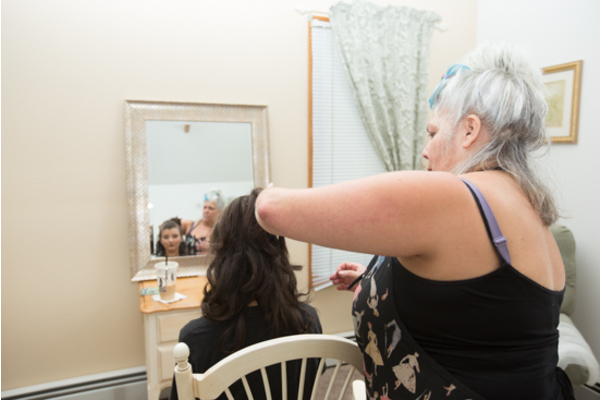 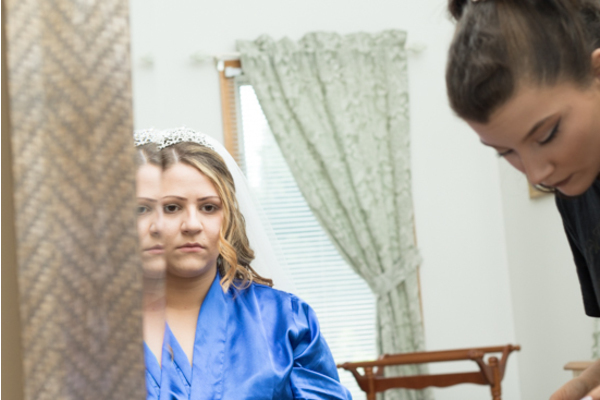 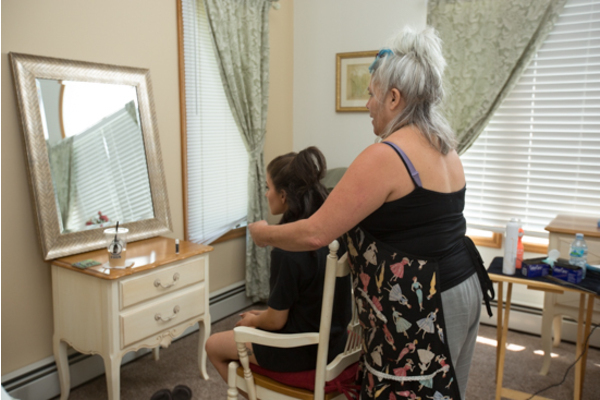 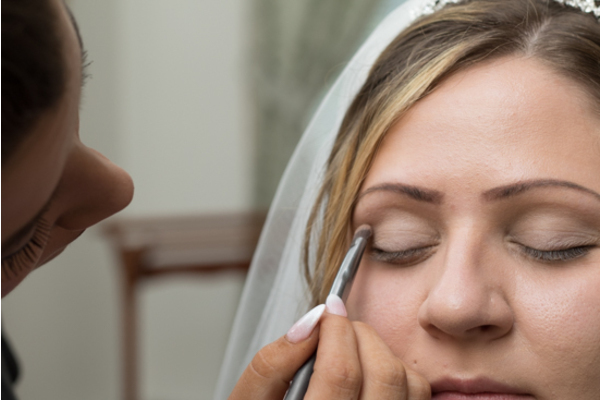 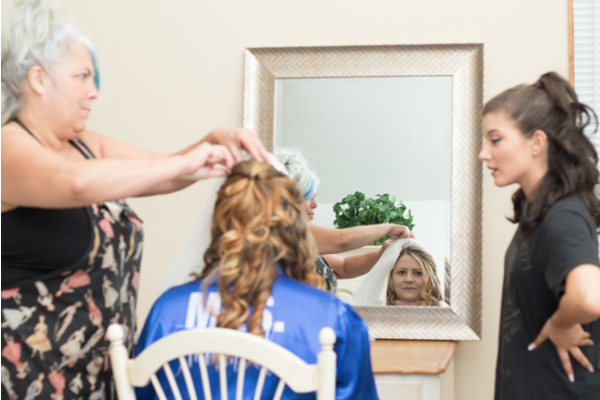 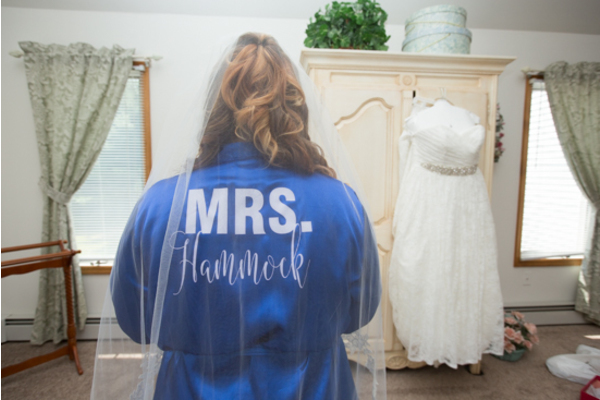 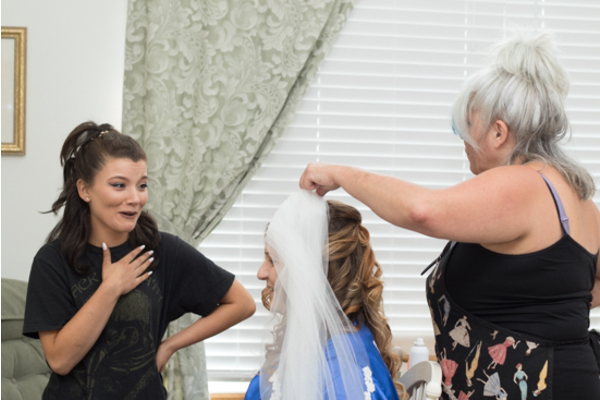 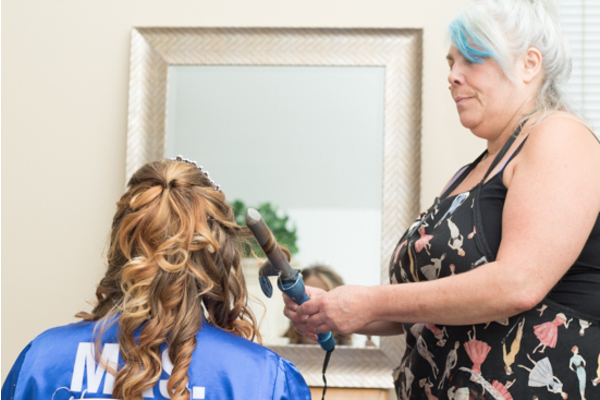 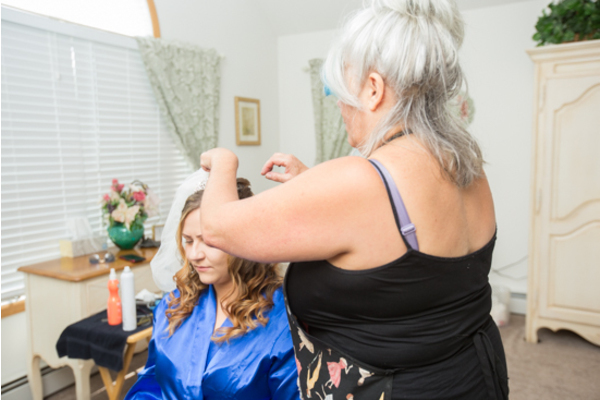 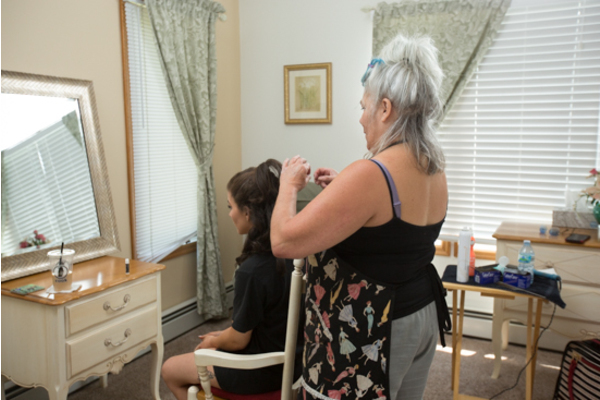 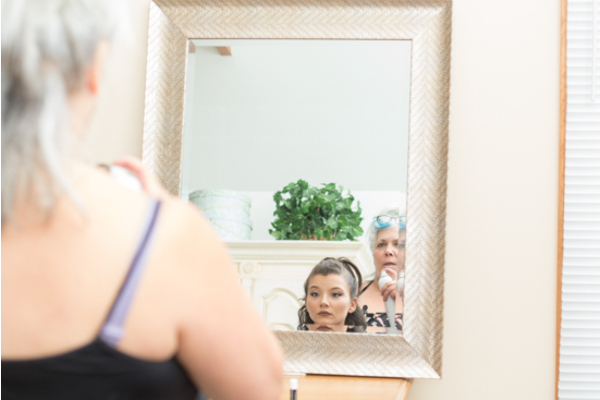 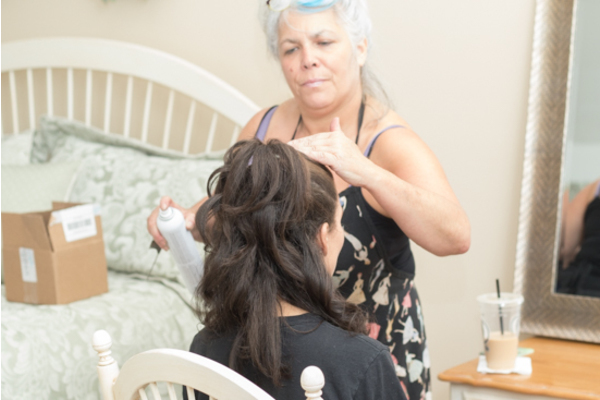 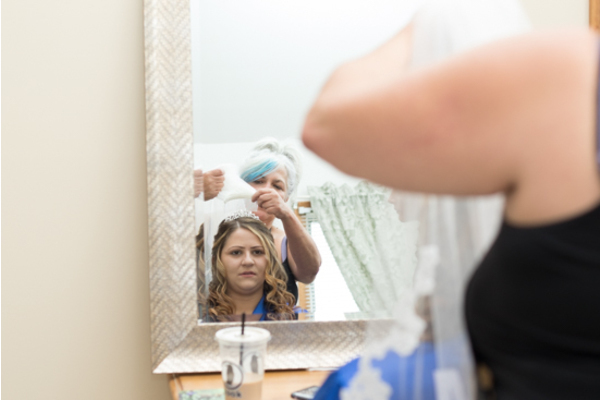 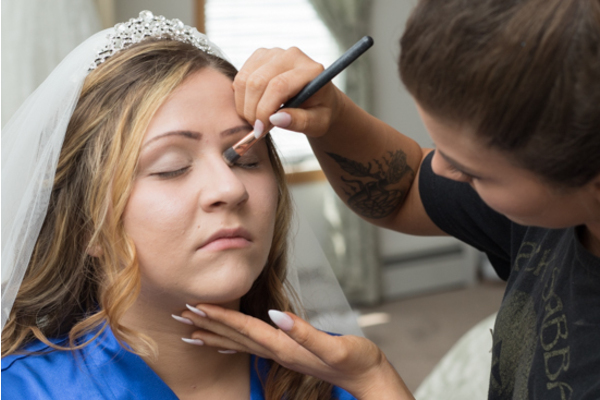 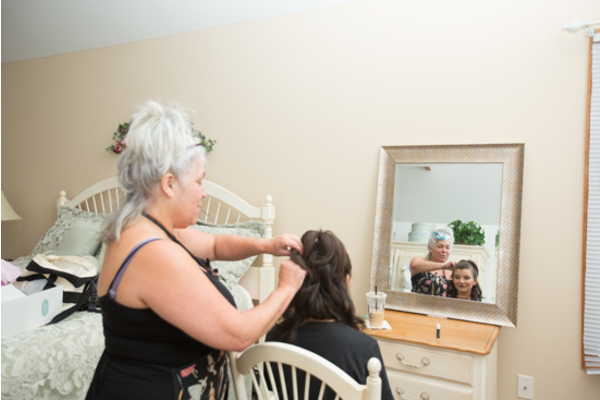 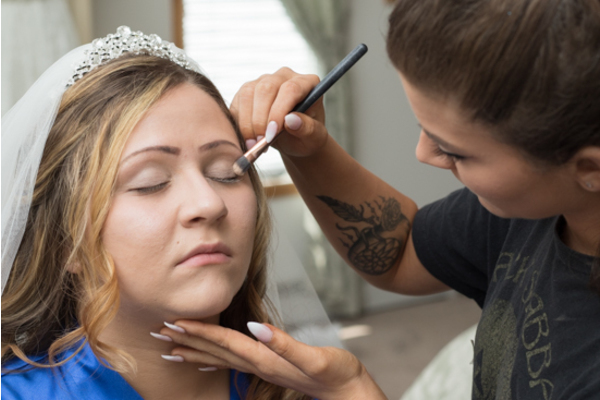 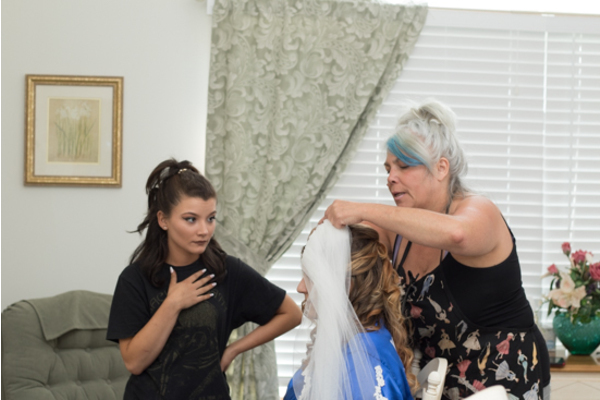 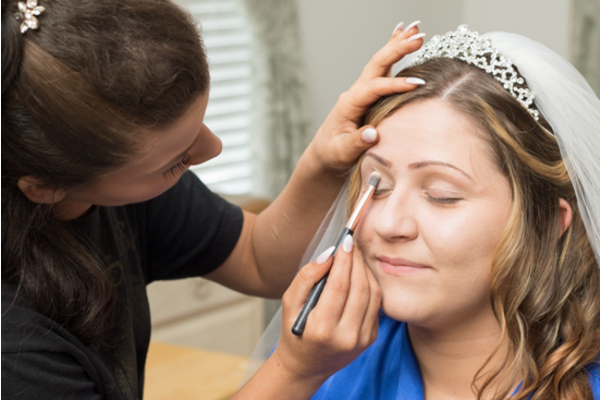 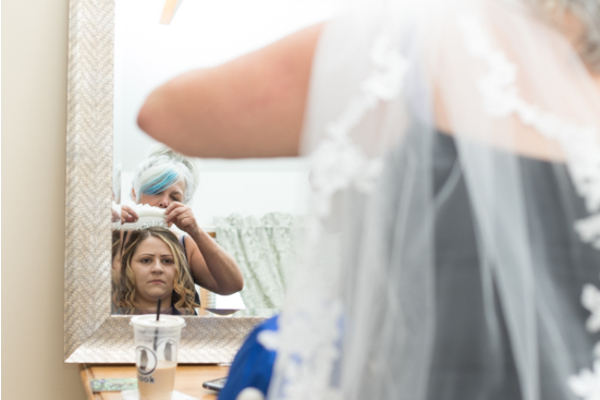 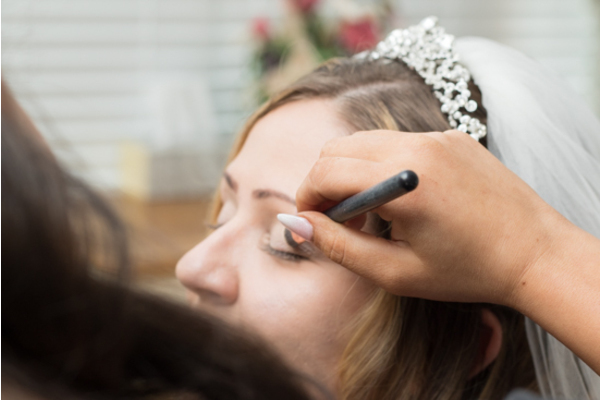 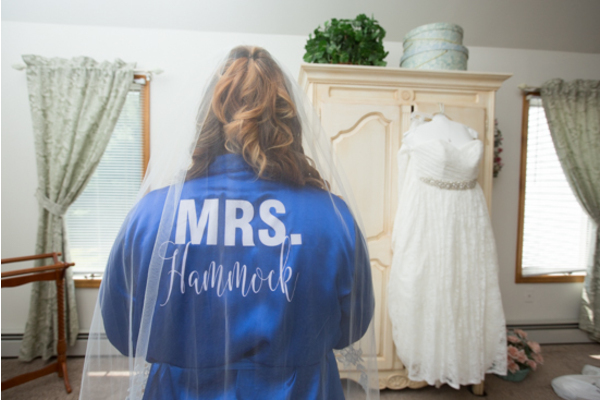 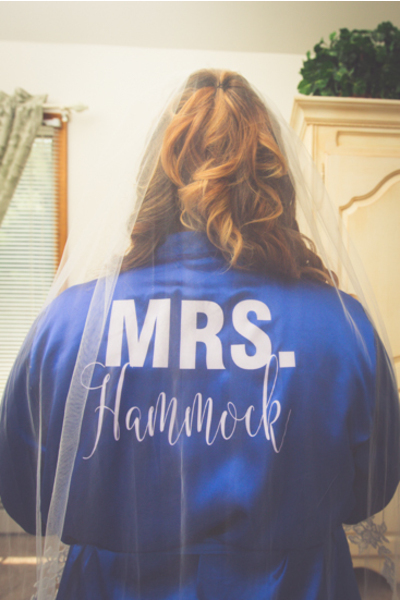 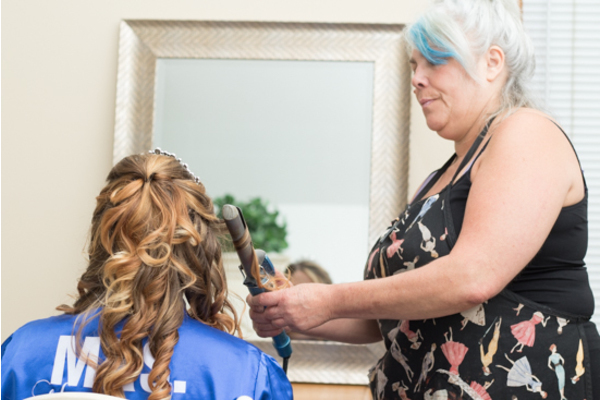 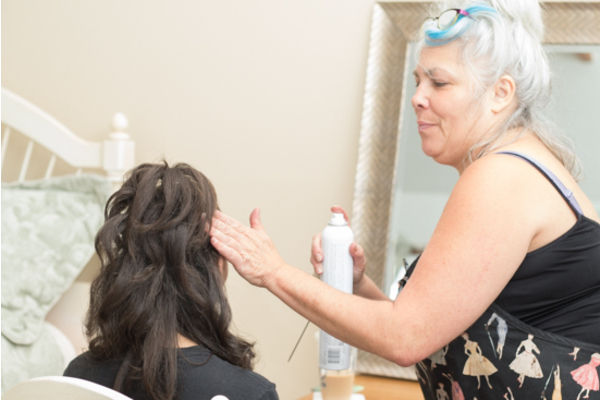 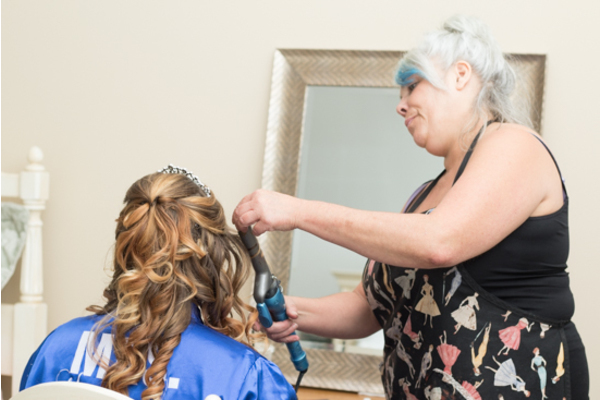 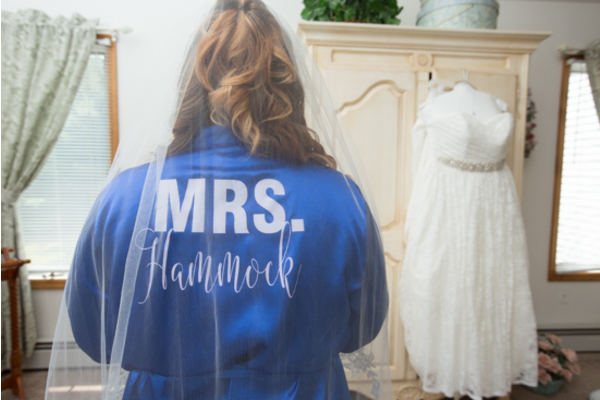 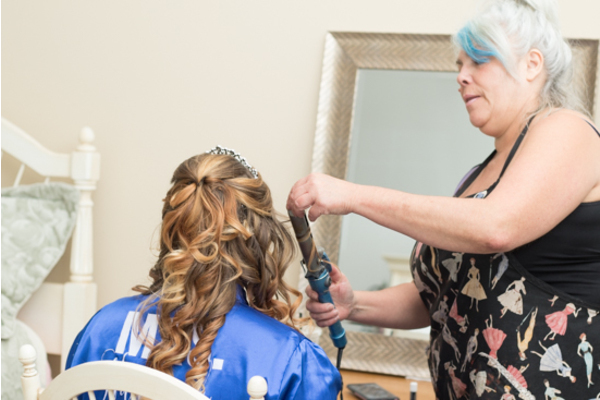 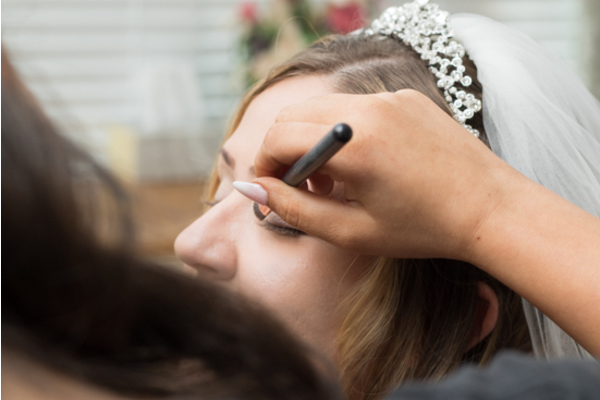 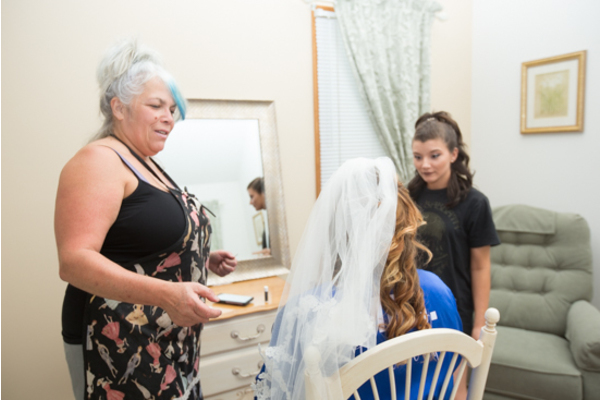 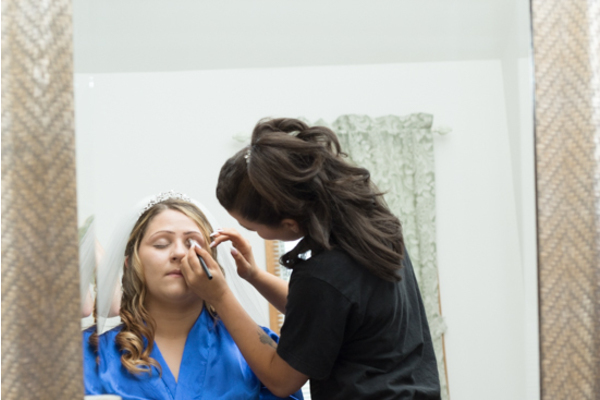 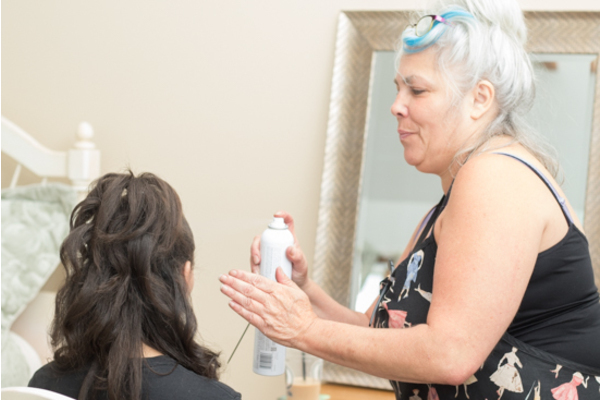 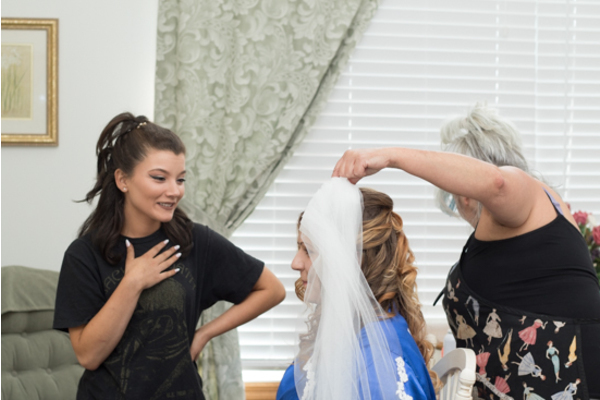 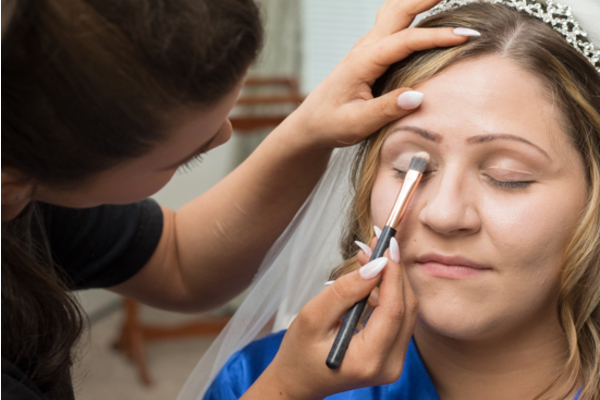 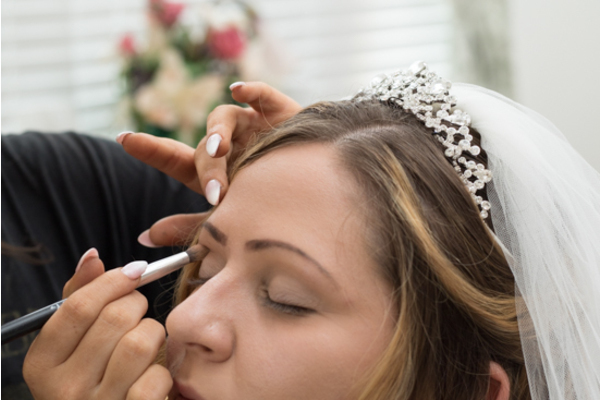 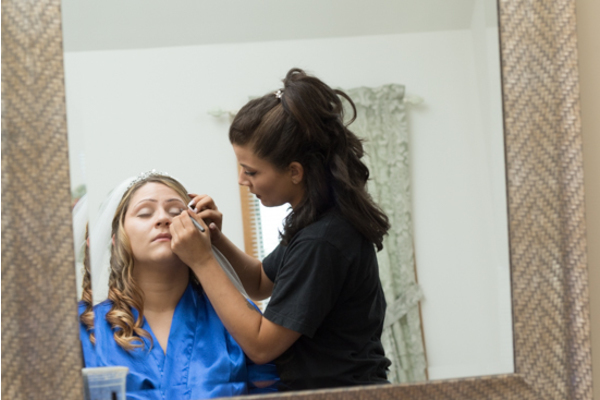 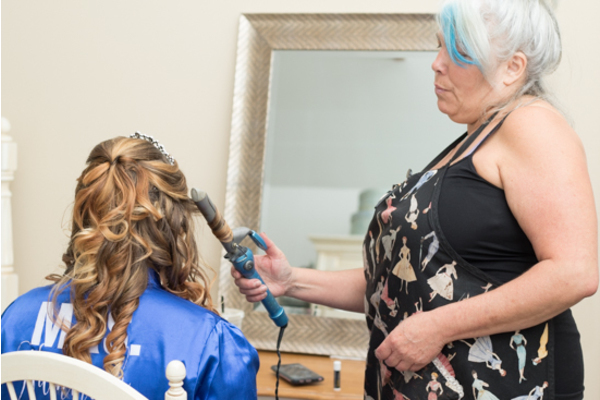 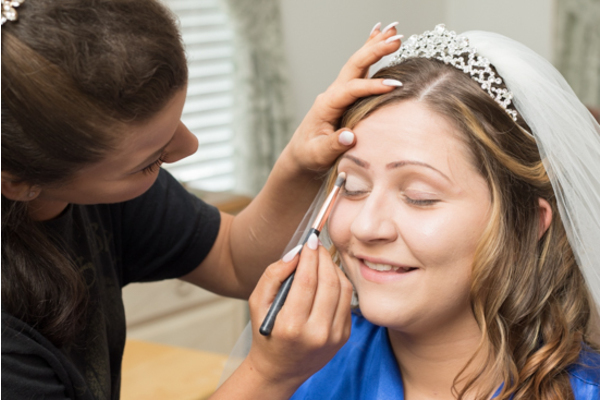 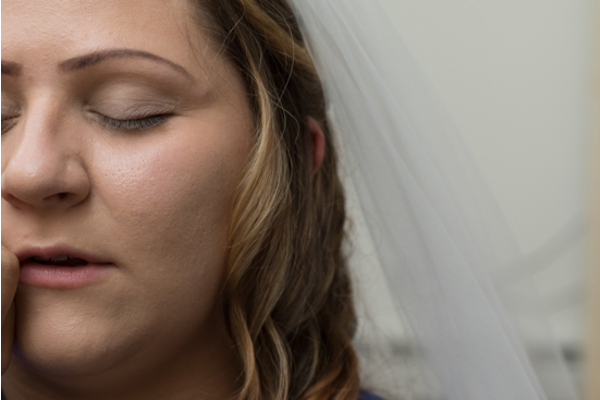 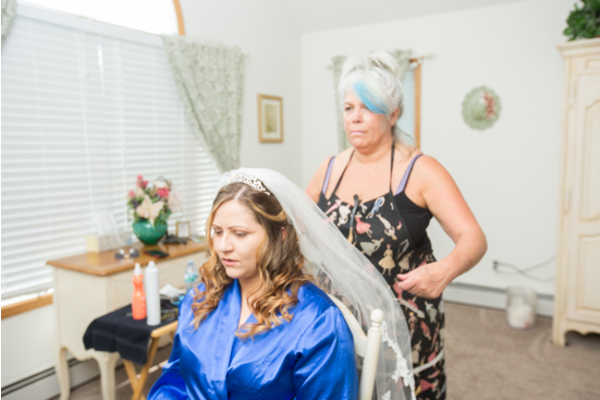 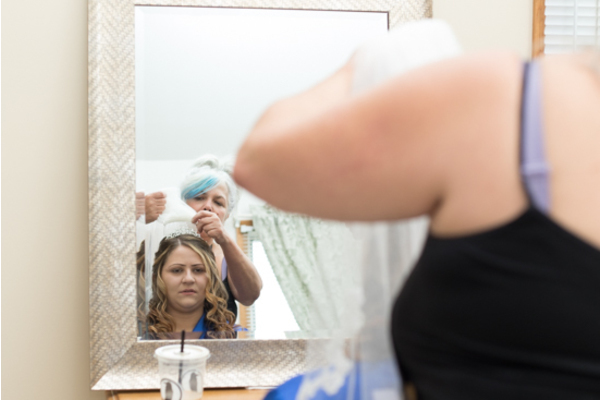 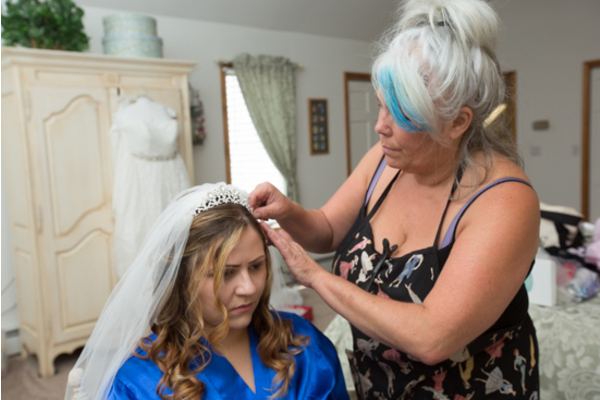 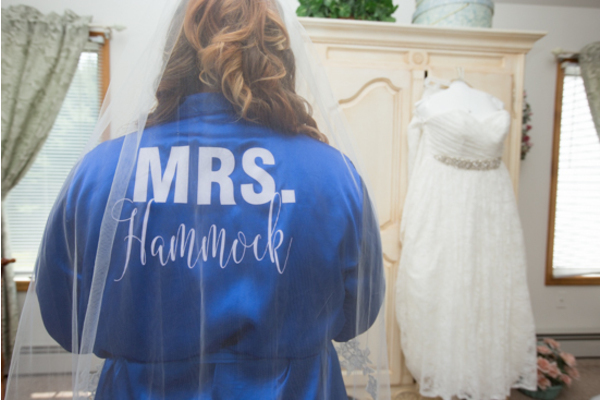 Angela wore a stunning royal blue silk robe as she got her hair and makeup done. 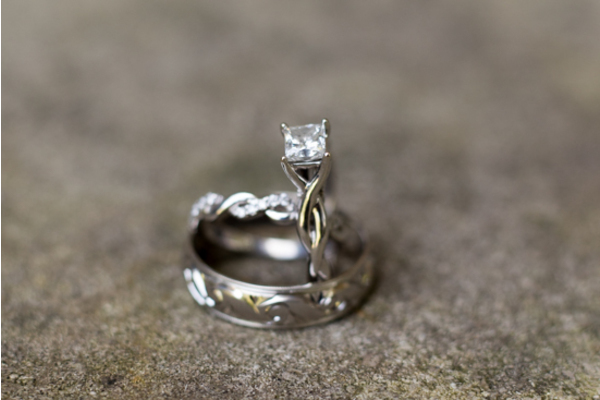 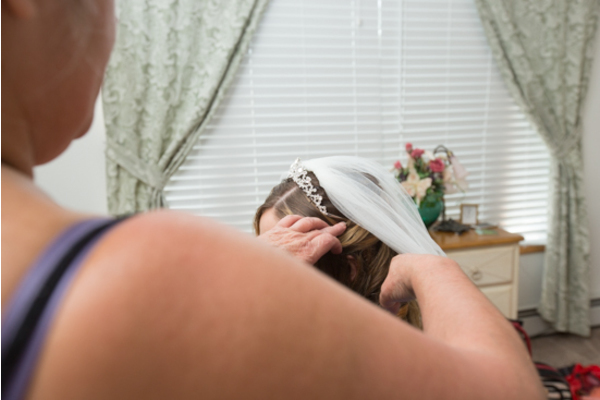 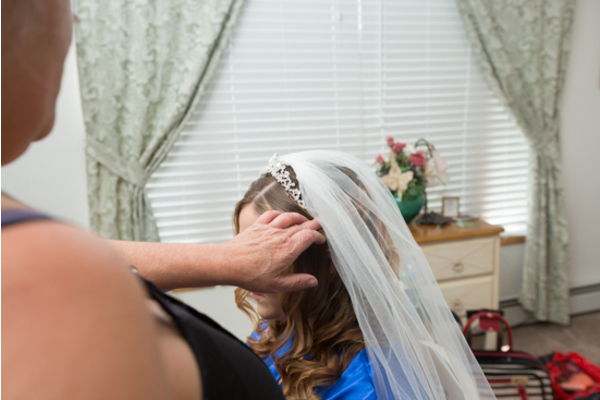 Her hair was curled to perfection and clipped back with her veil. 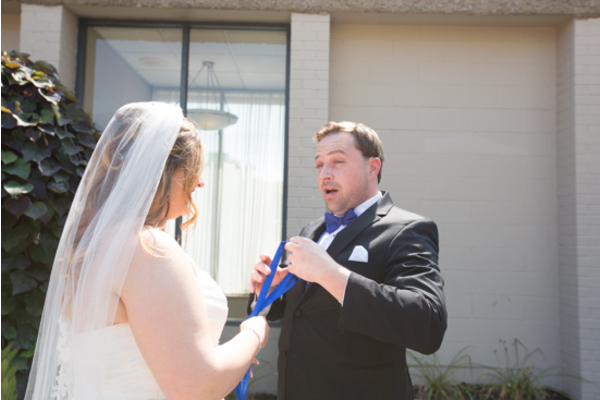 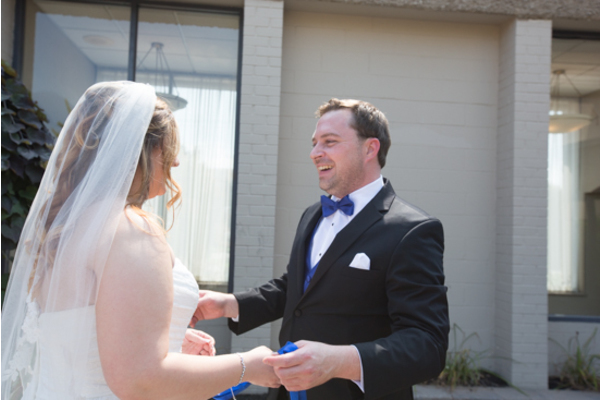 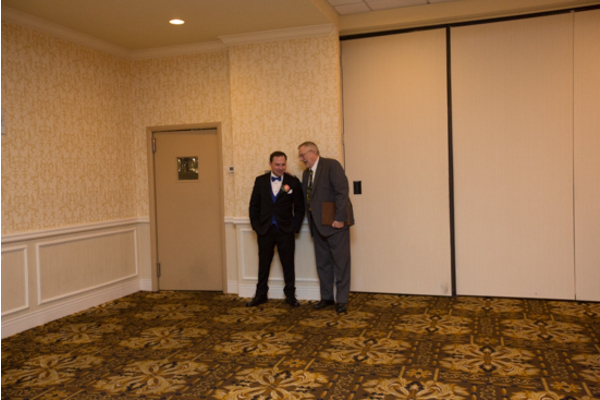 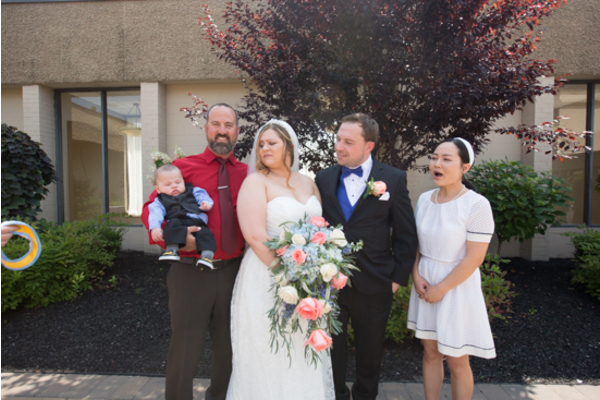 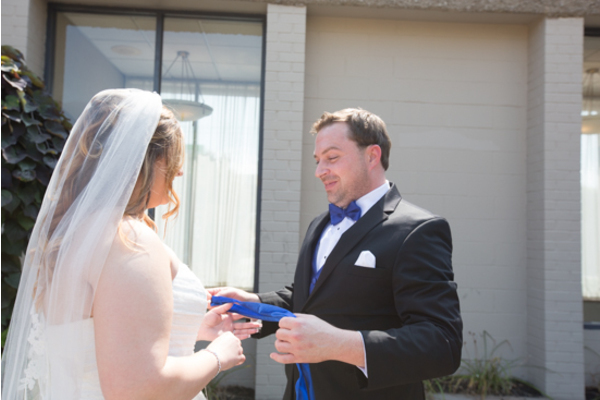 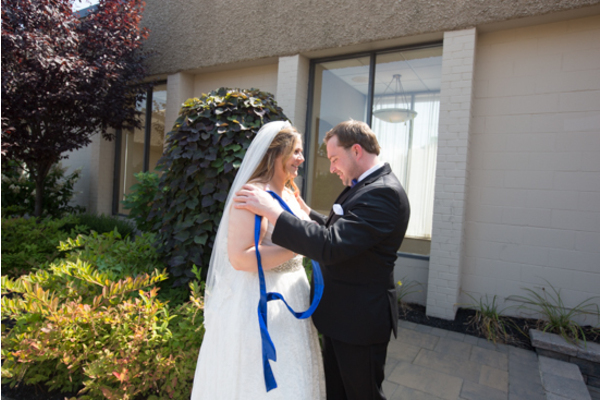 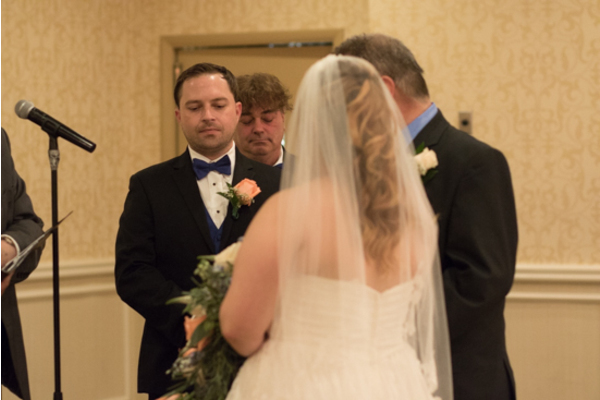 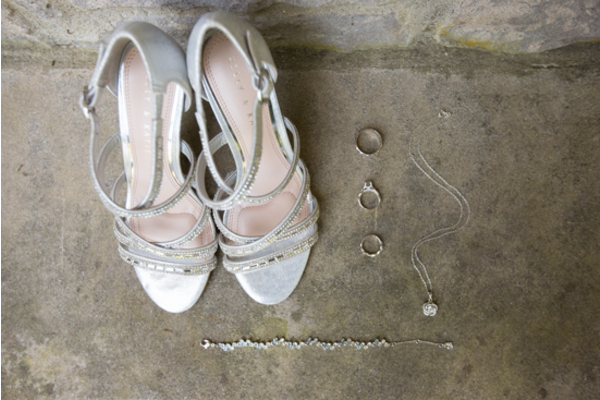 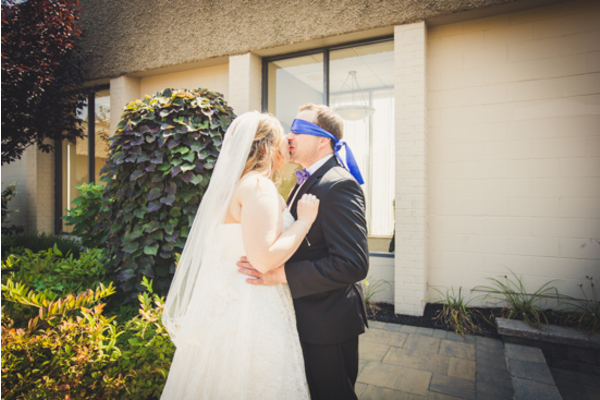 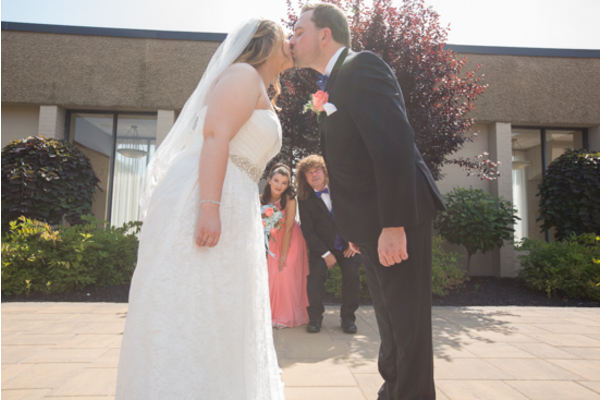 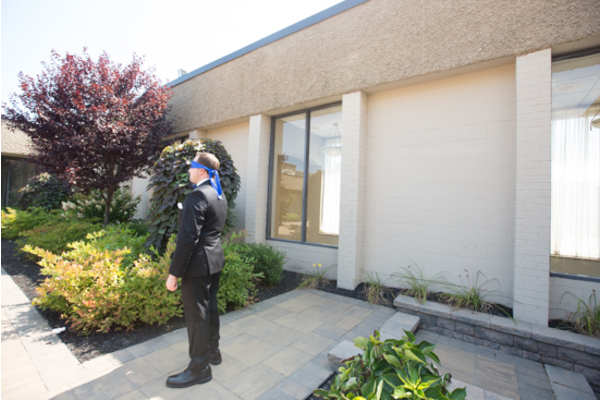 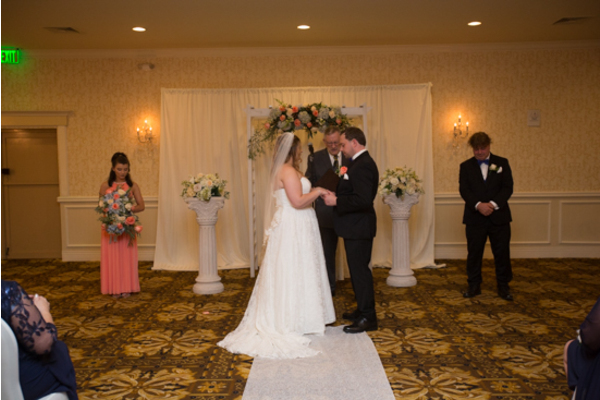 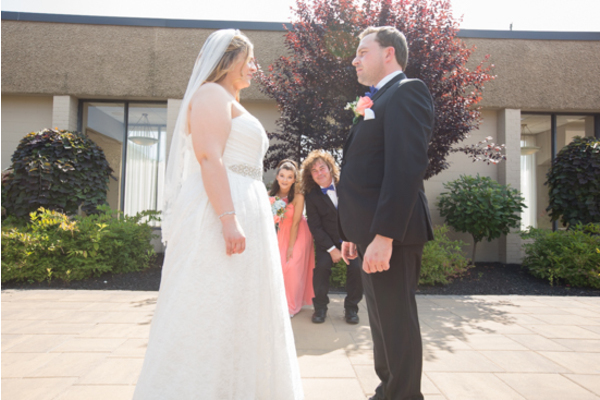 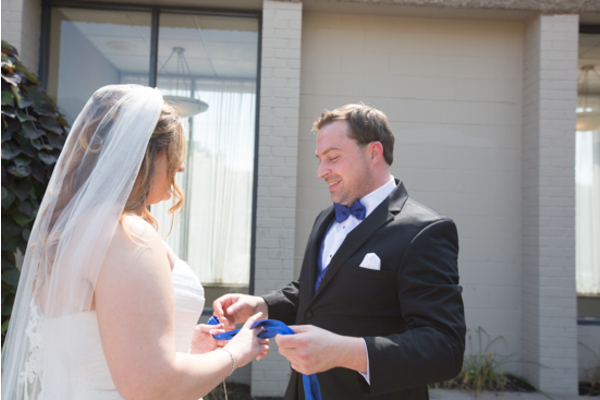 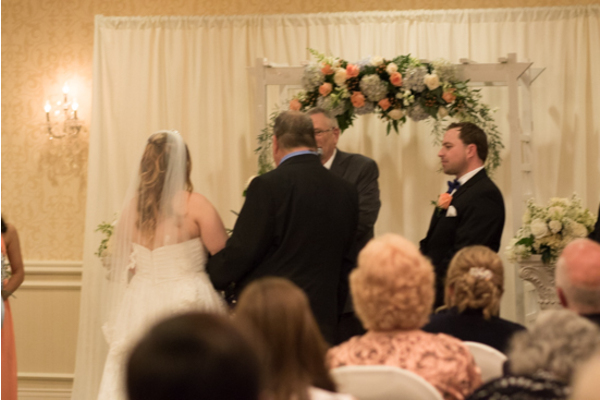 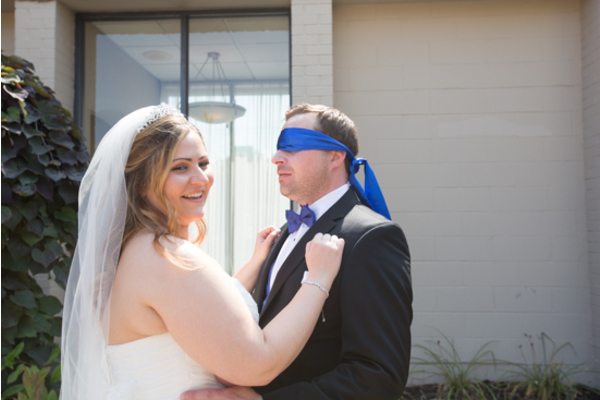 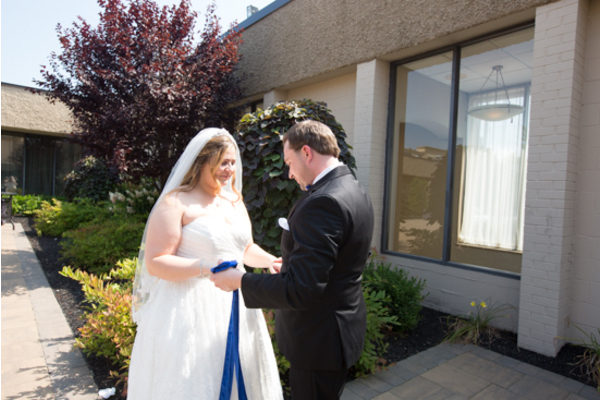 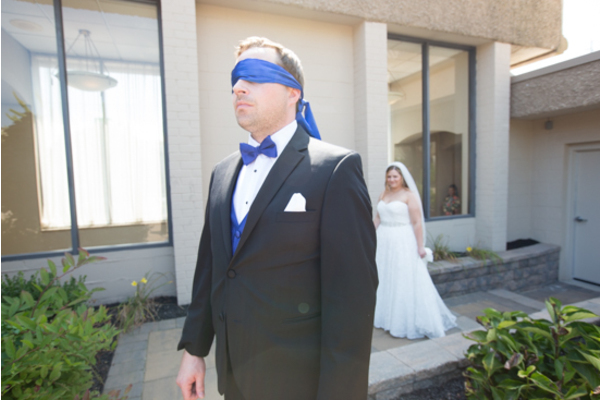 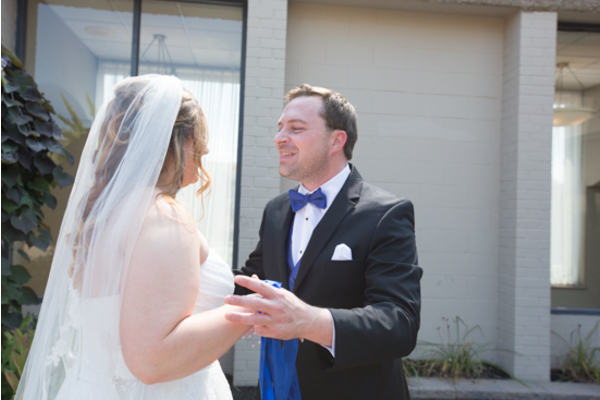 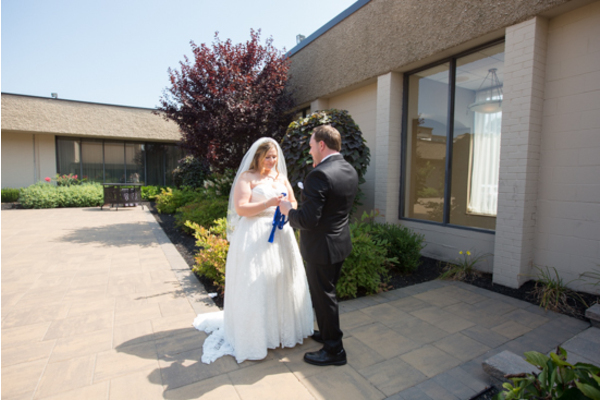 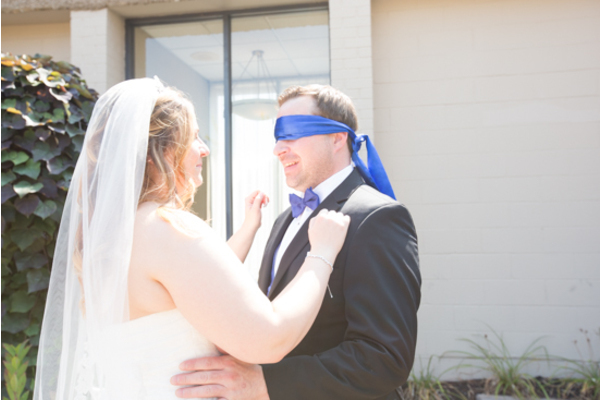 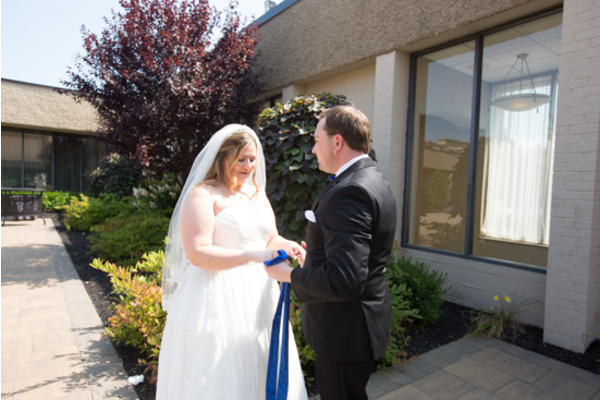 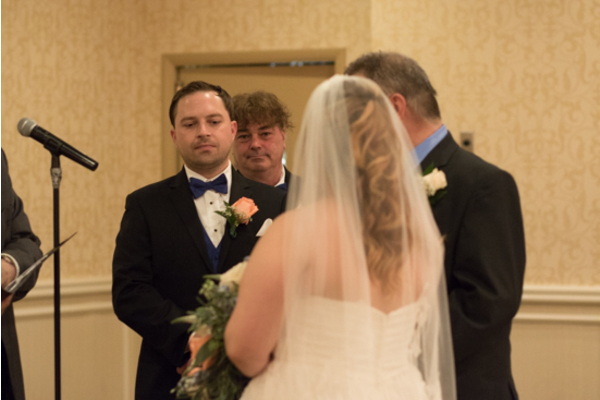 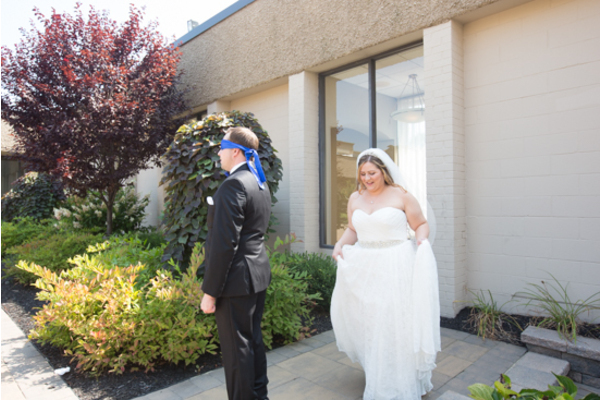 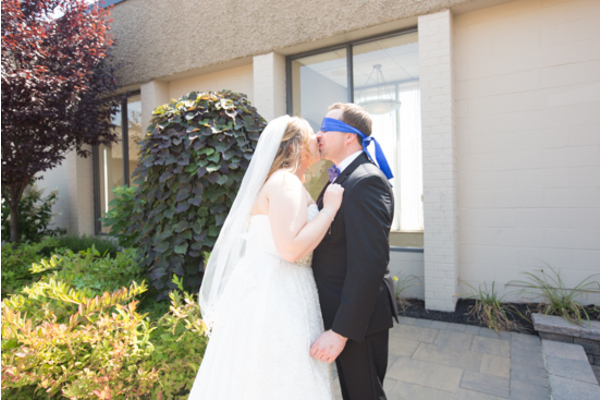 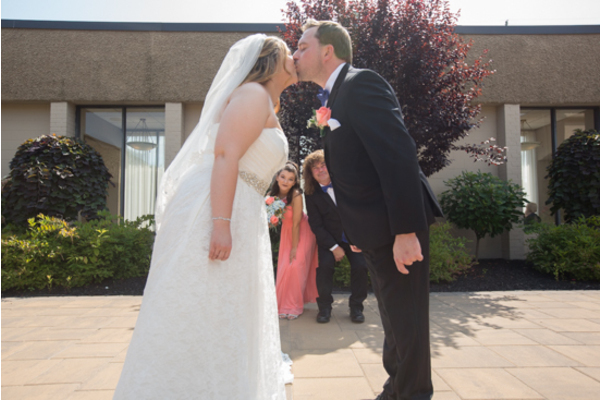 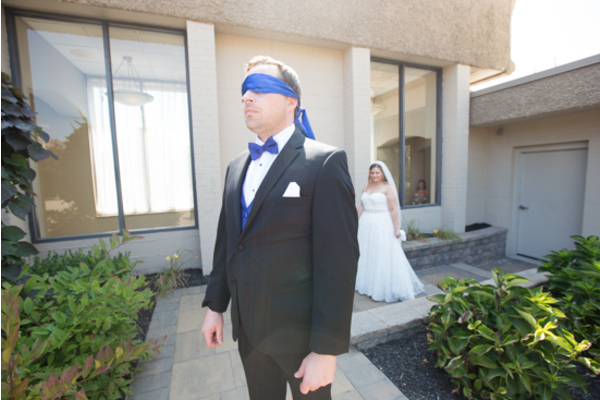 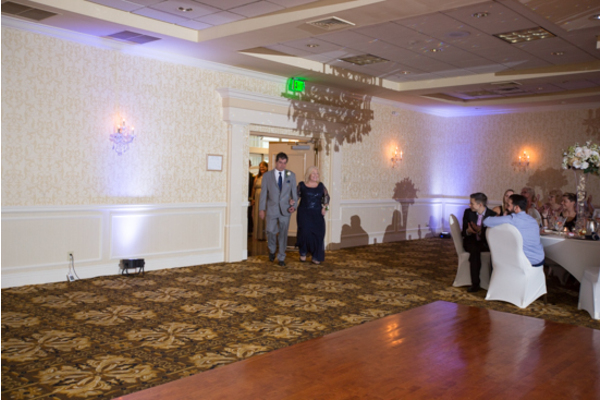 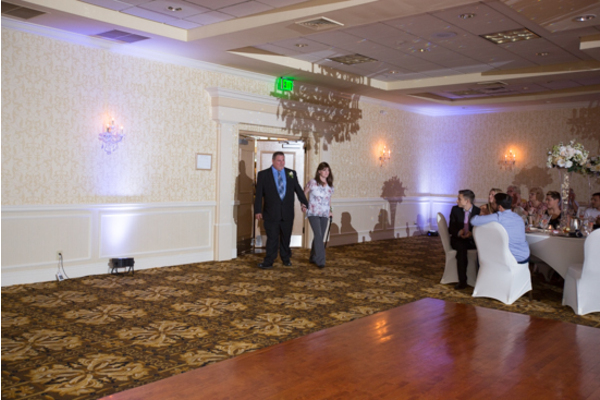 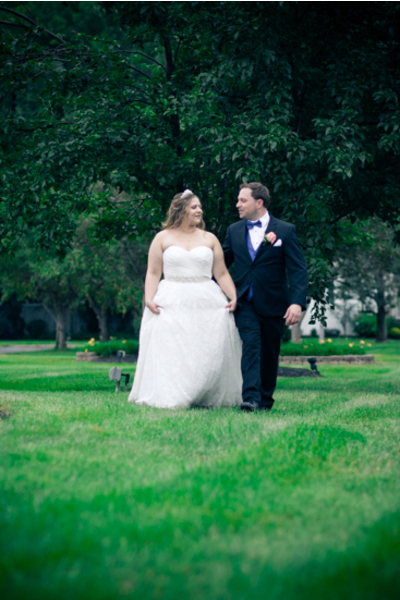 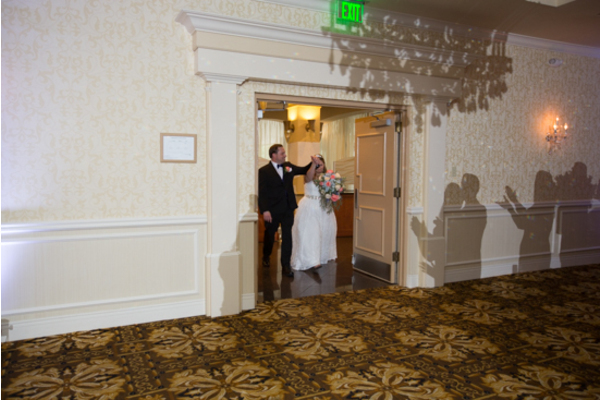 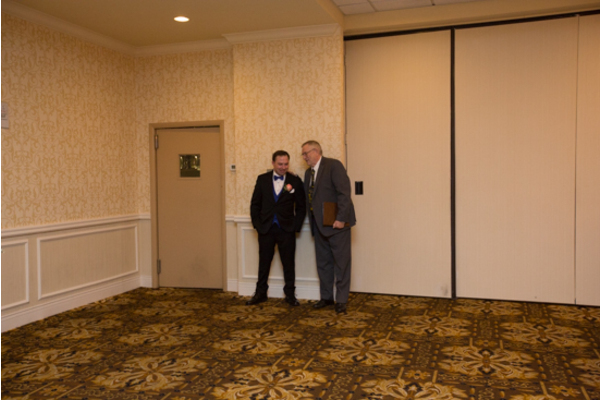 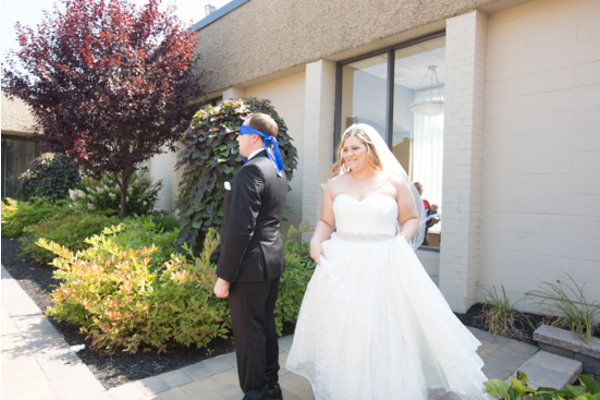 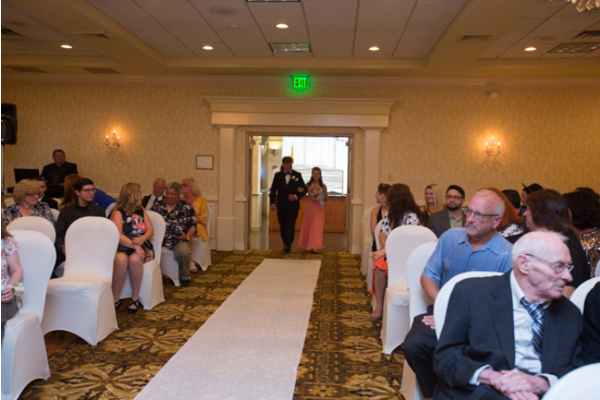 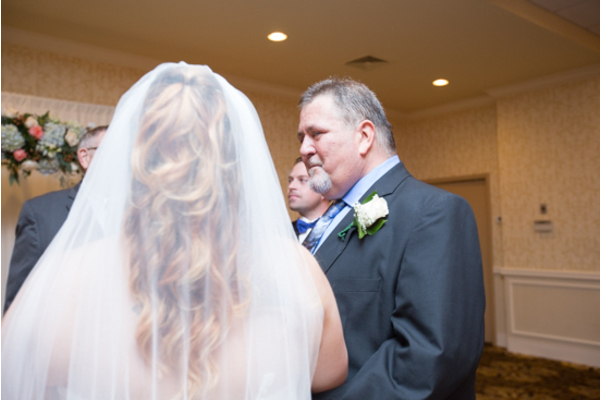 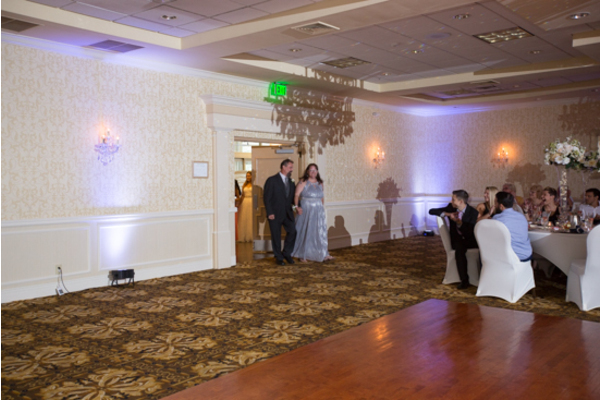 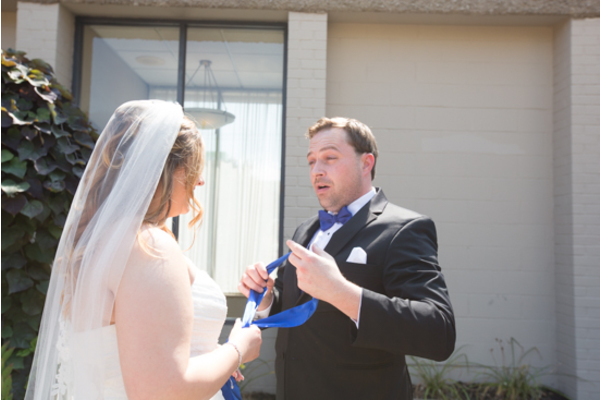 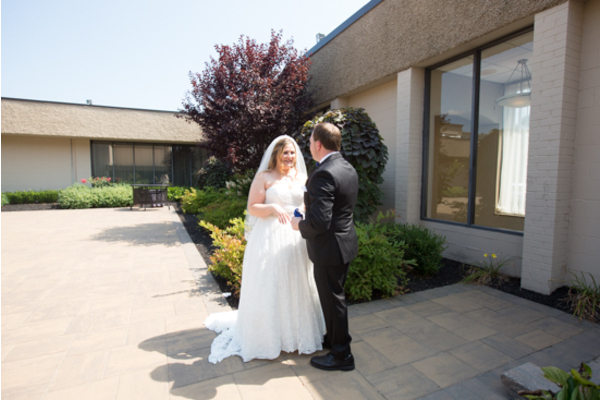 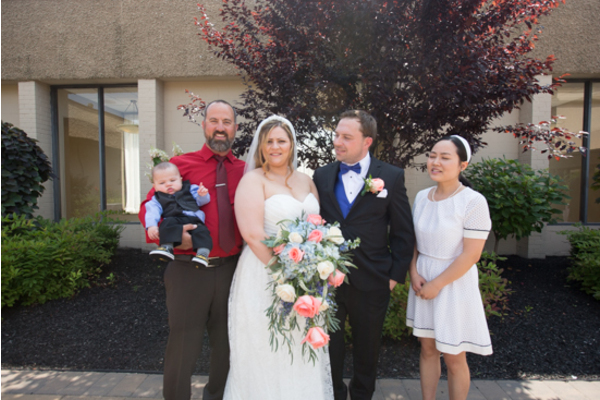 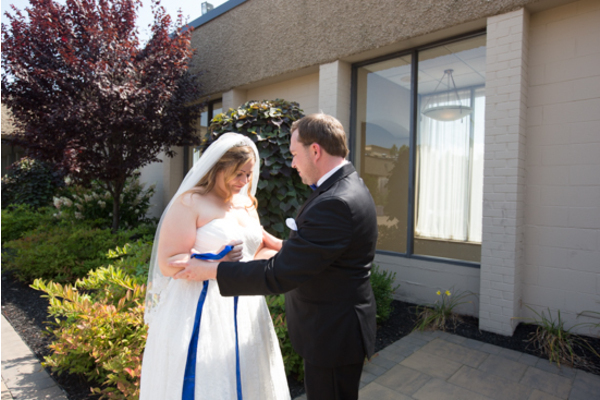 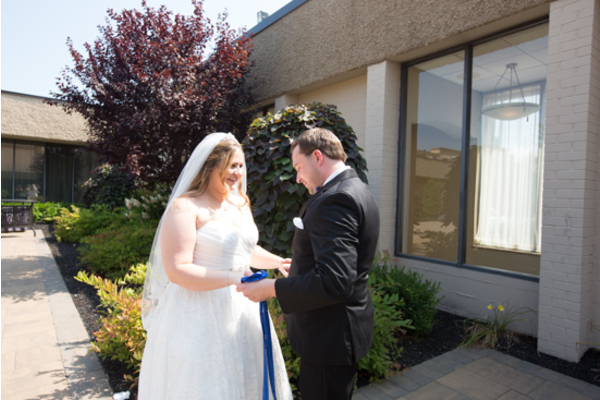 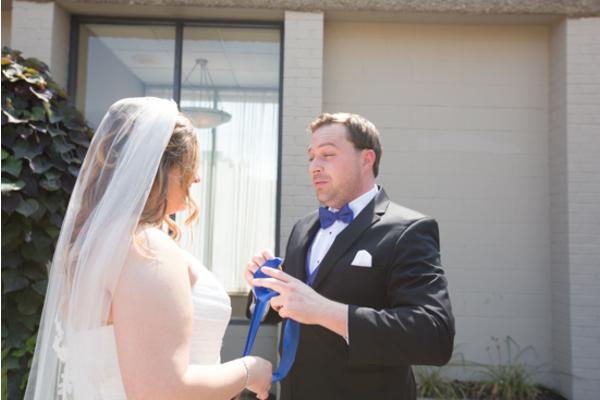 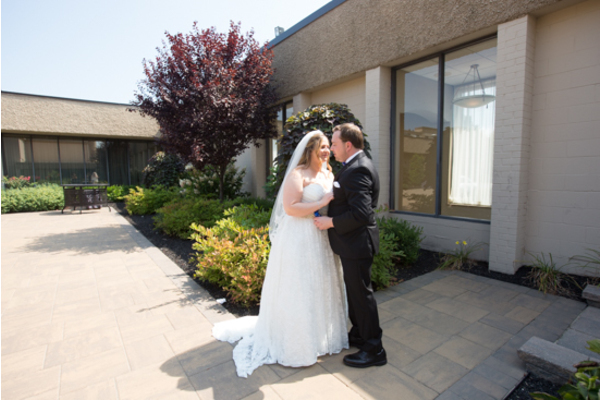 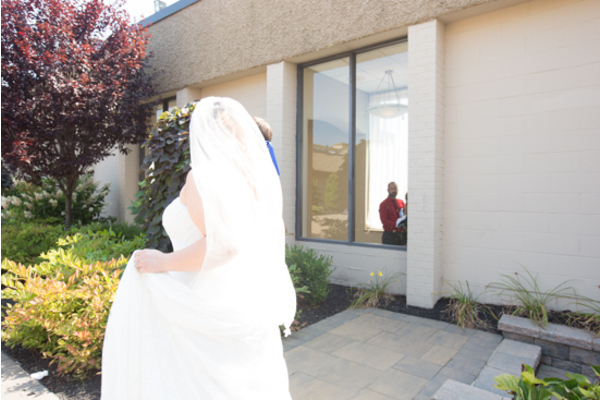 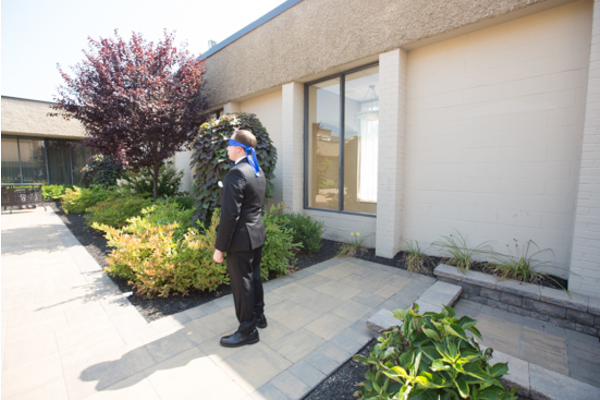 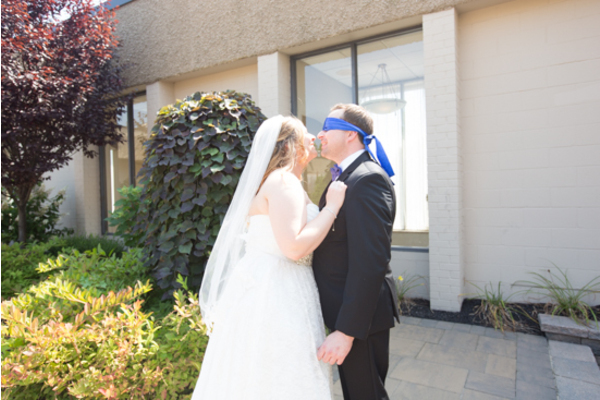 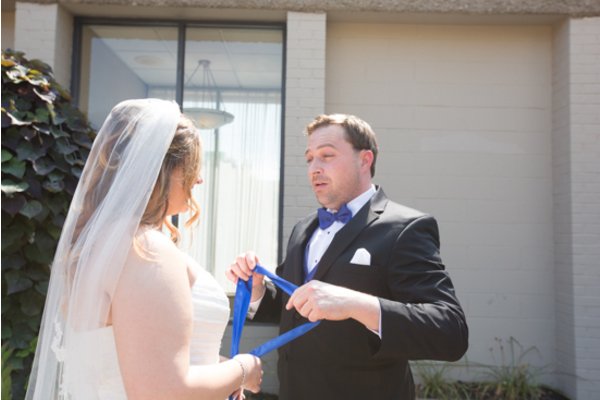 After the bride and groom were both ready, John awaited Angela outside patiently to see his gorgeous bride! 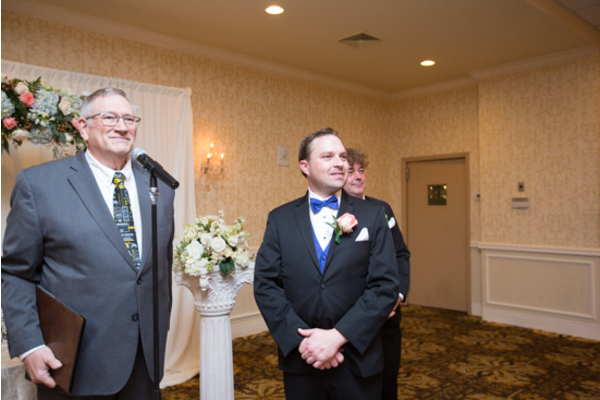 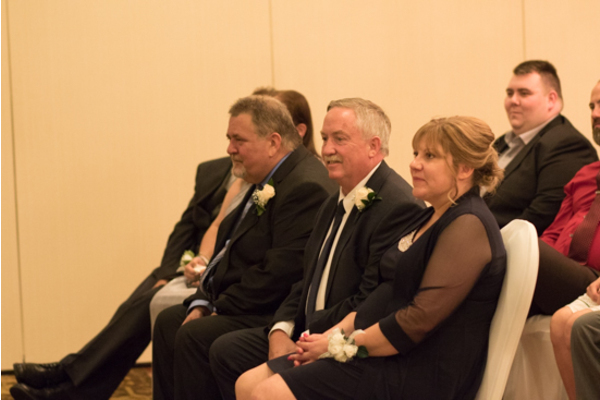 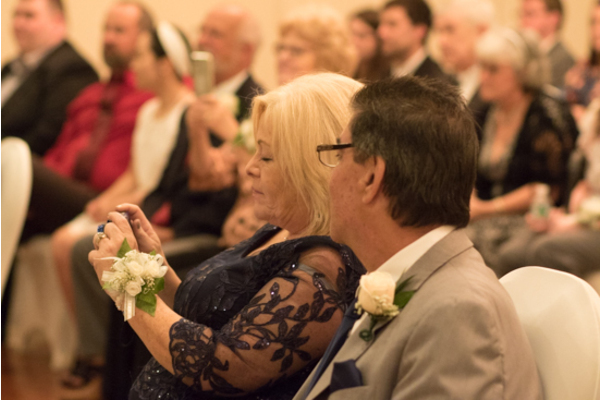 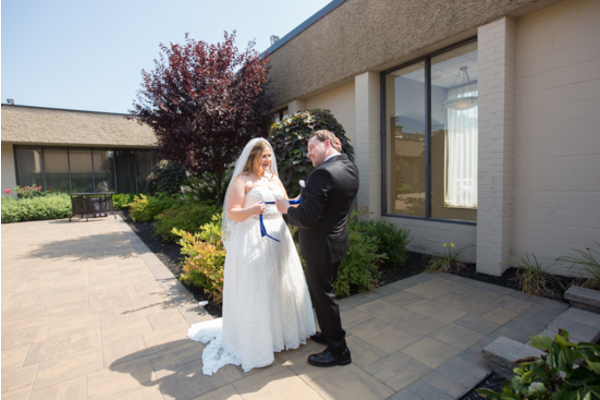 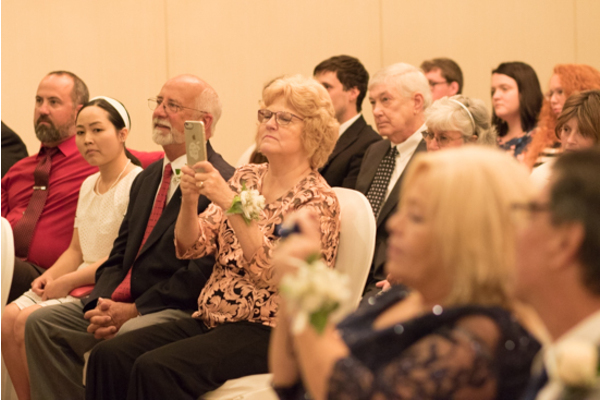 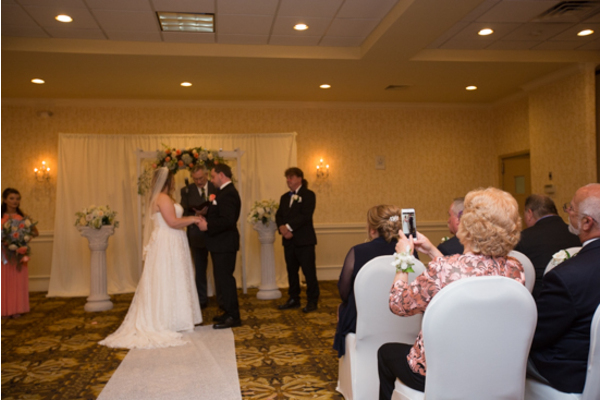 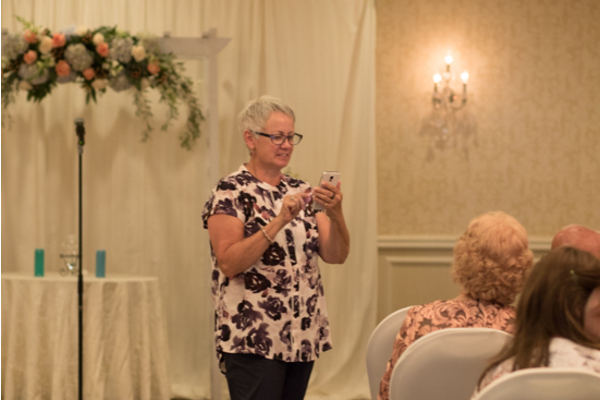 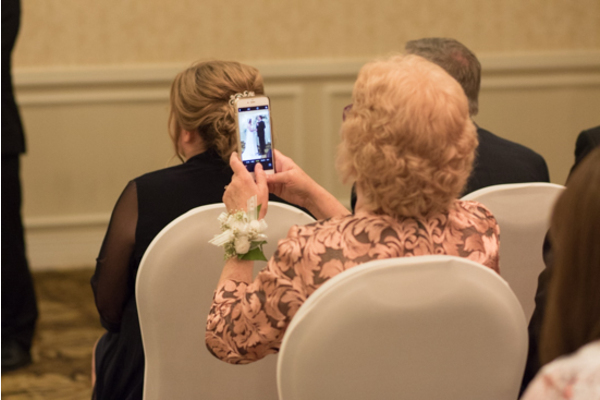 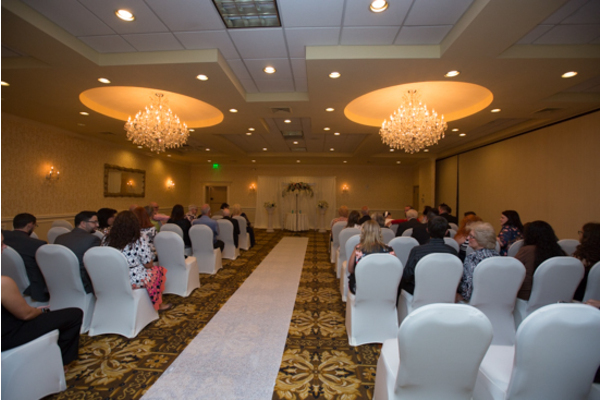 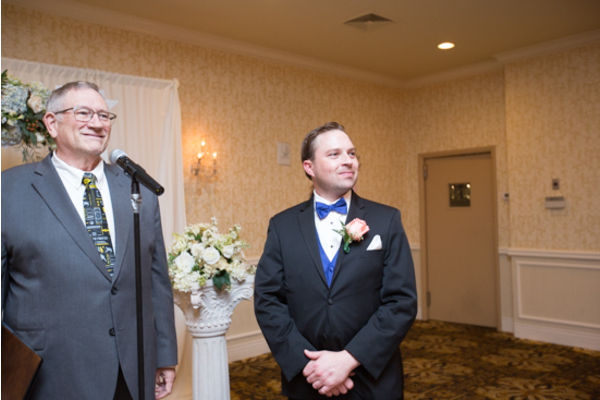 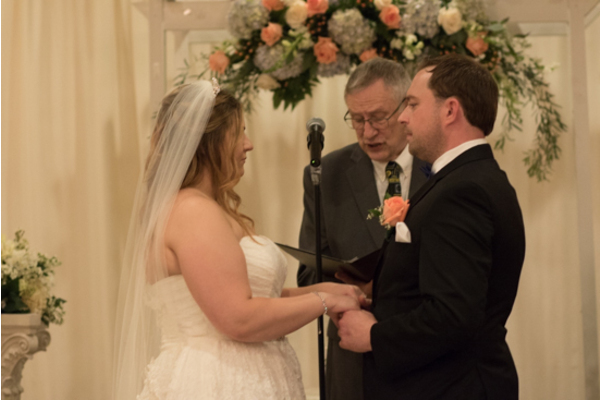 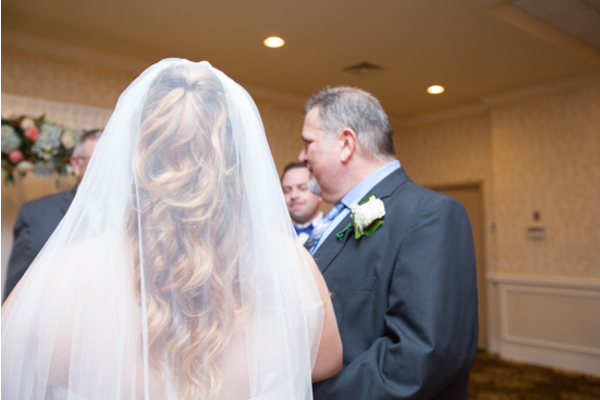 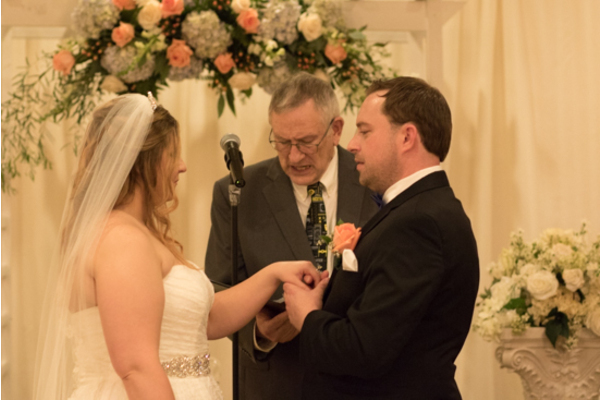 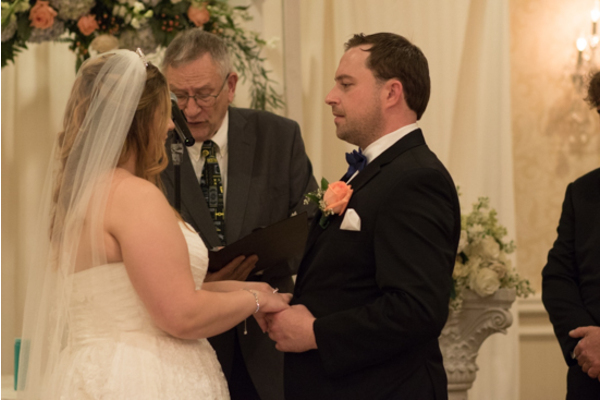 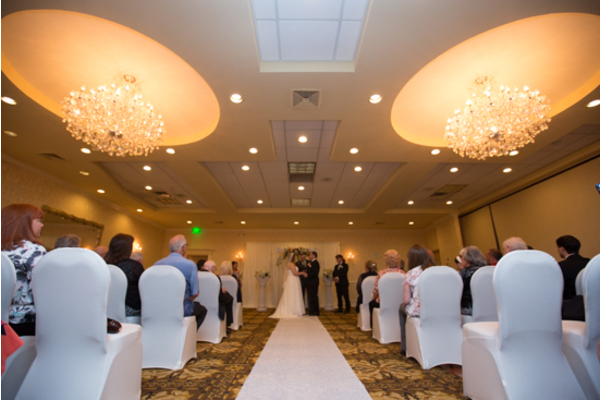 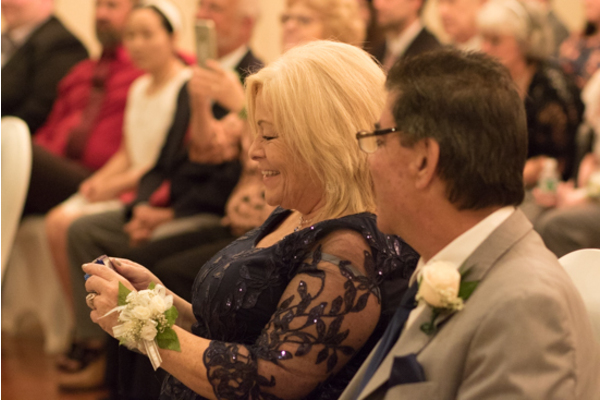 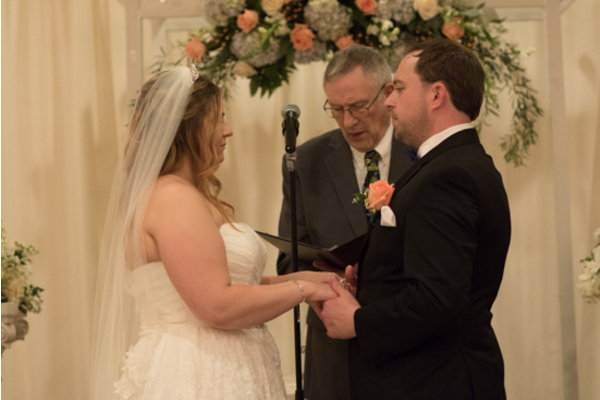 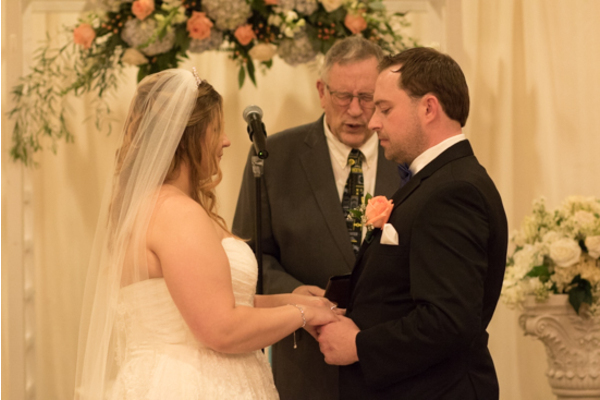 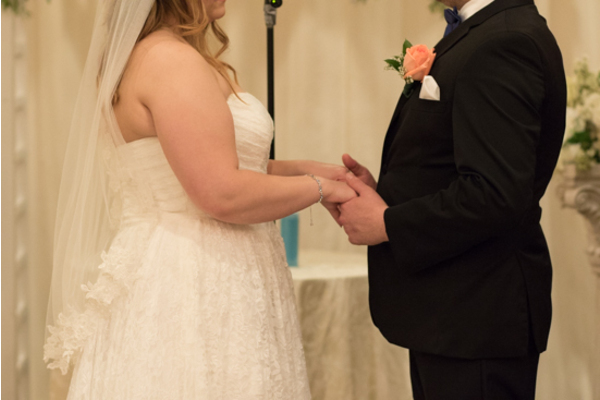 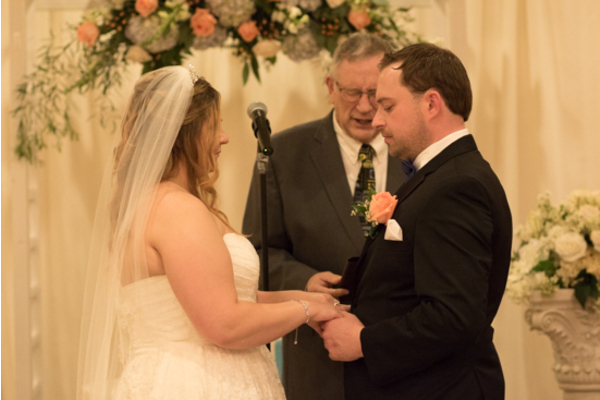 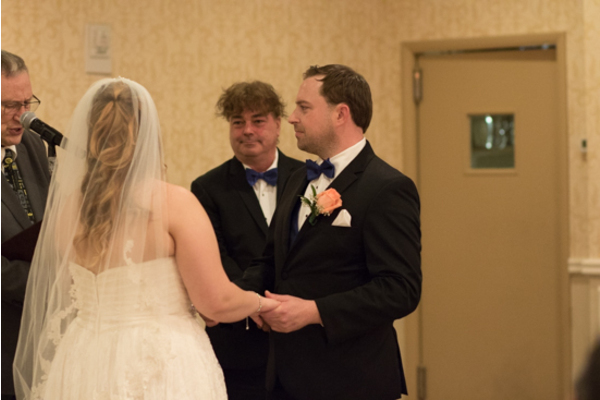 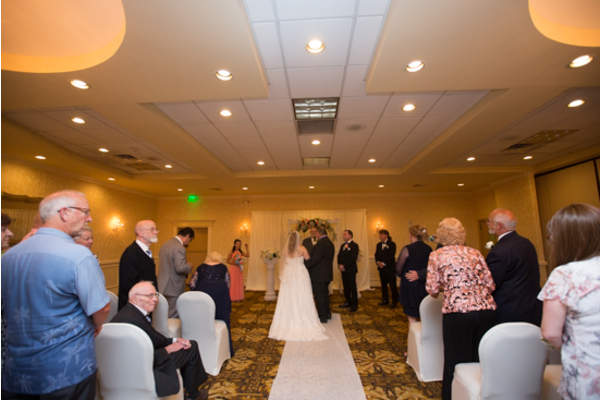 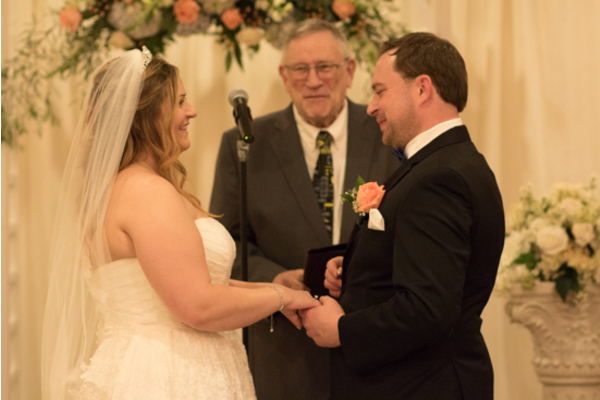 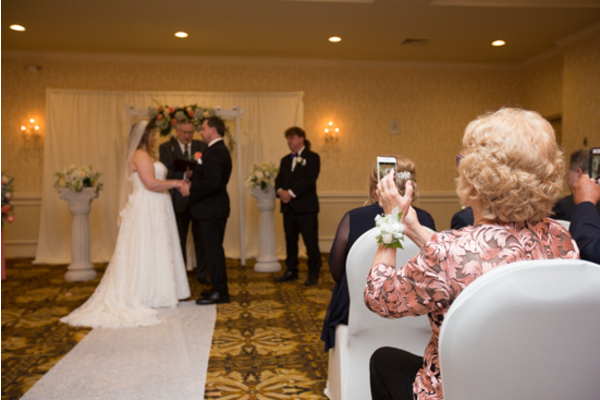 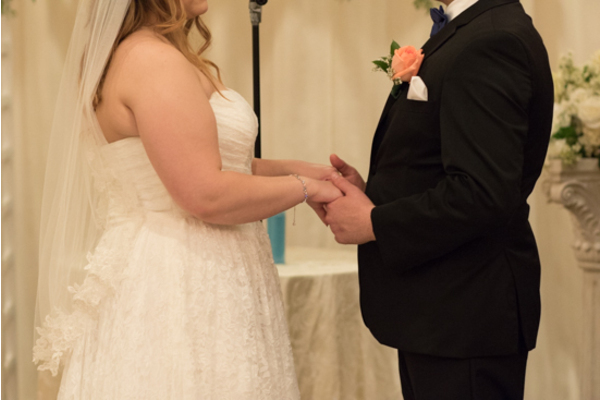 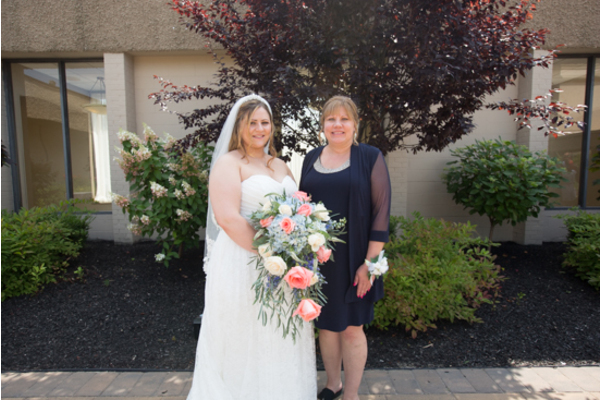 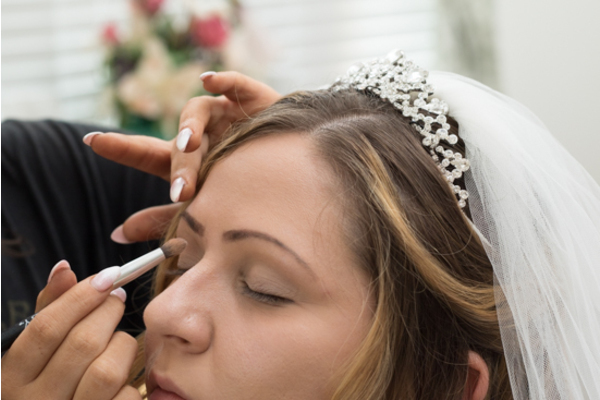 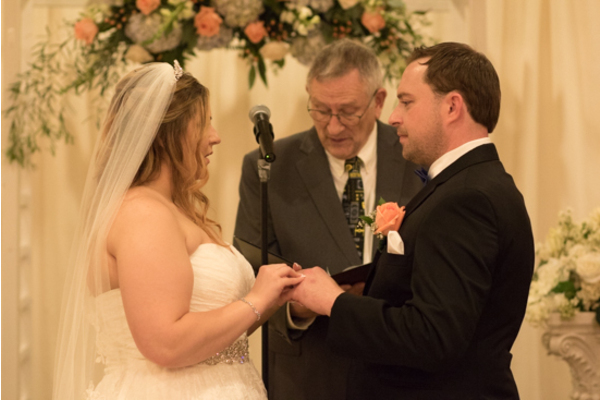 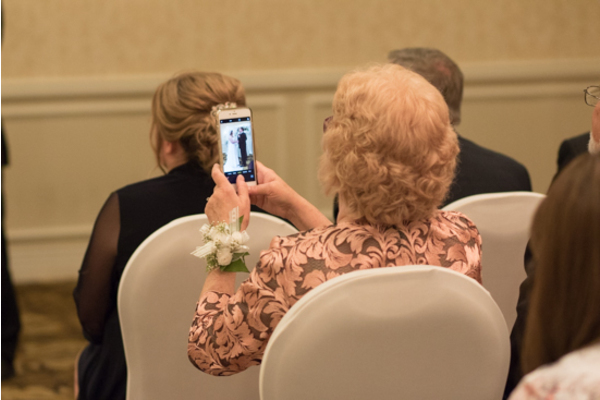 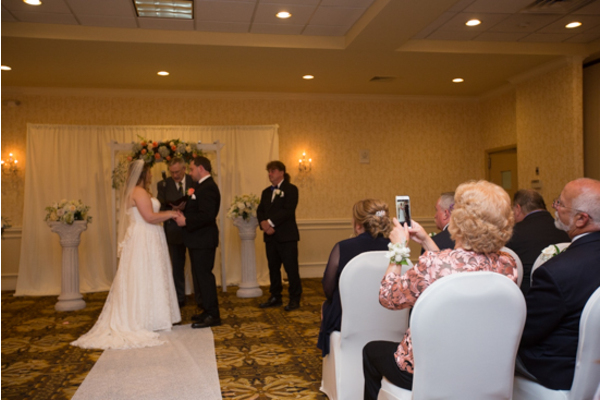 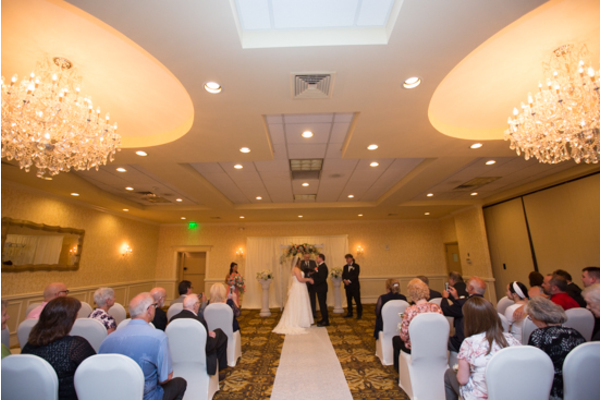 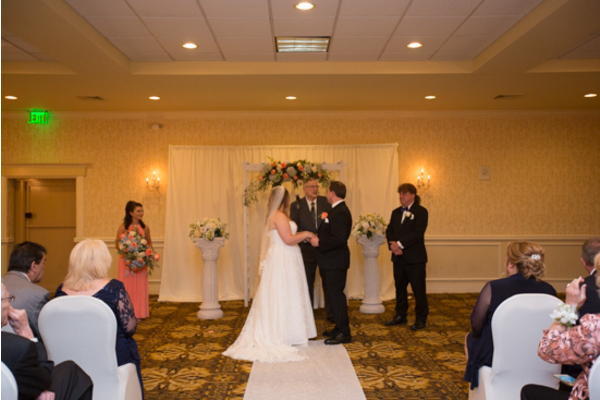 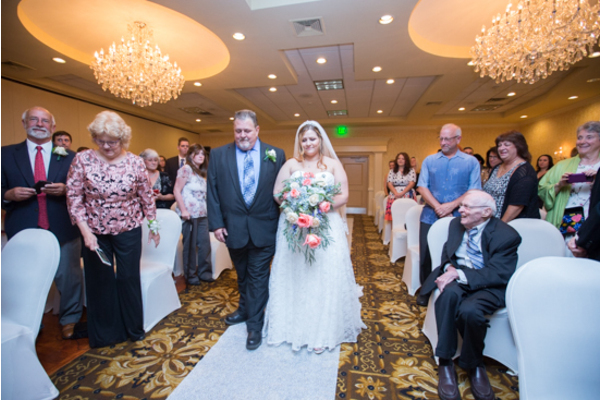 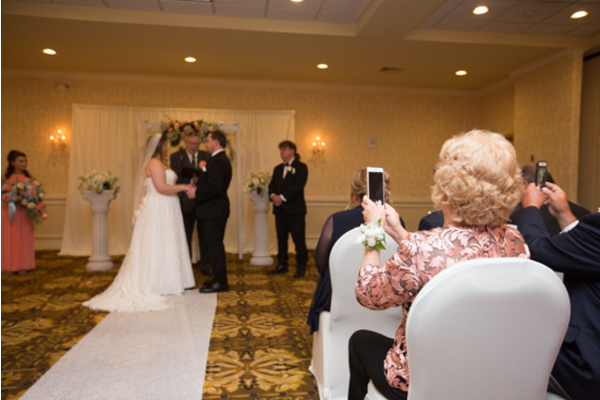 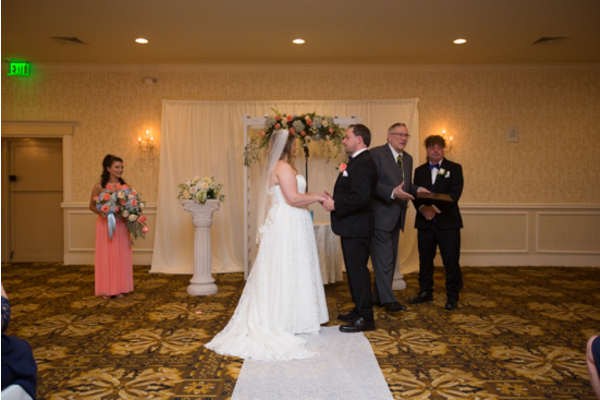 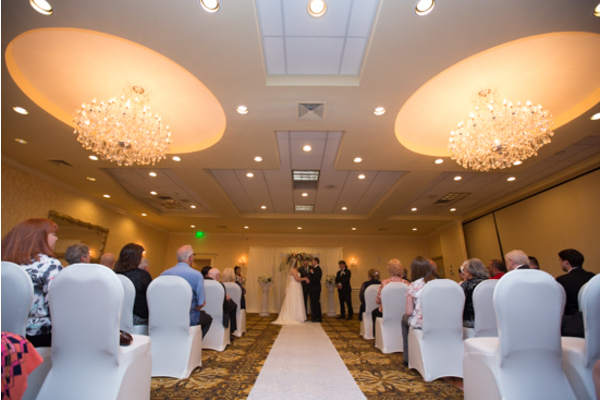 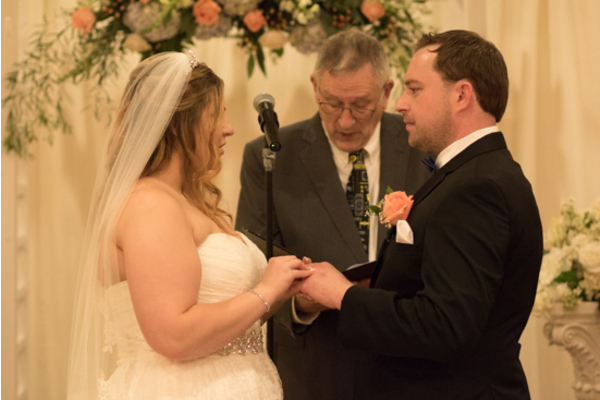 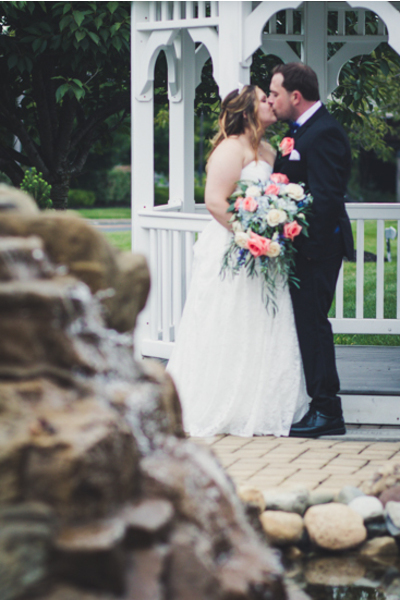 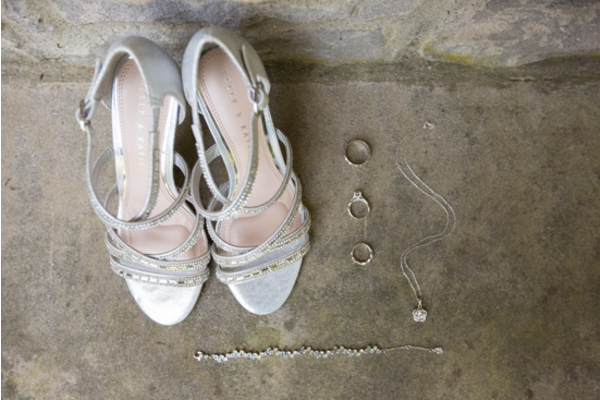 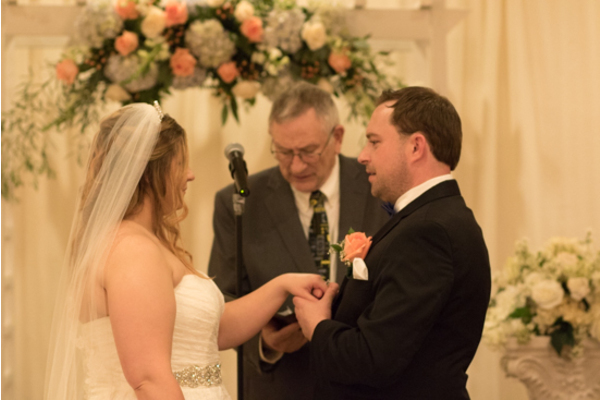 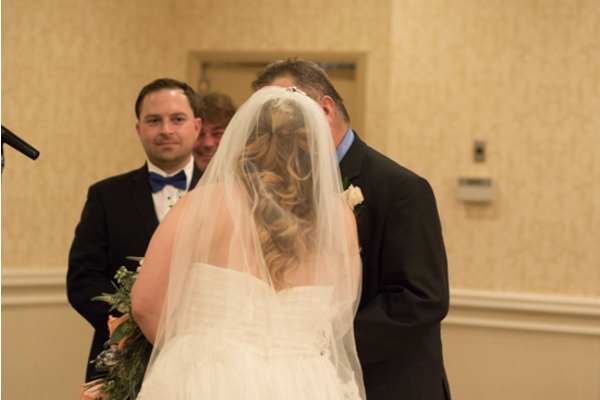 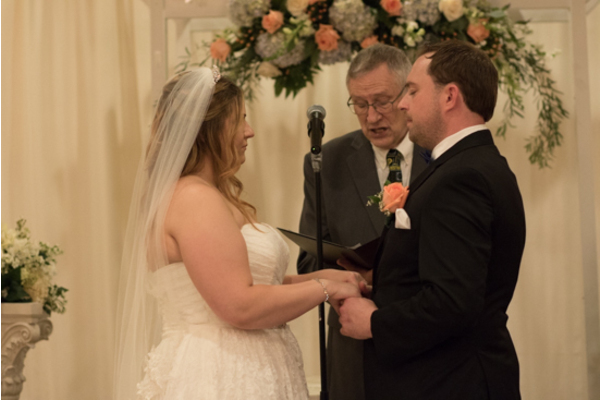 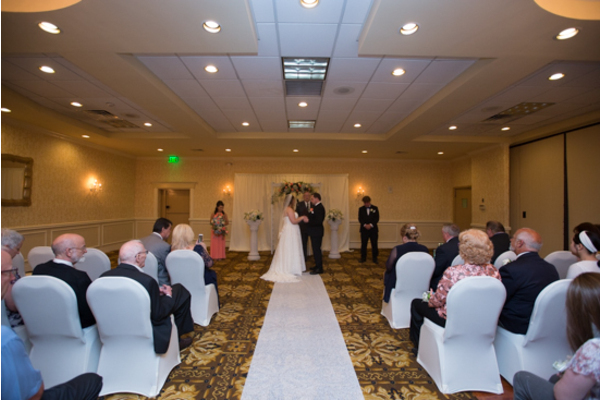 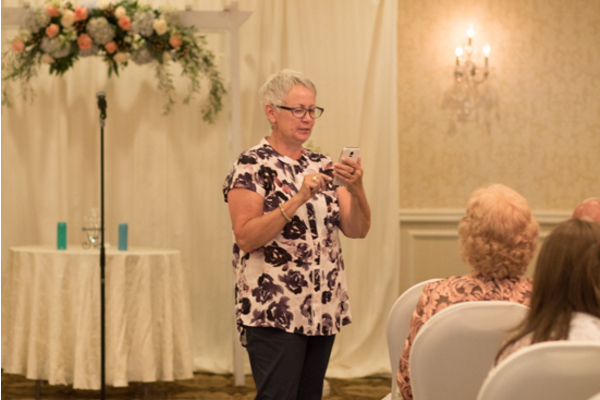 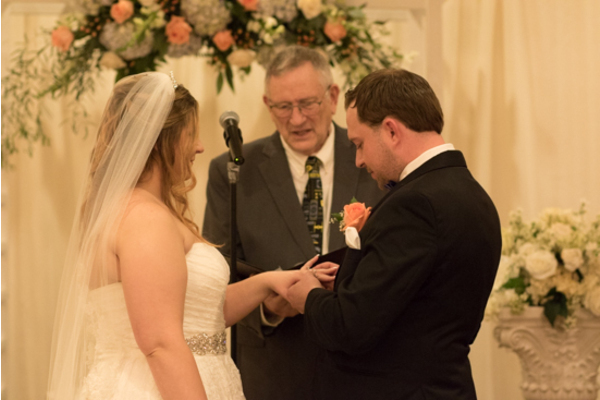 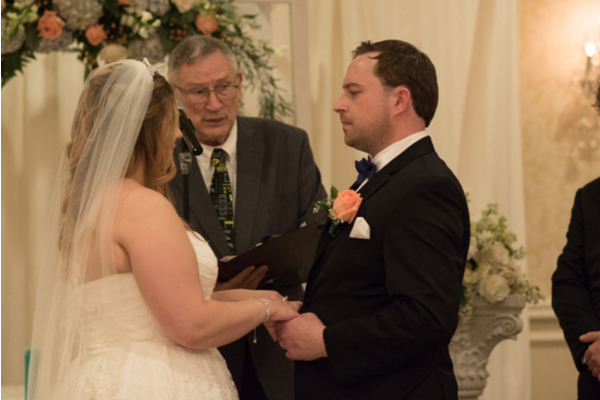 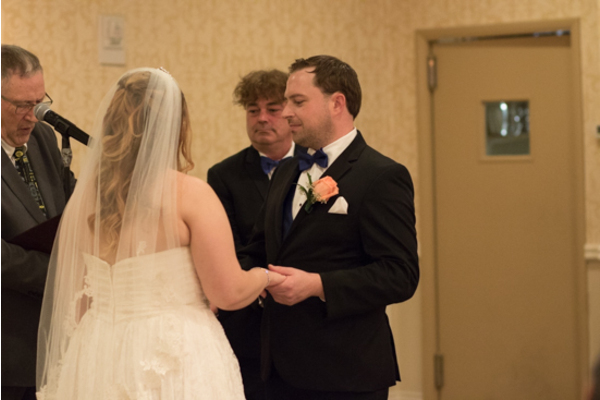 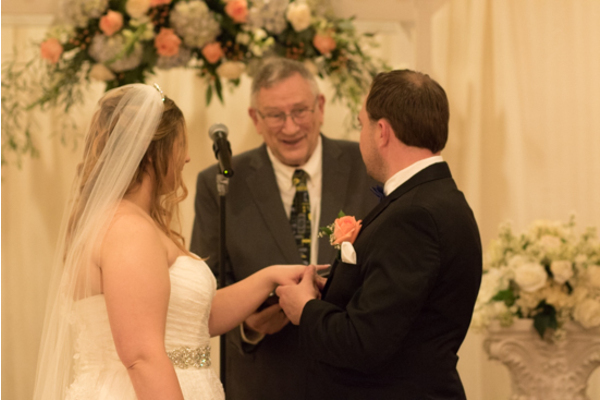 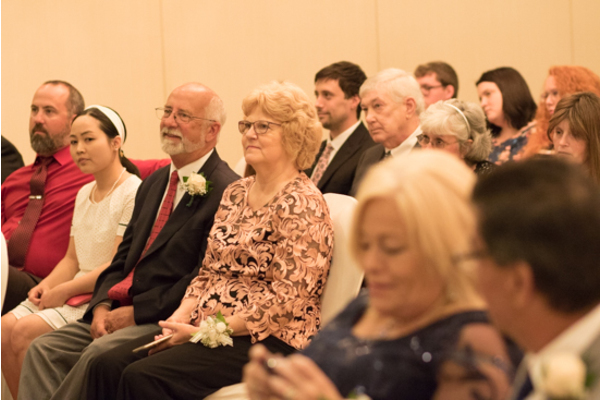 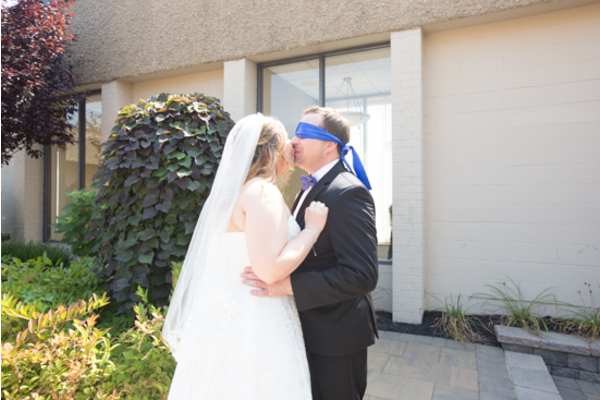 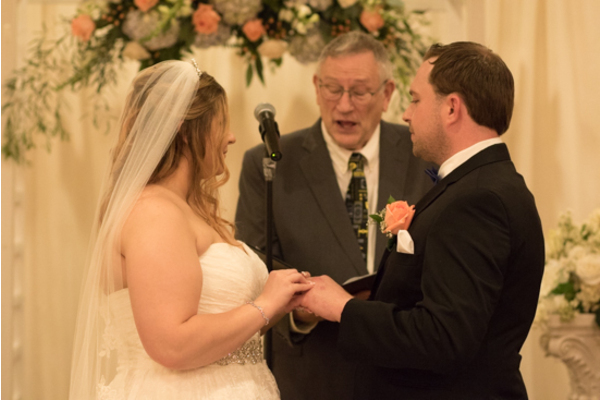 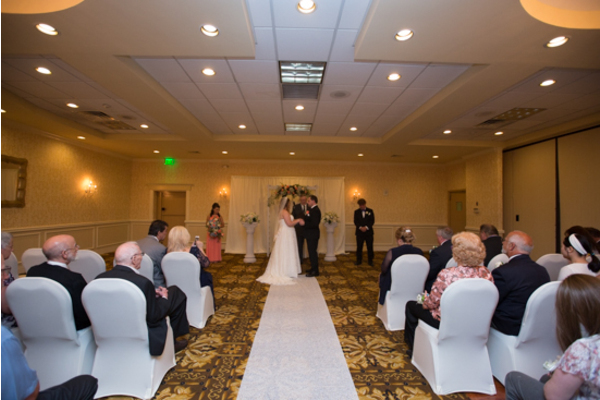 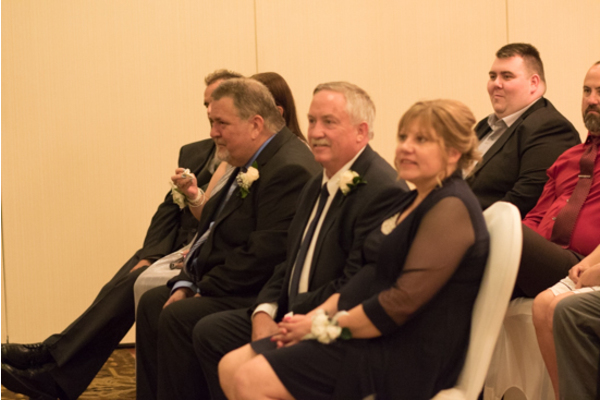 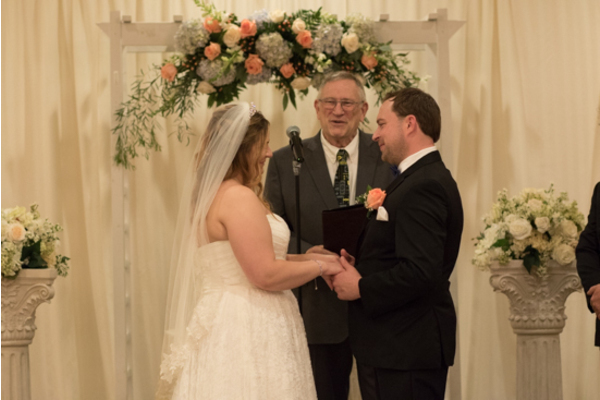 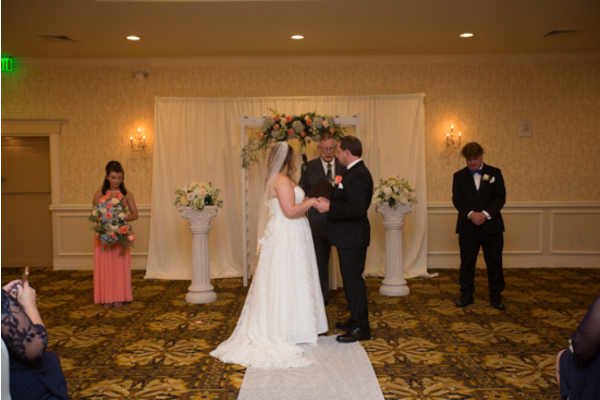 Gathered by dear family and friends at the ceremony, our NJ Wedding Photographer captured every emotional memory! 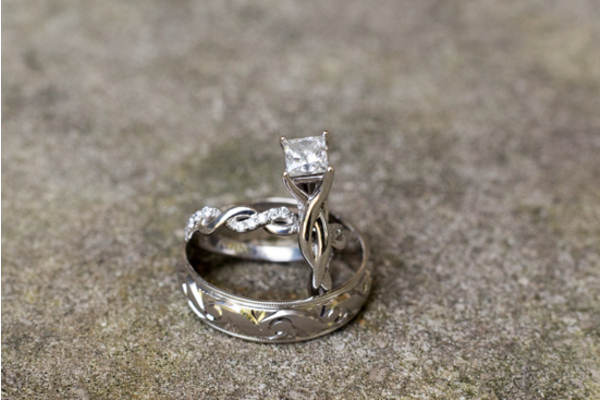 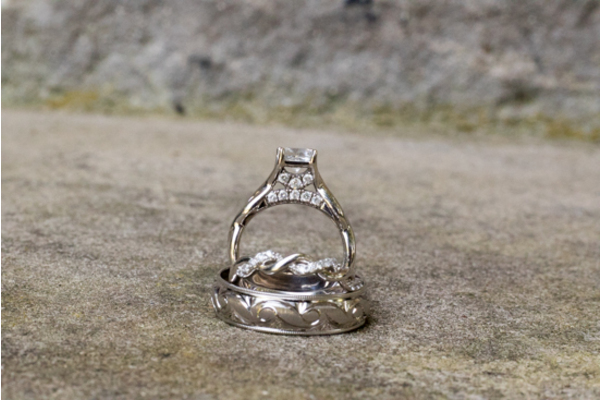 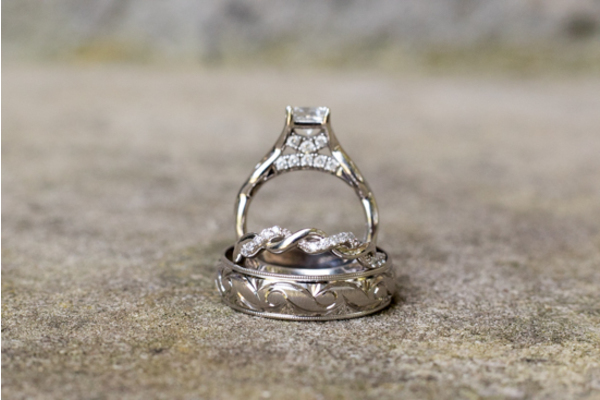 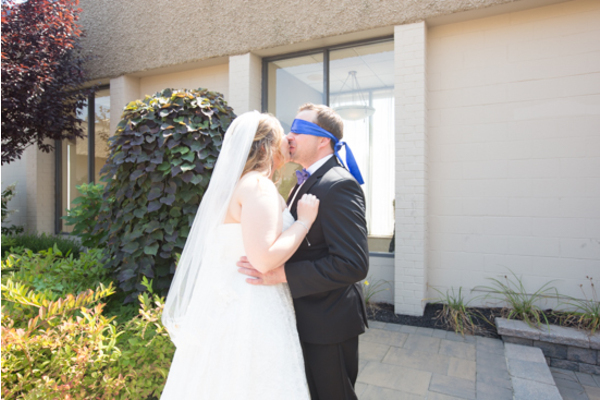 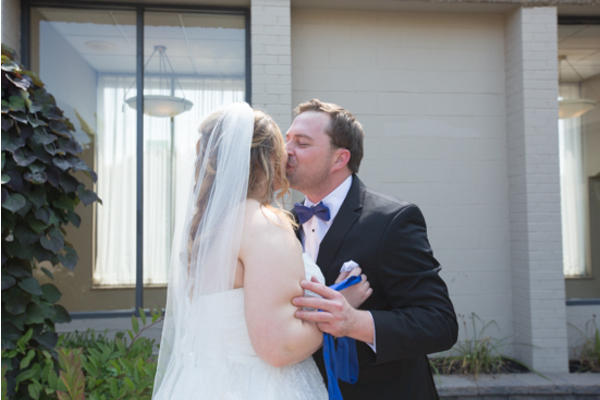 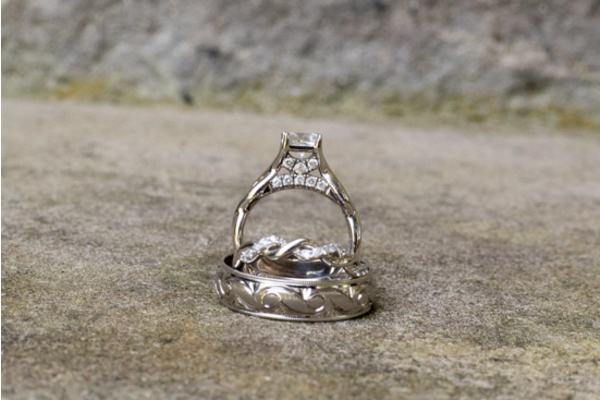 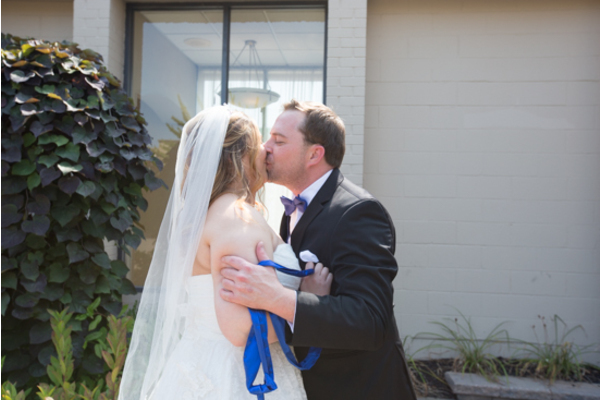 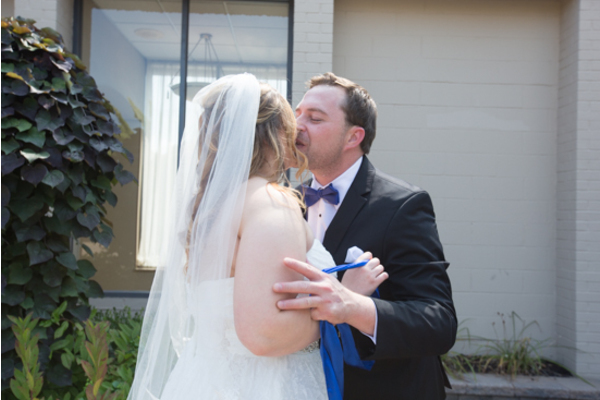 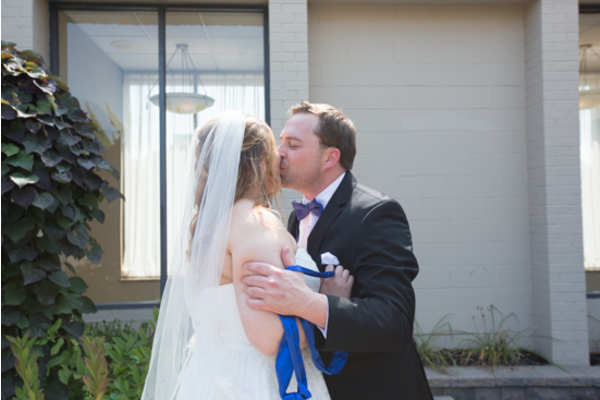 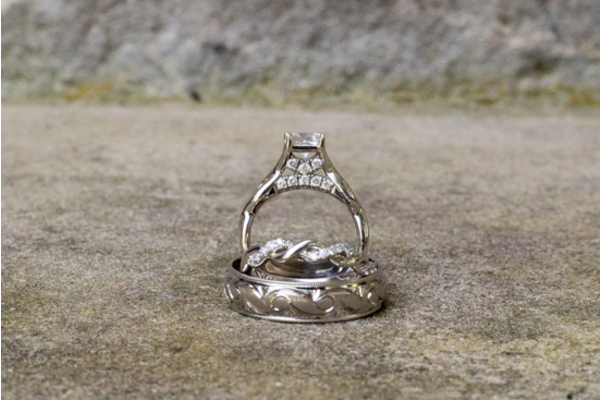 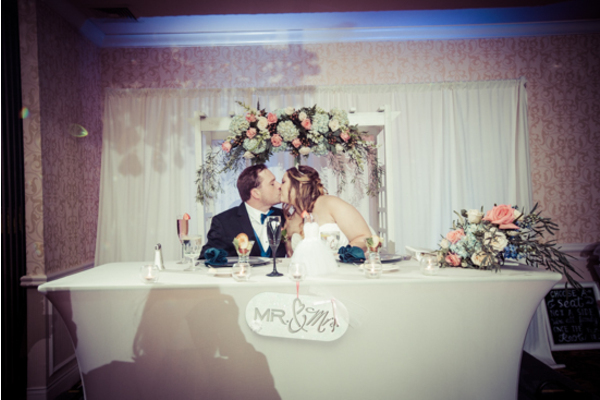 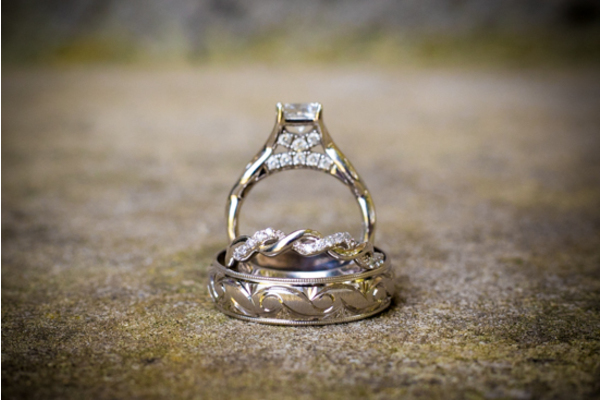 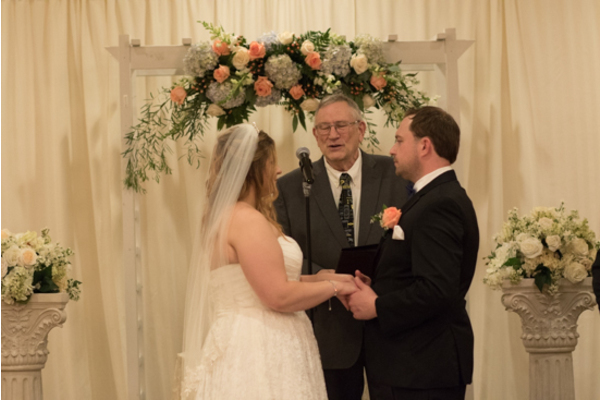 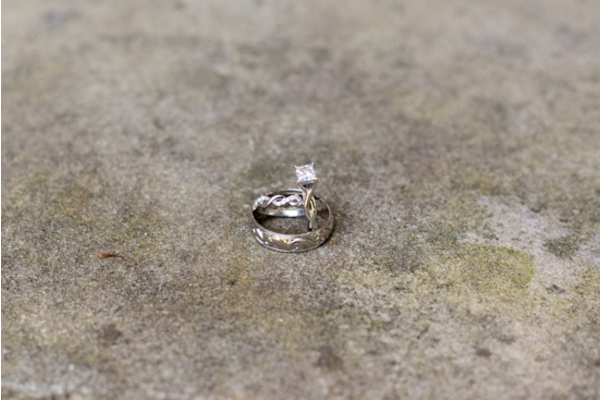 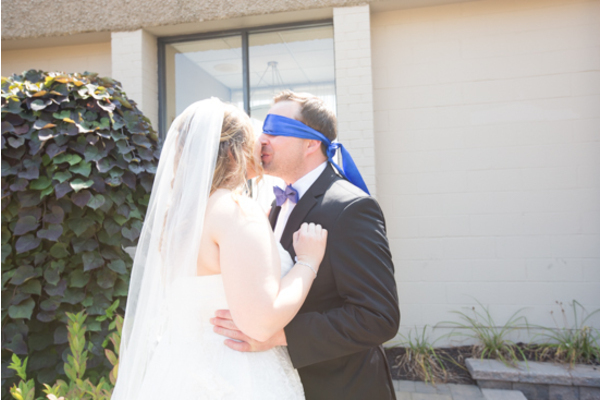 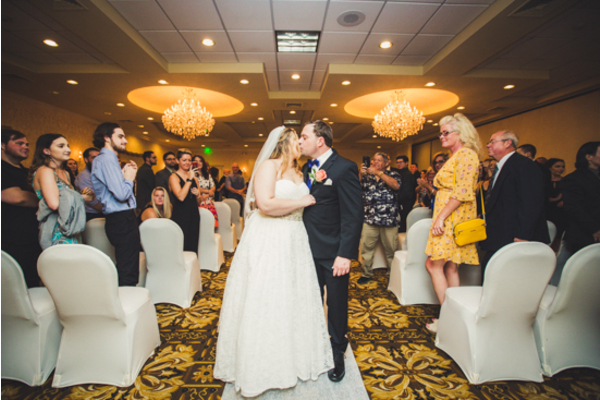 As loved ones watched closely, the happy couple said their vows and sealed it with a heartwarming kiss! 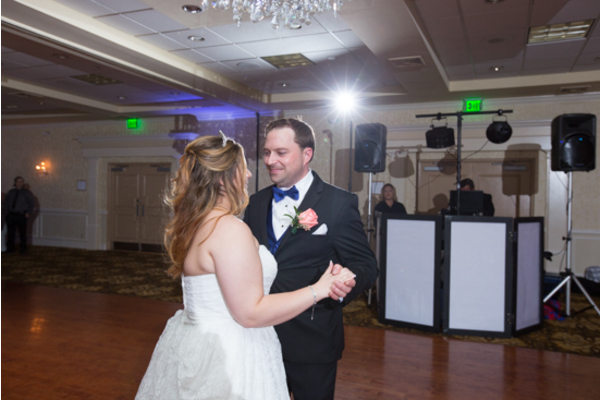 At the reception, the couple shared their first dance together as a newly wed couple! 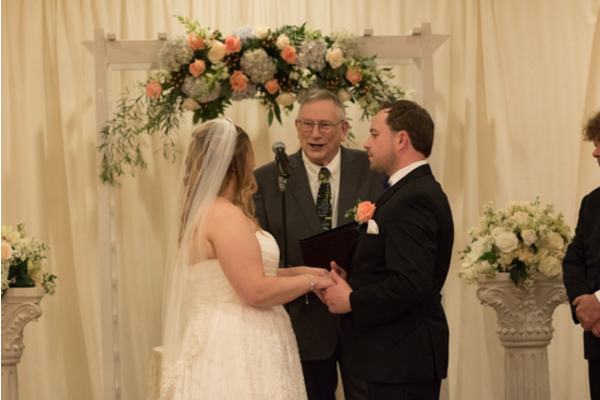 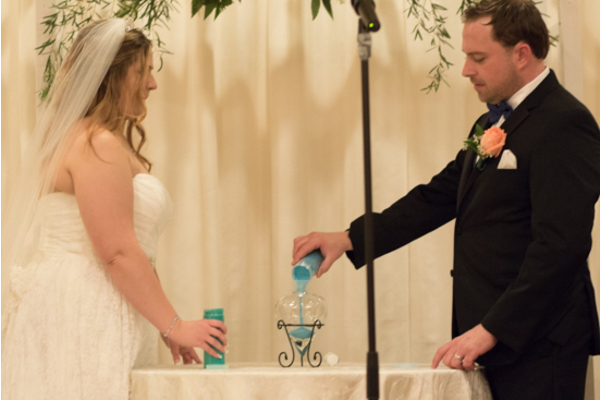 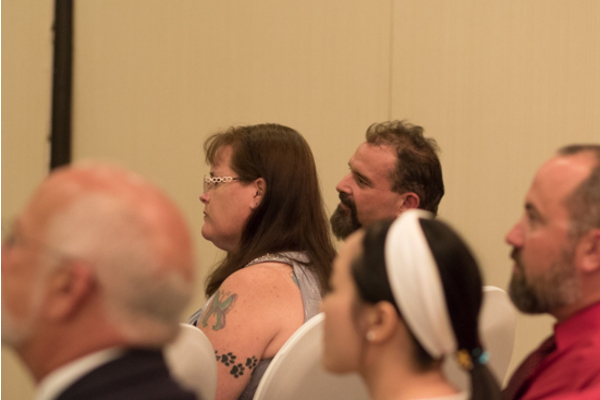 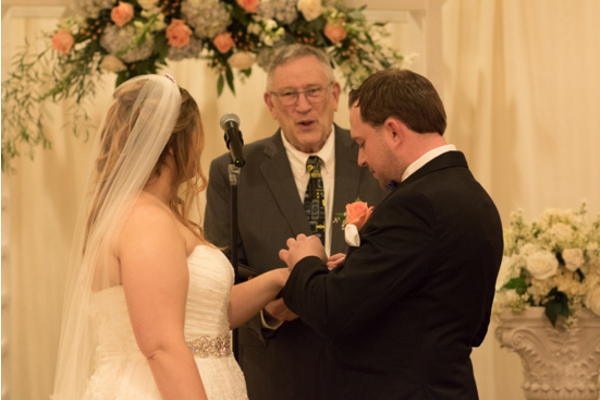 Speeches were made, and love was in the air! 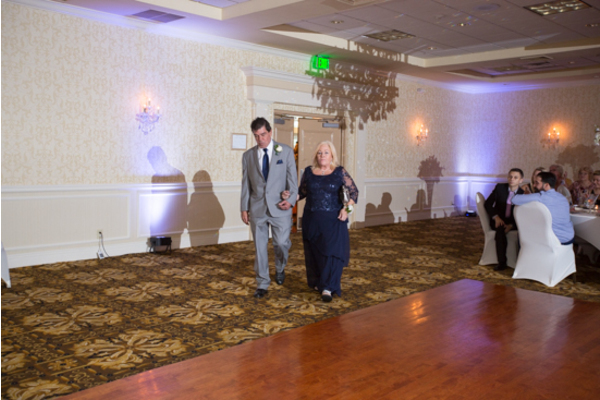 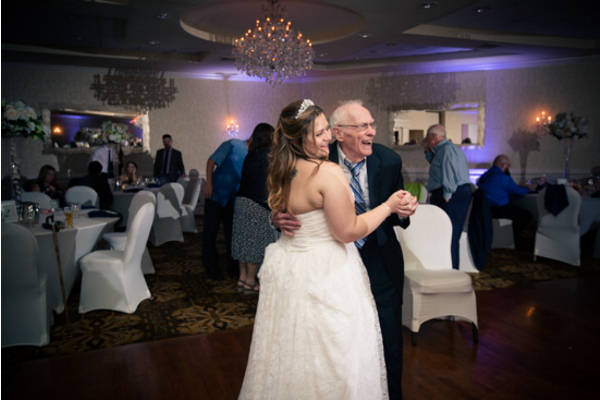 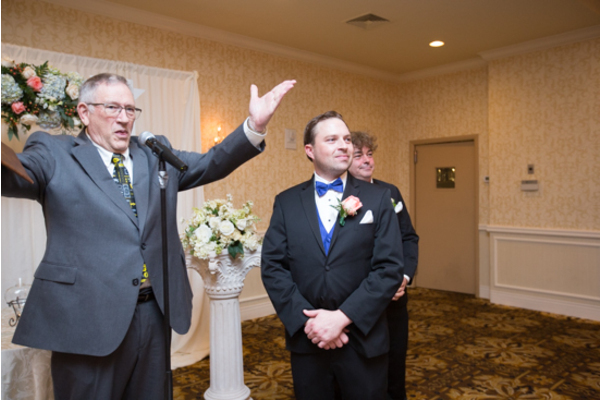 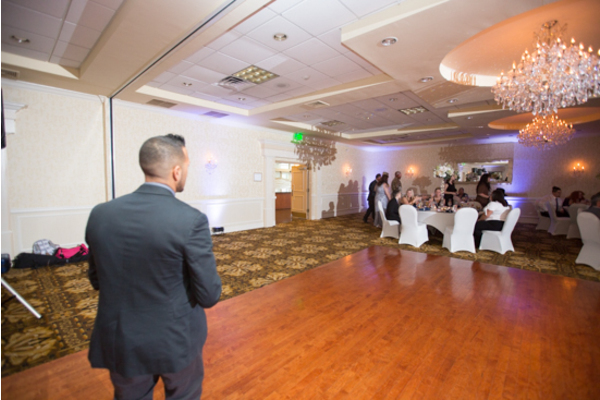 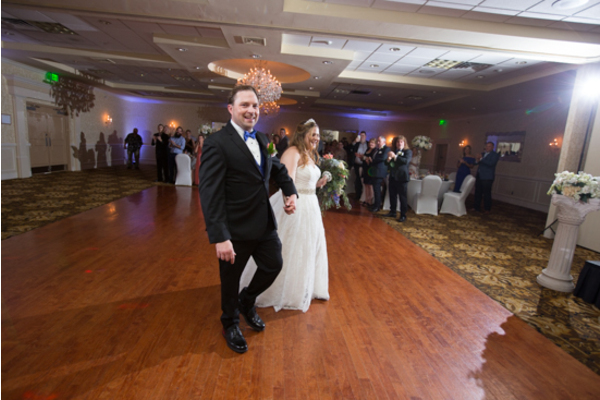 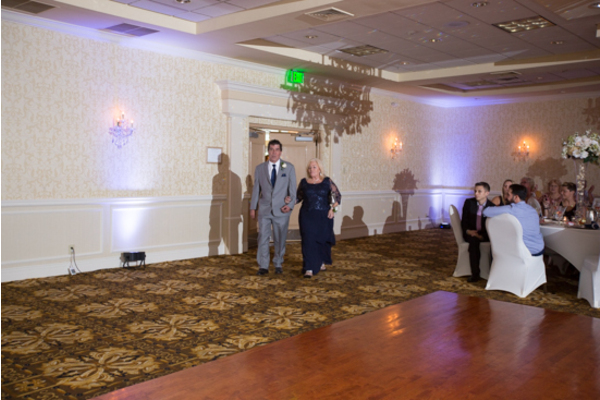 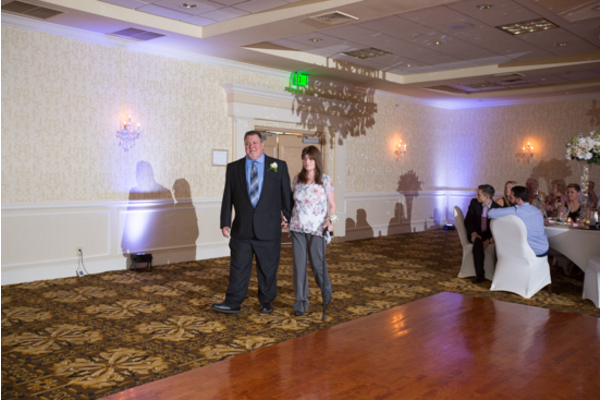 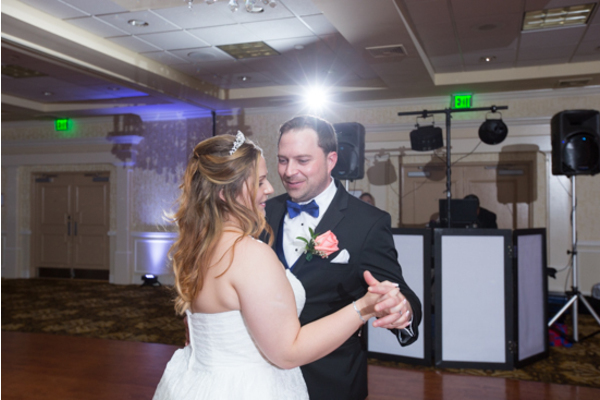 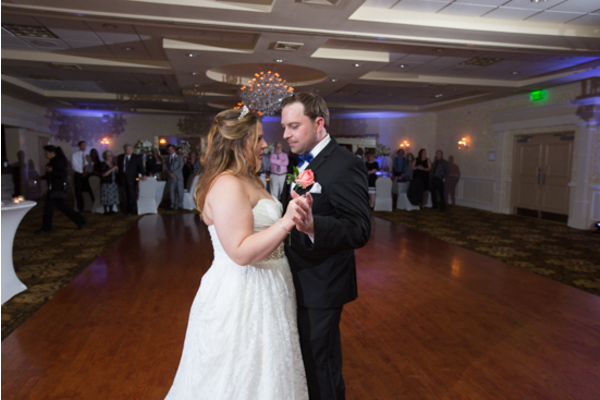 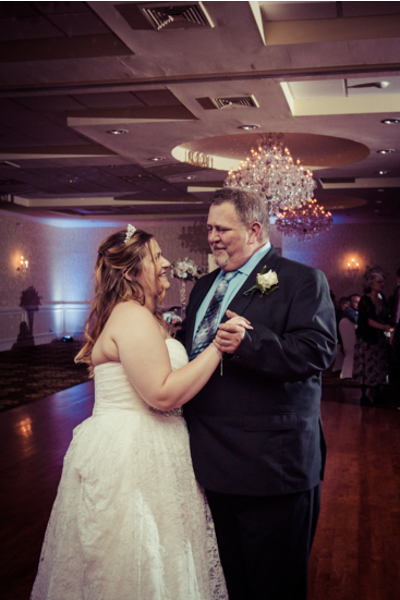 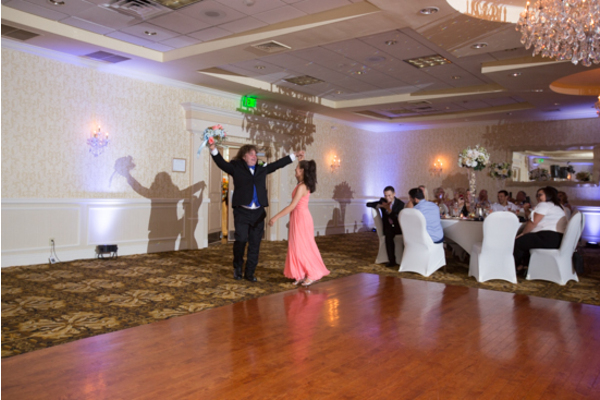 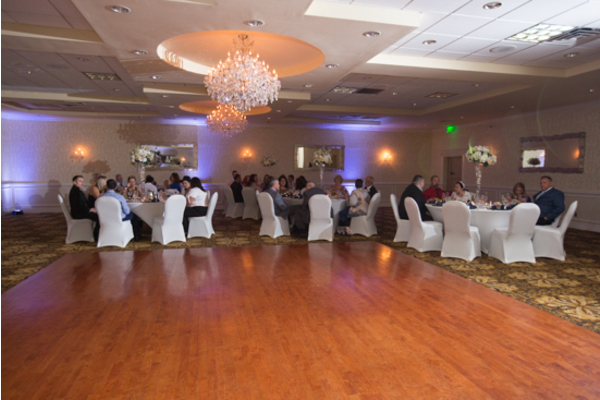 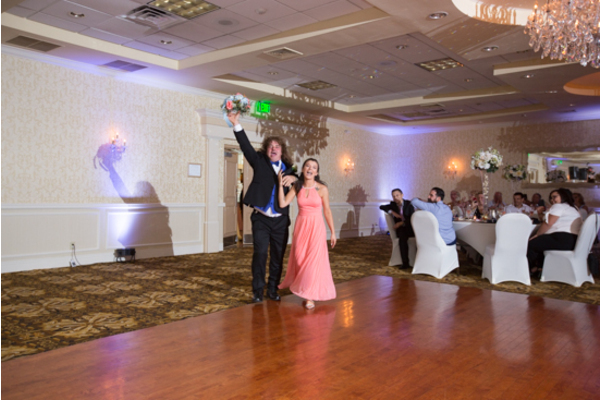 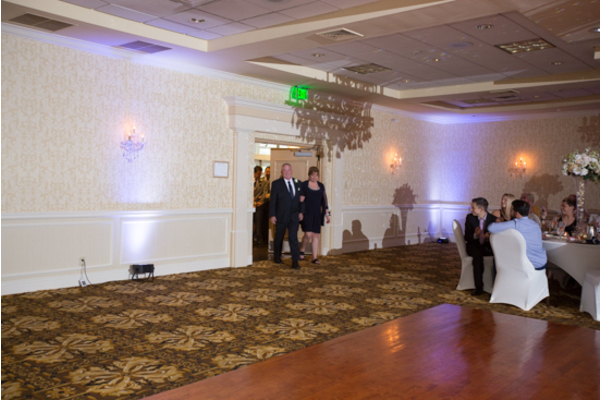 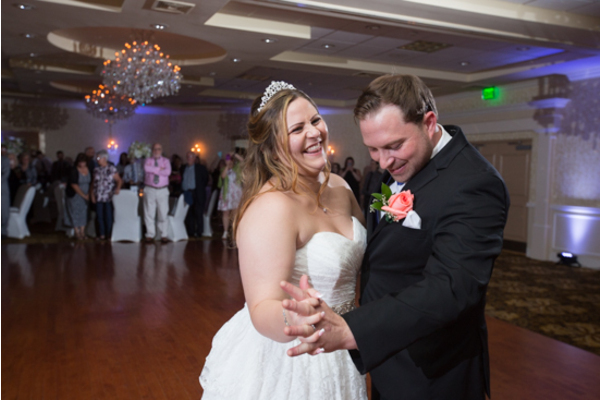 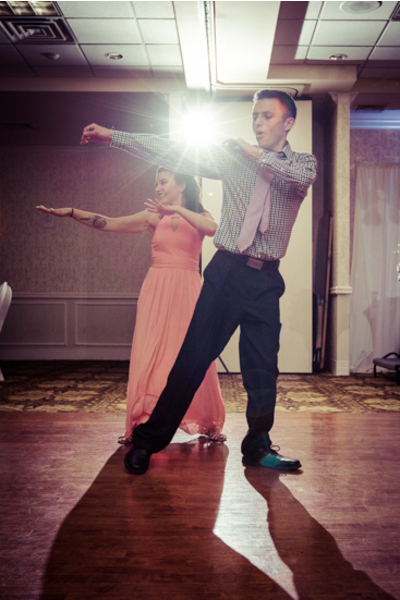 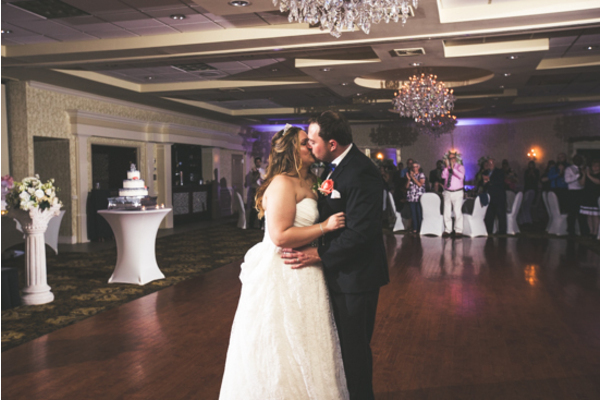 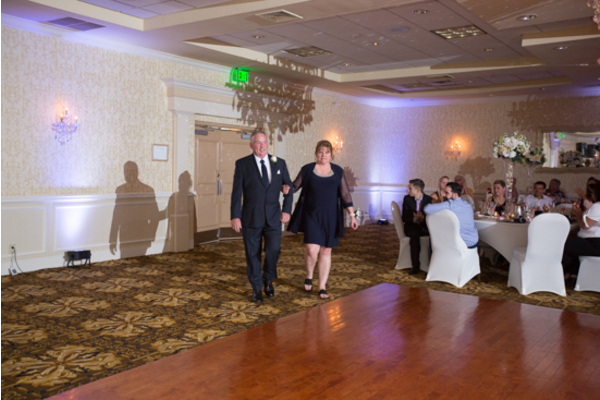 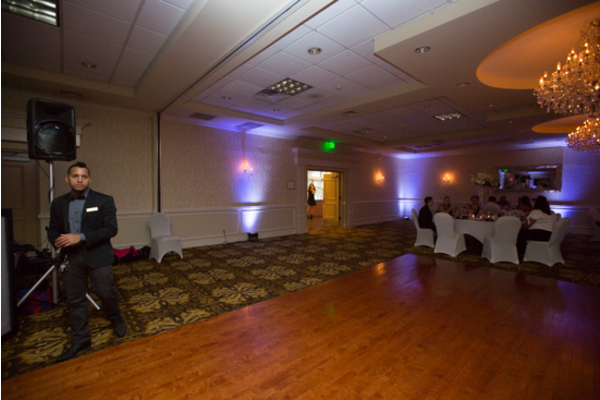 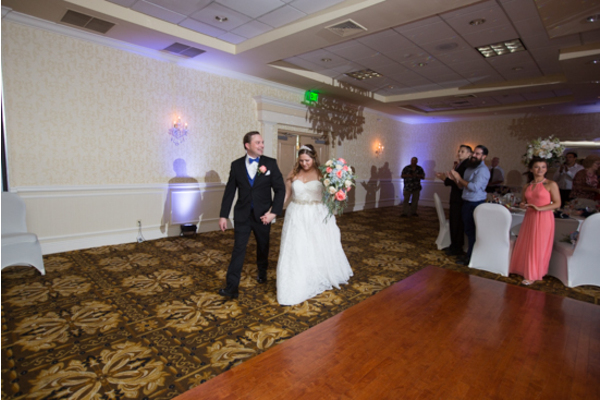 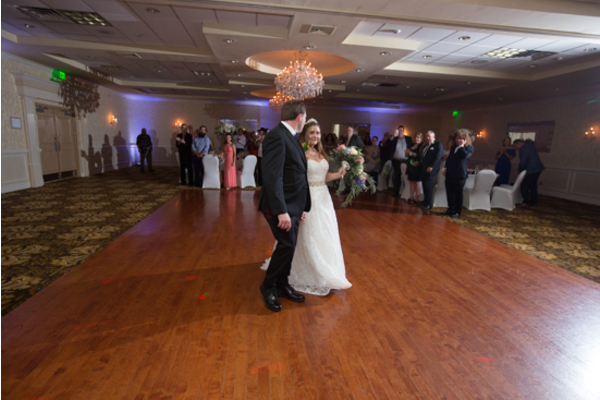 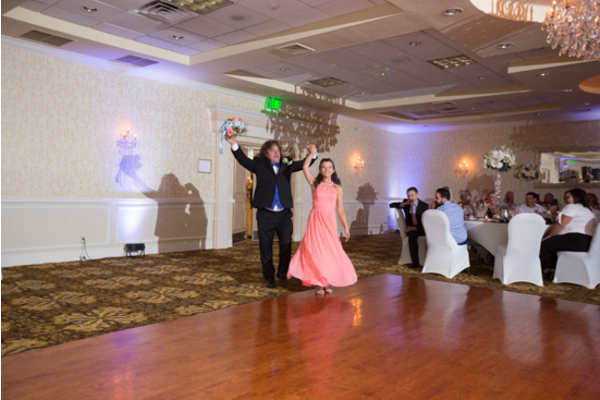 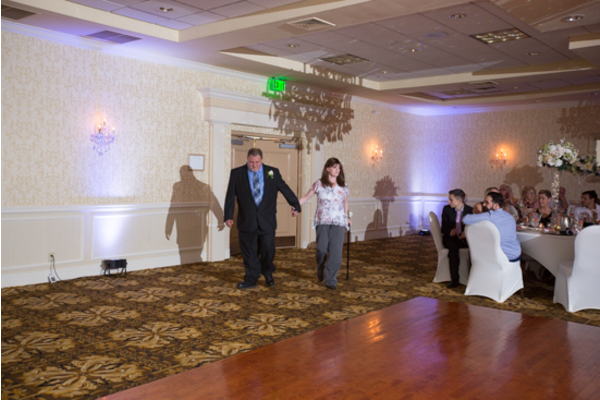 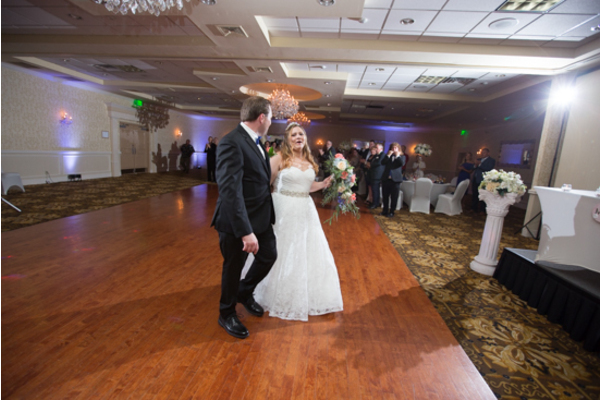 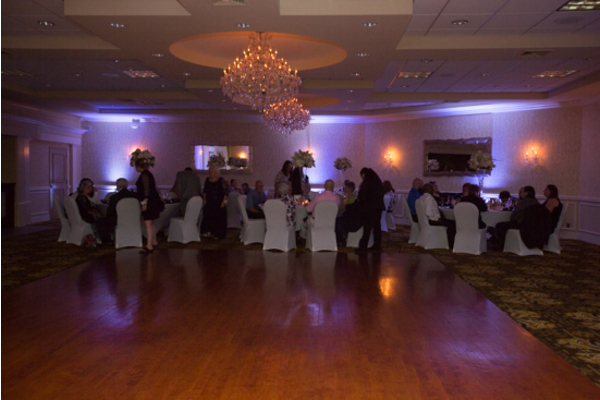 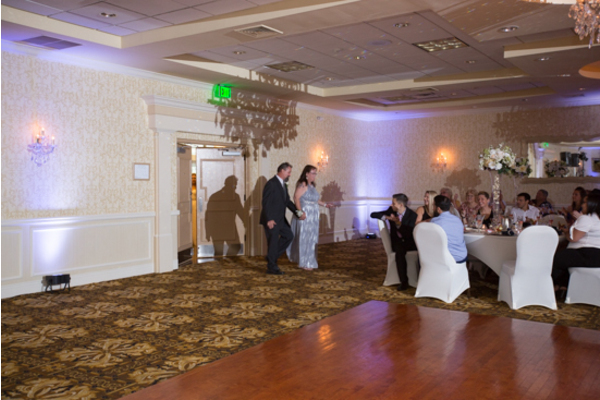 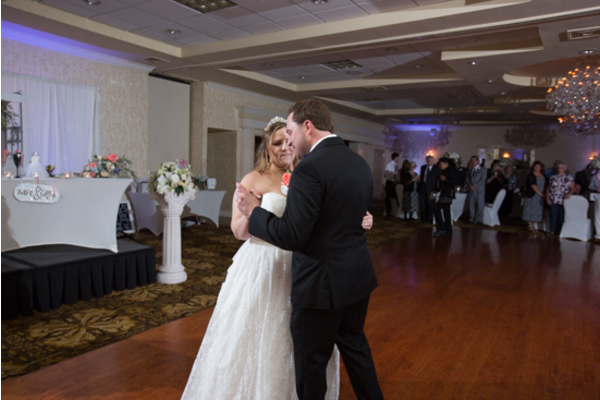 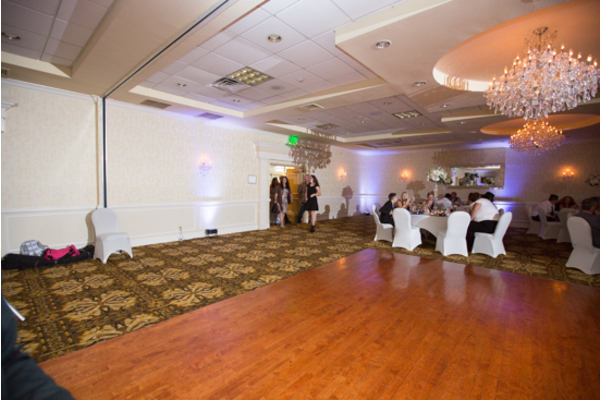 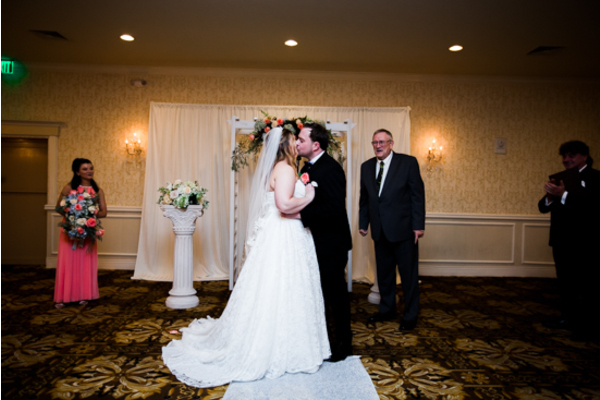 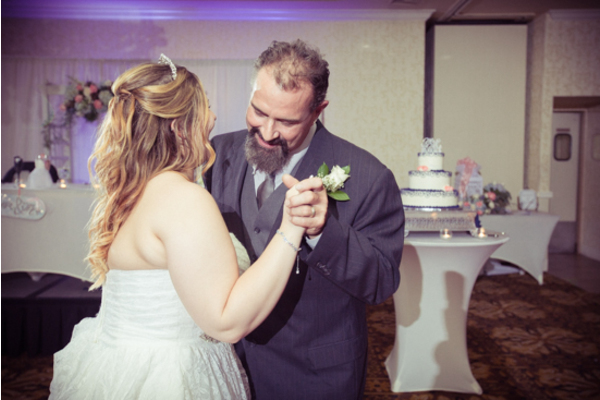 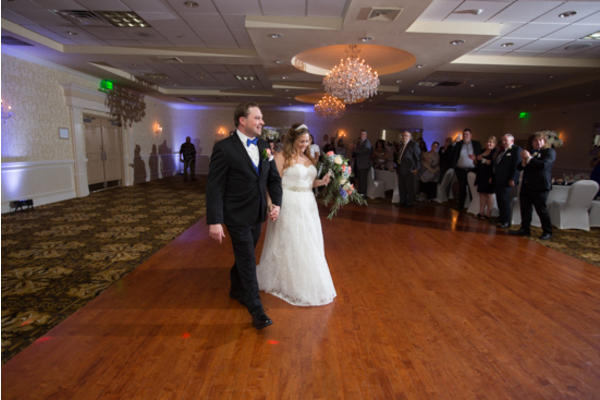 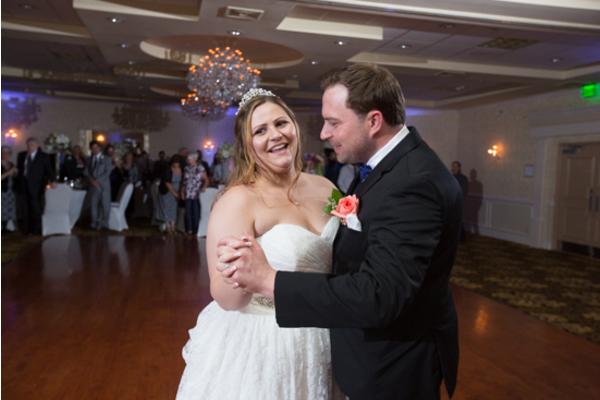 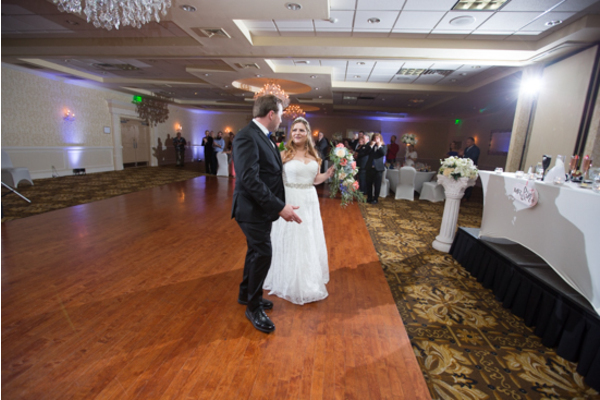 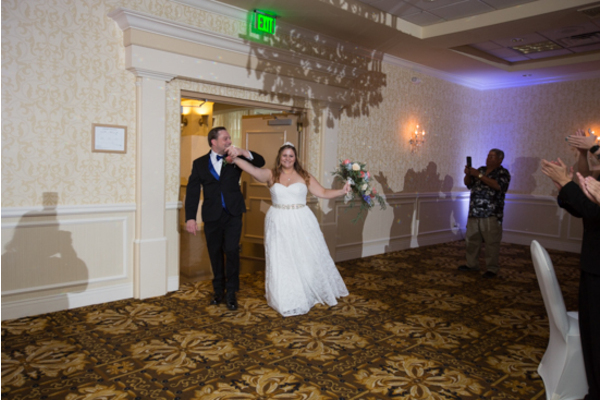 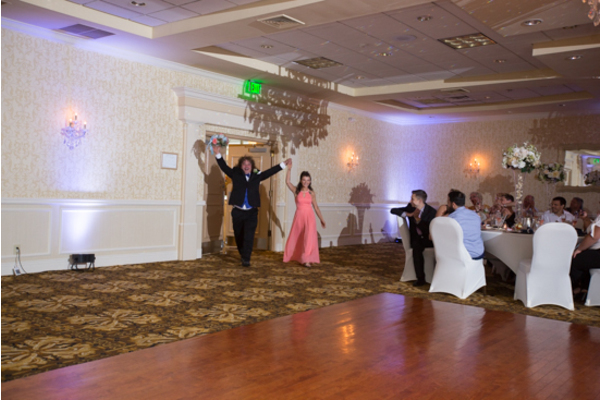 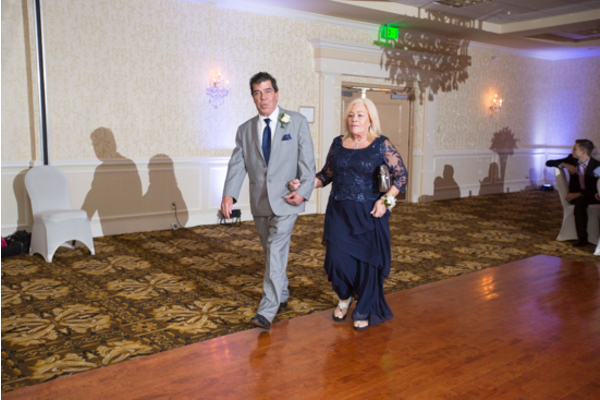 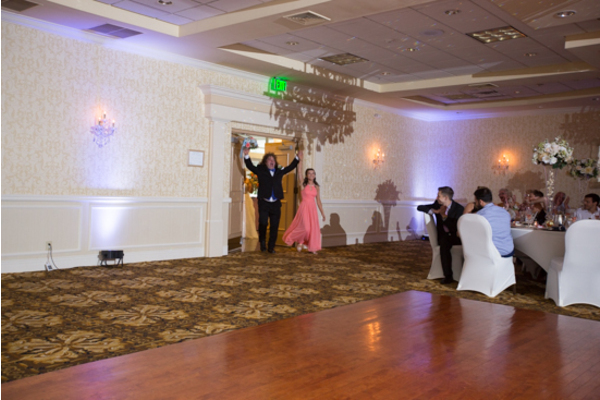 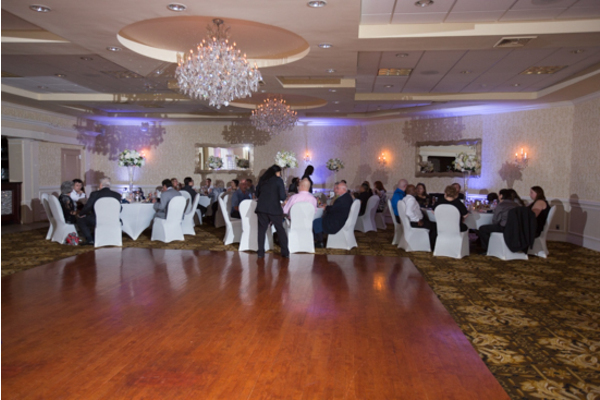 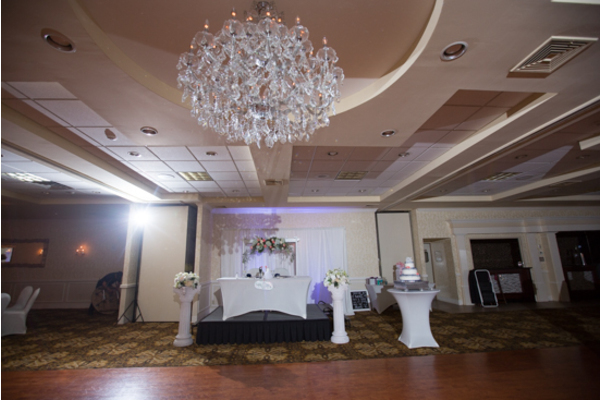 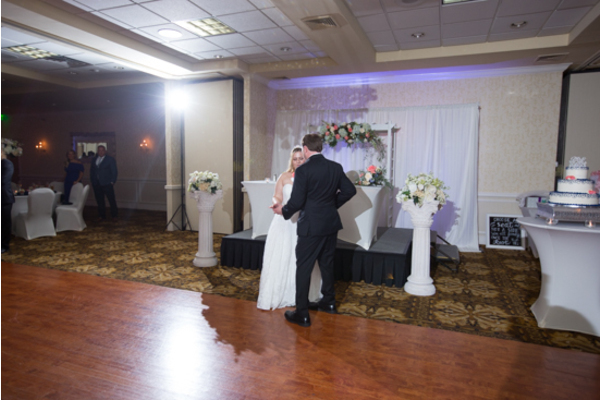 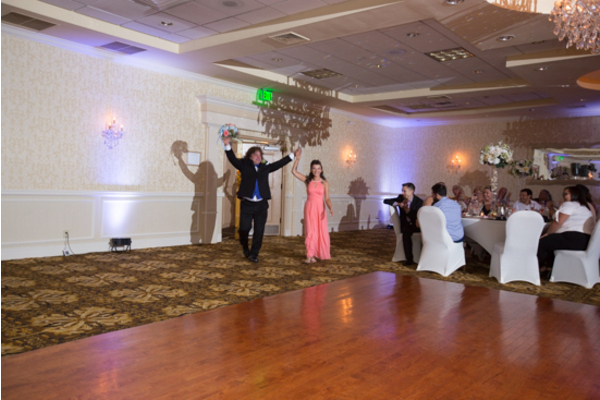 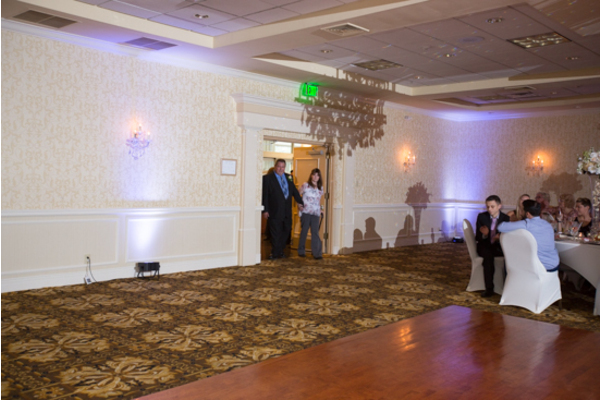 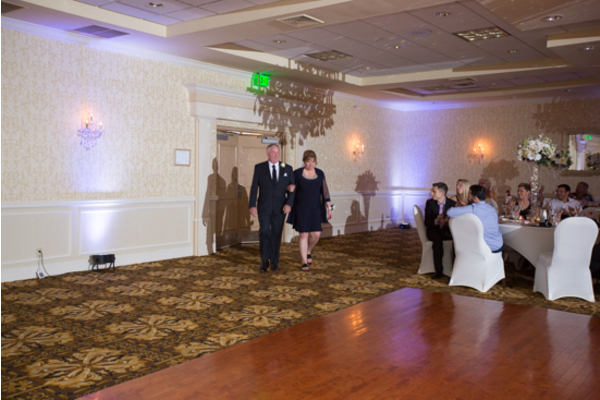 Family and friends danced the night away in celebration, captured by our NJ Wedding Photographer! 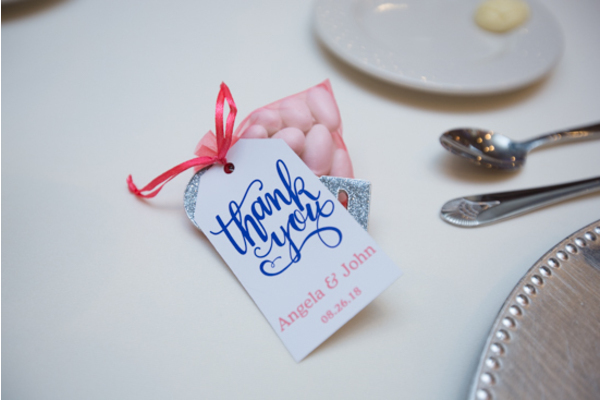 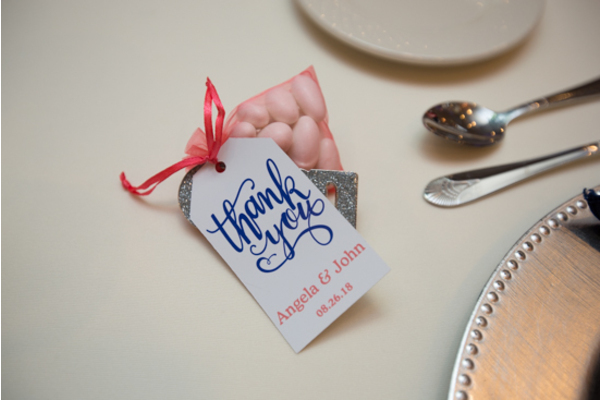 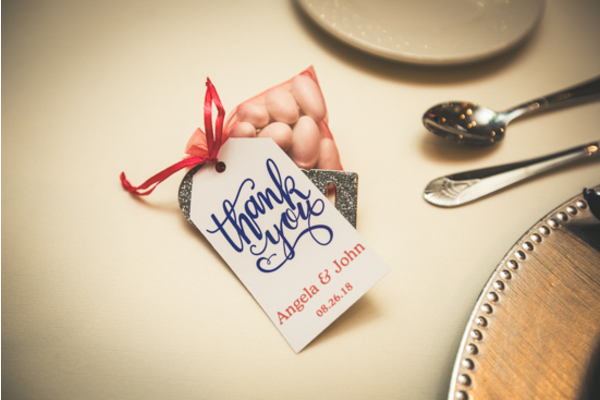 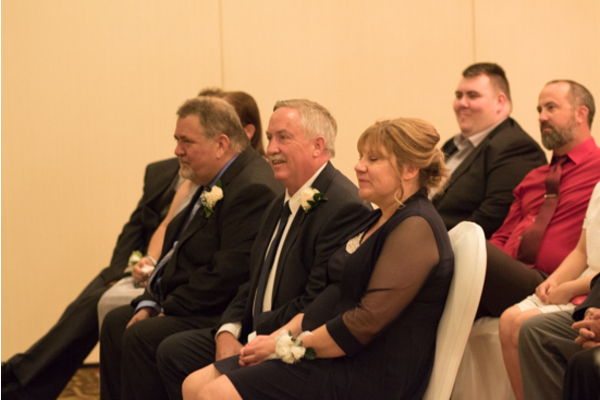 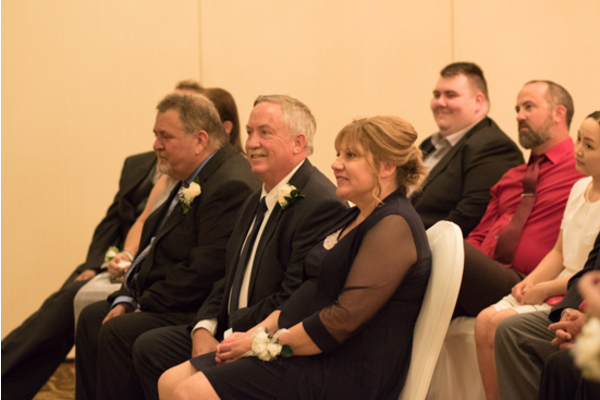 Congratulations, again, to Angela and John on their recent marriage! 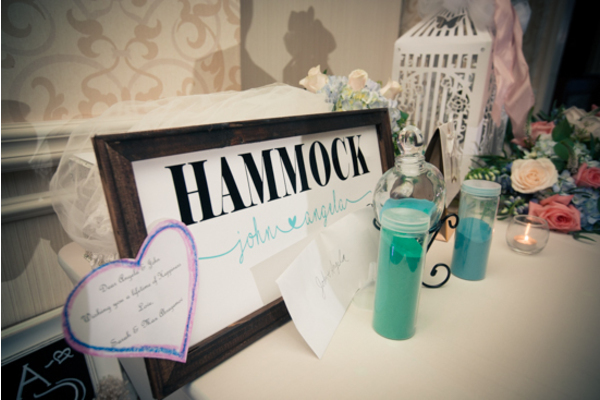 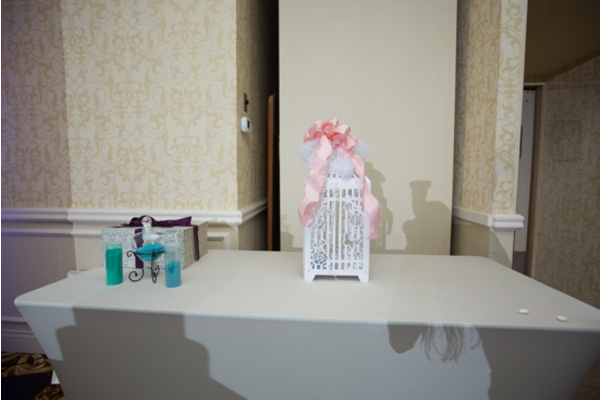 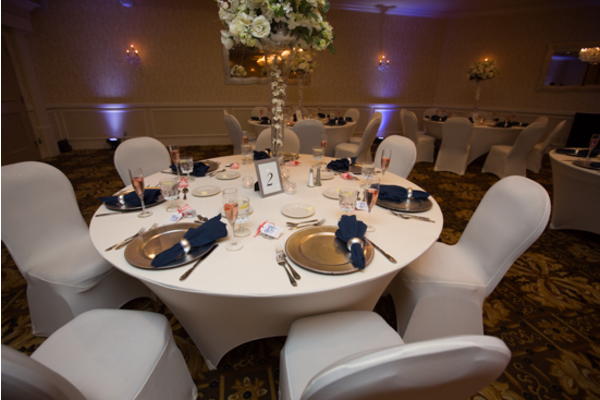 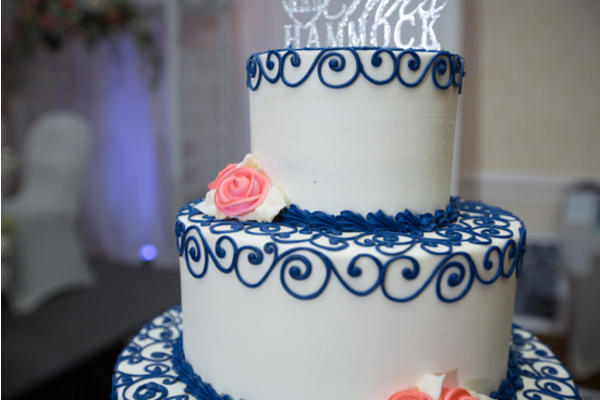 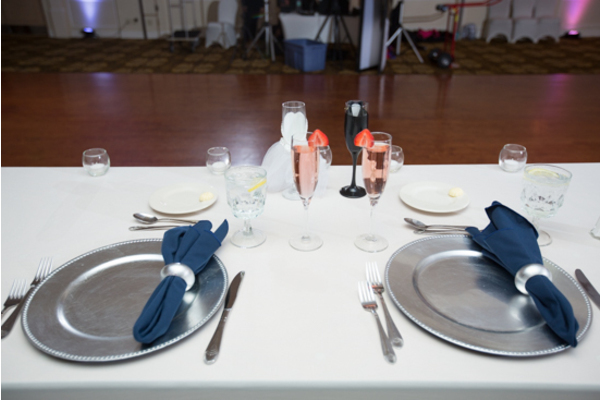 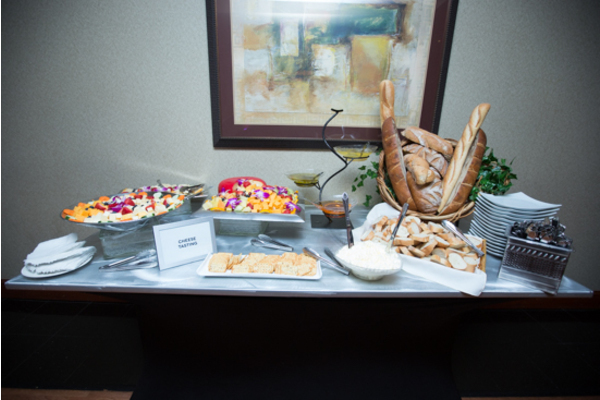 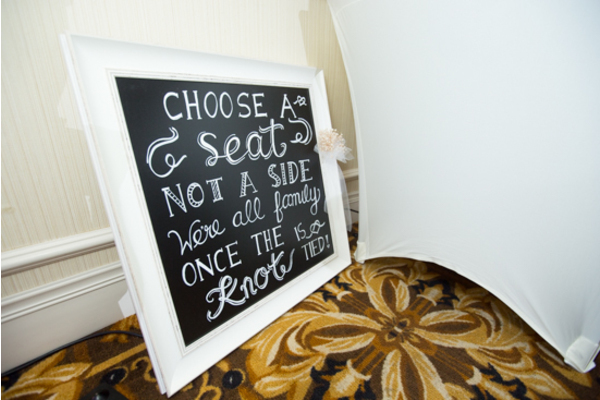 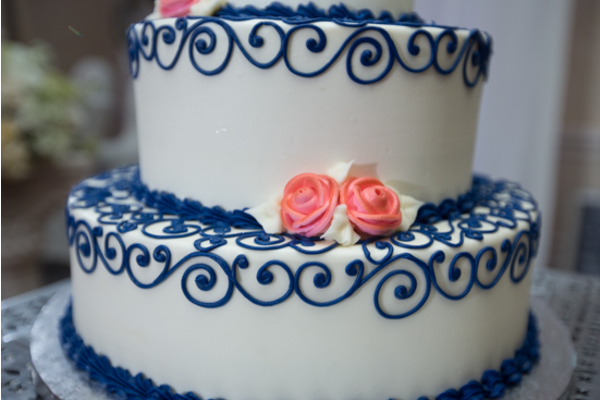 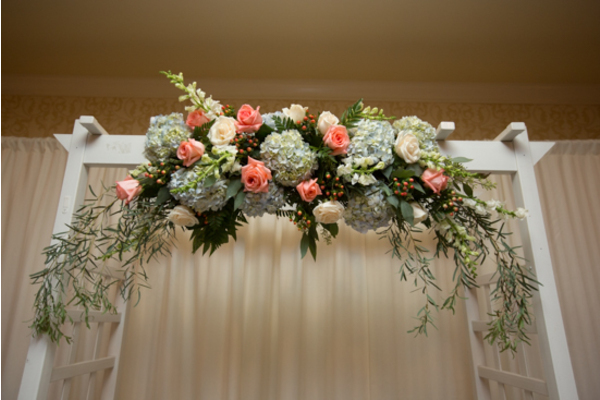 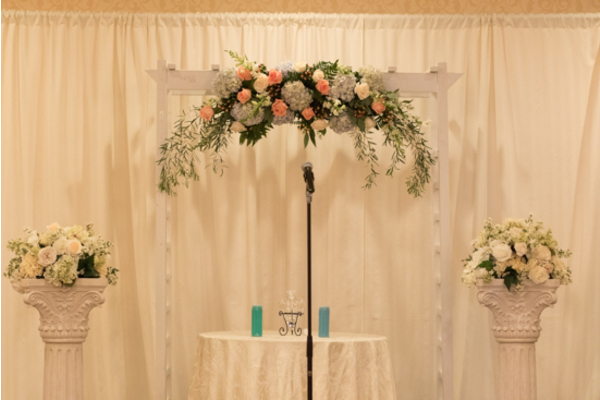 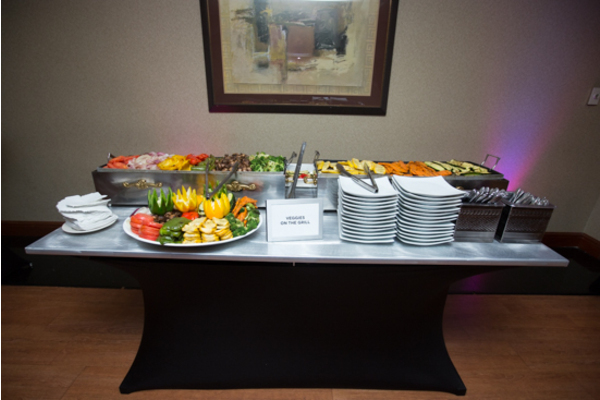 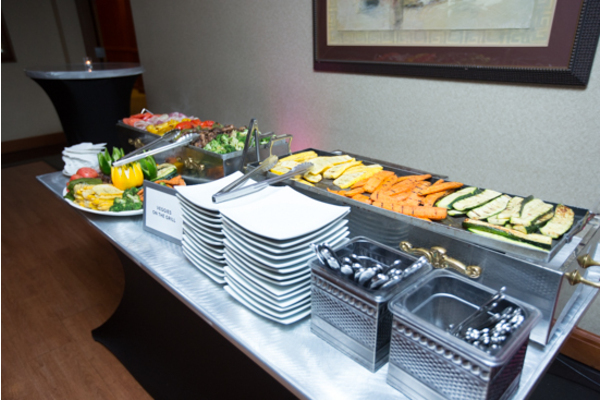 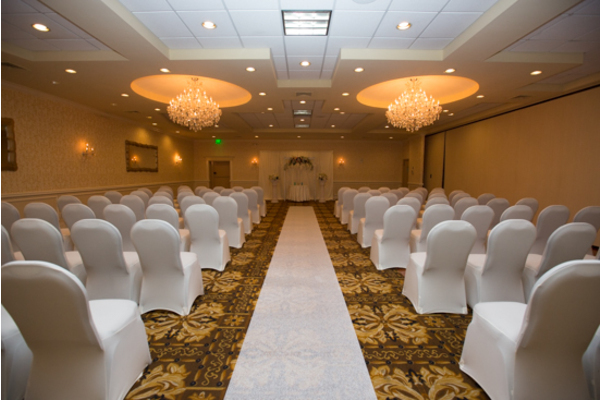 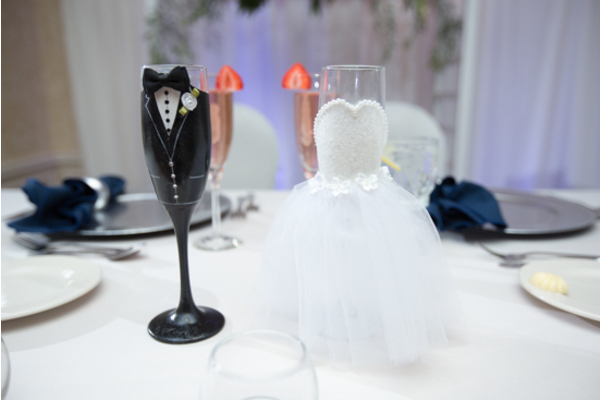 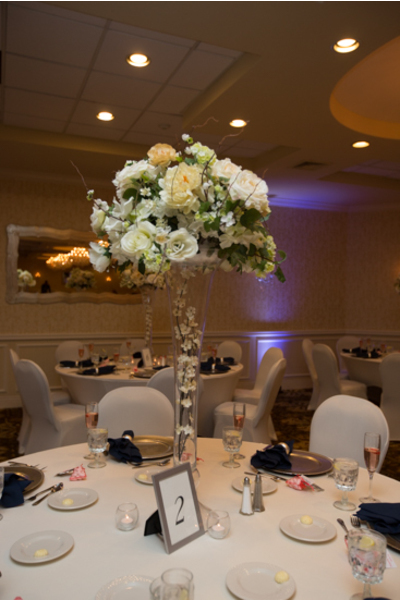 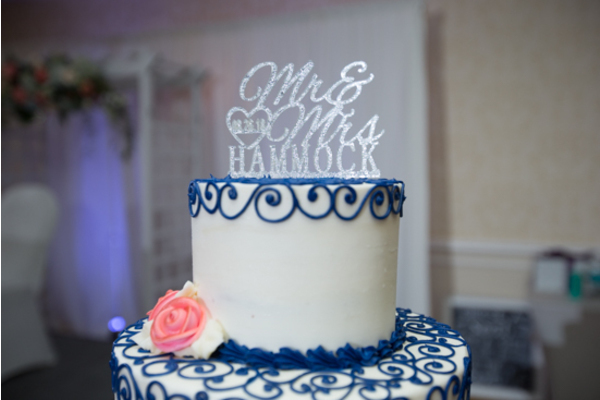 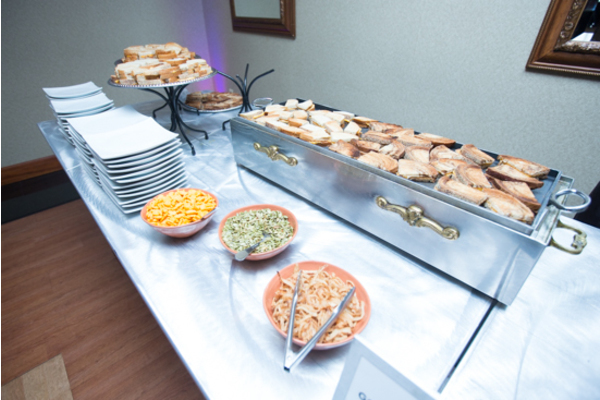 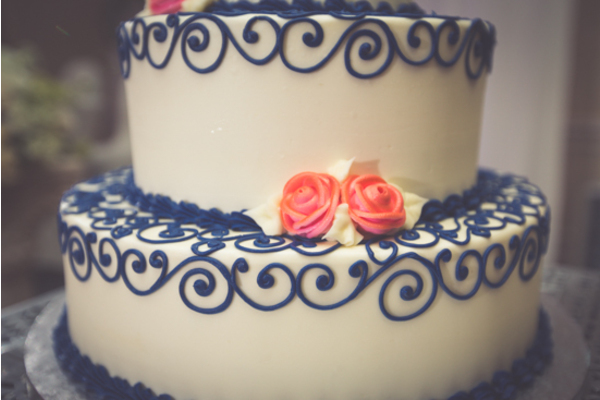 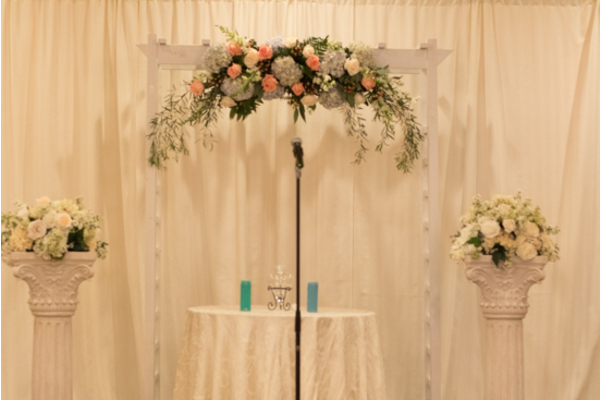 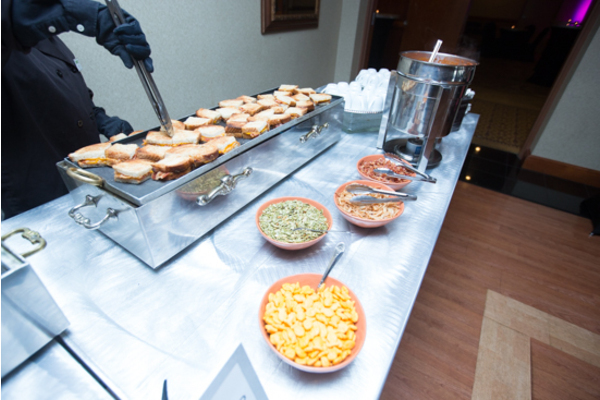 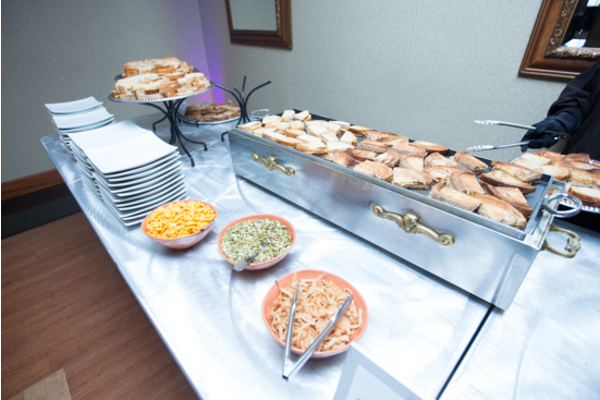 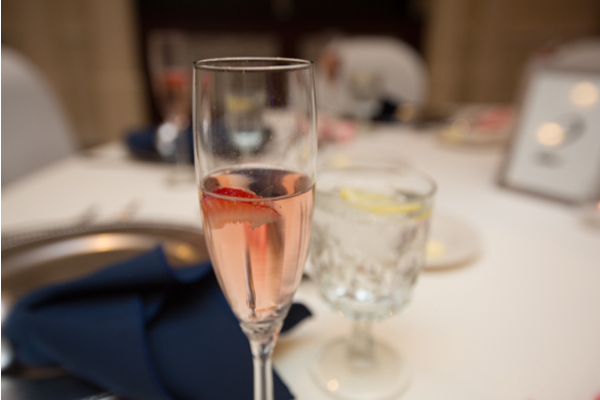 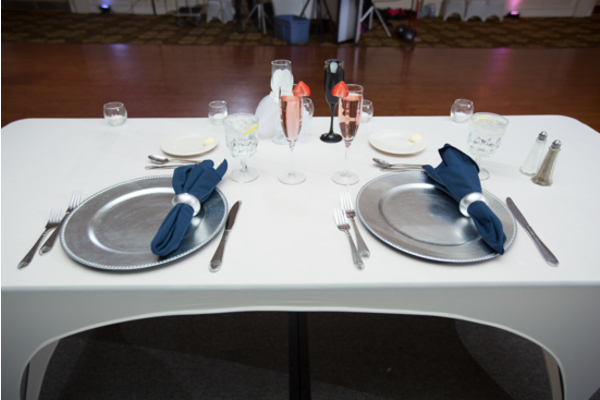 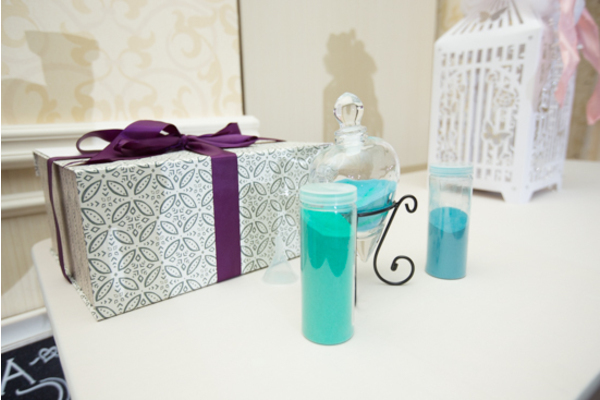 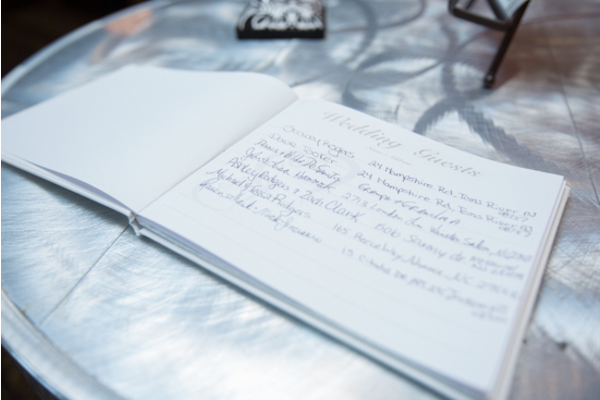 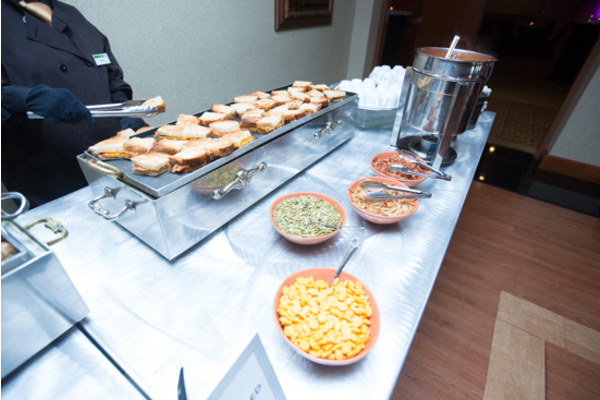 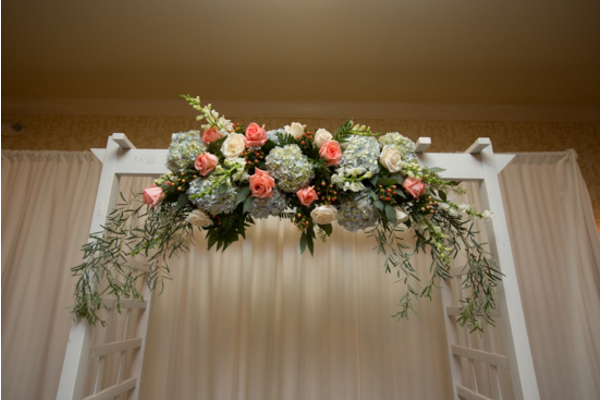 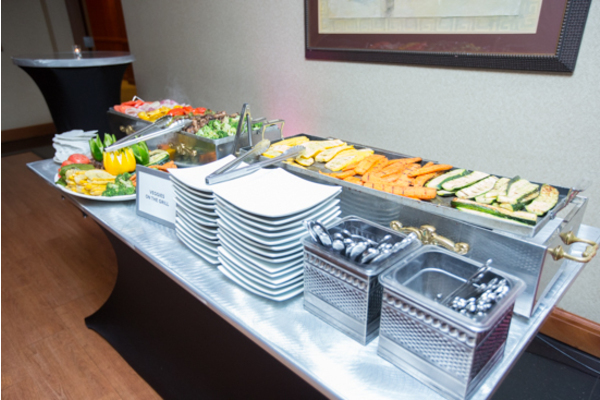 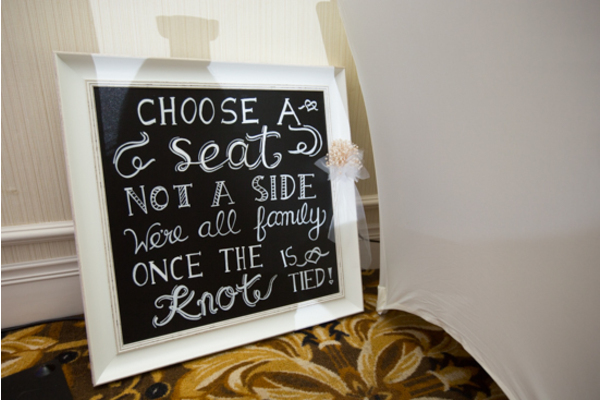 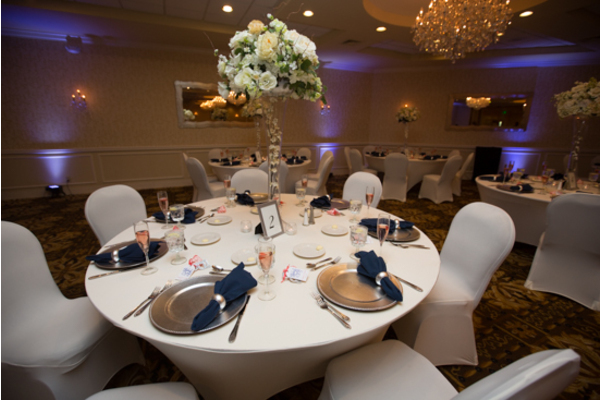 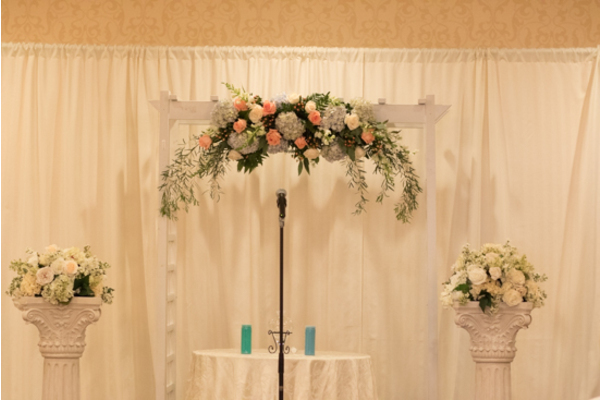 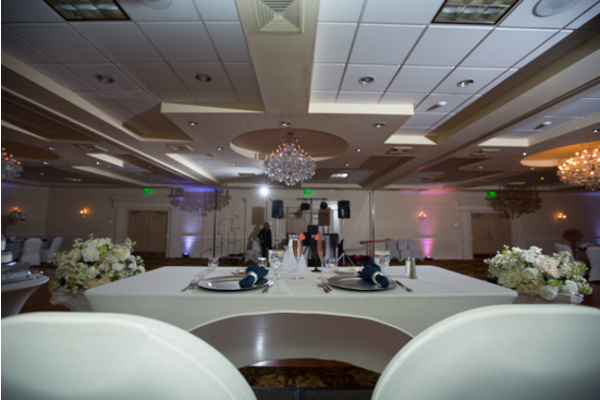 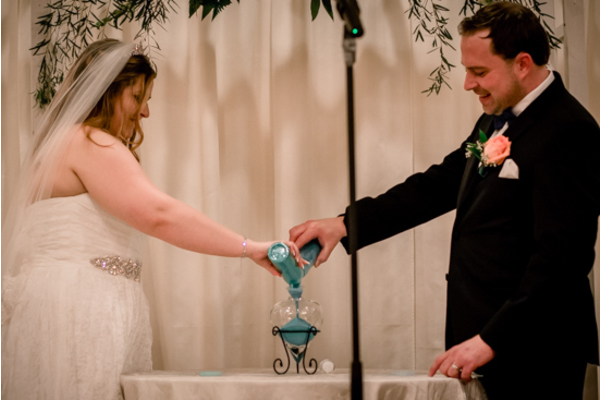 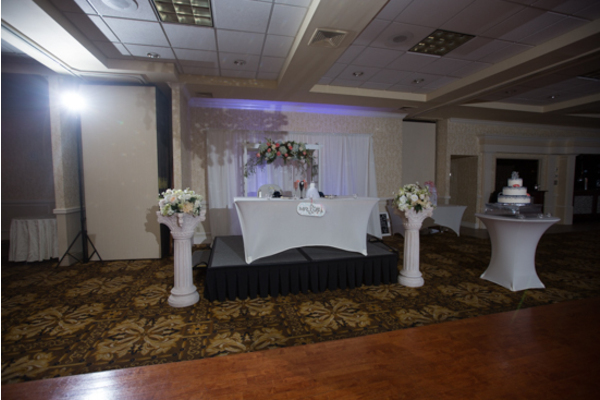 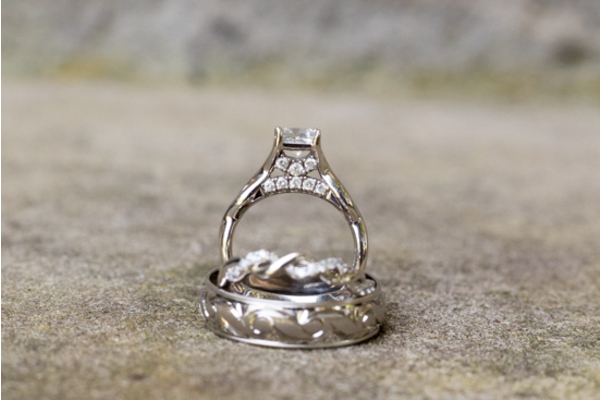 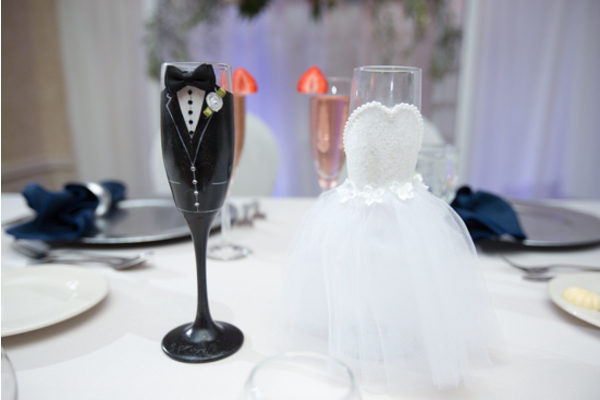 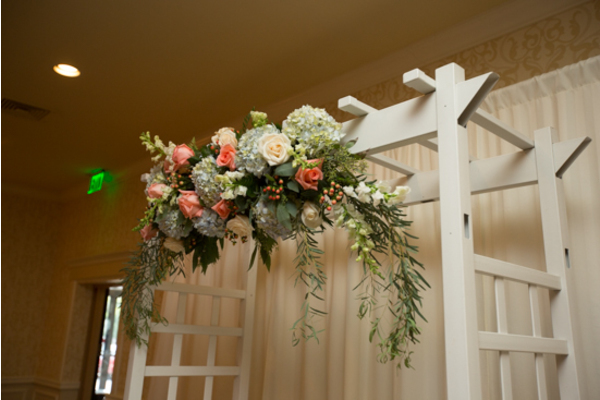 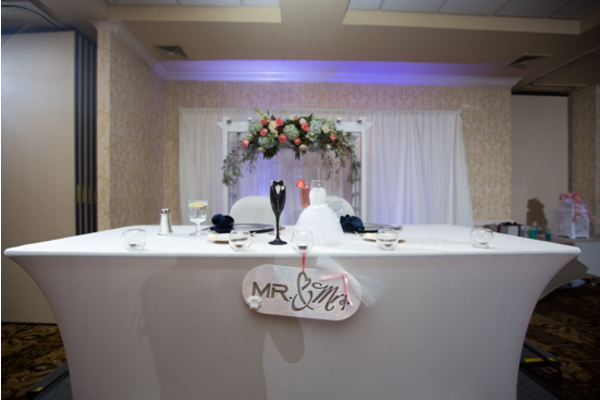 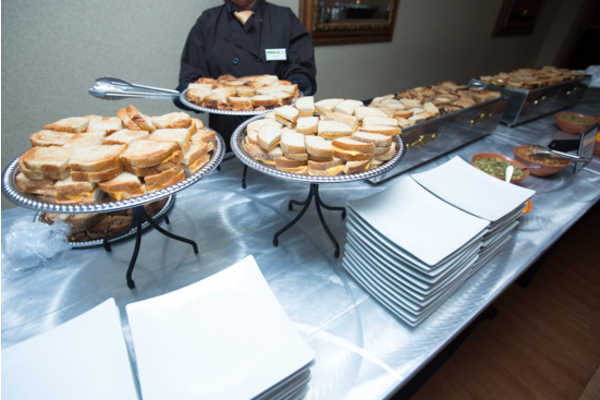 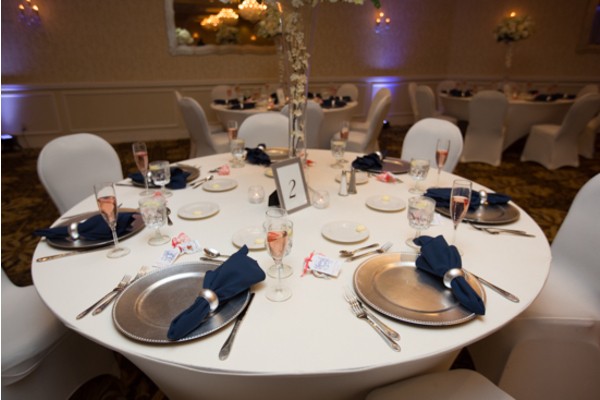 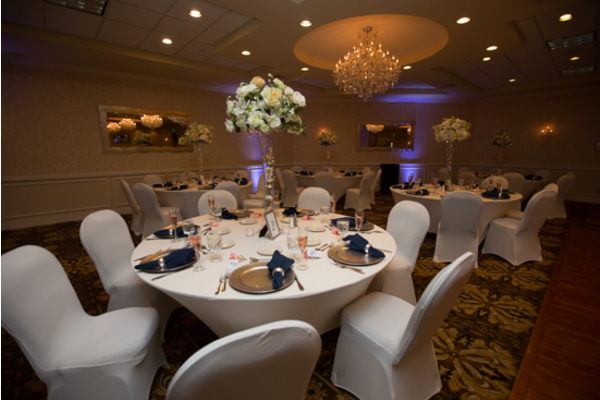 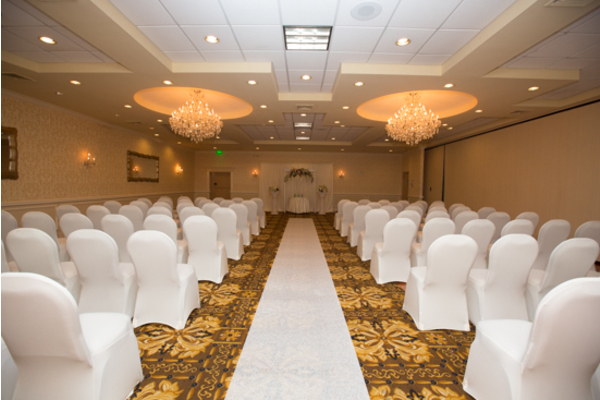 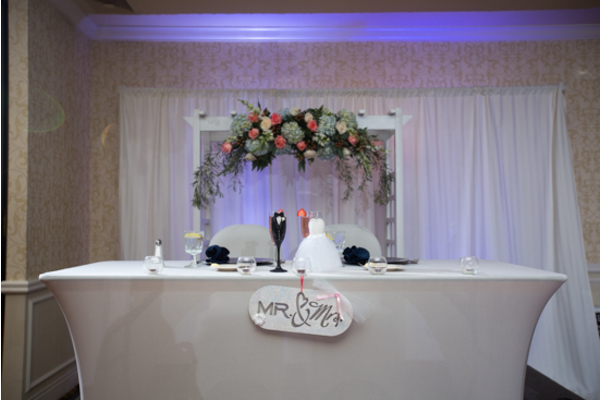 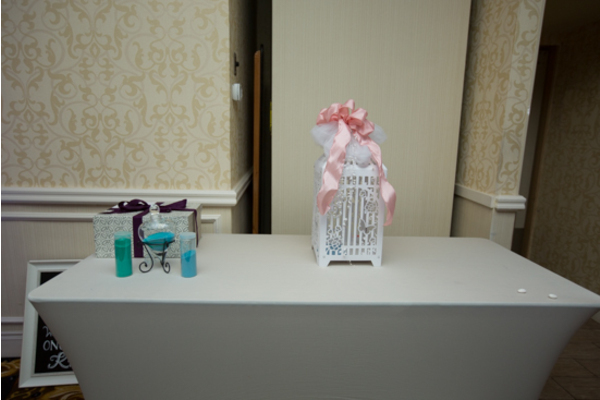 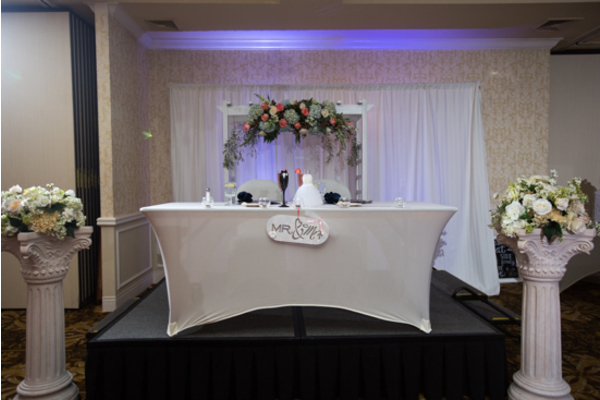 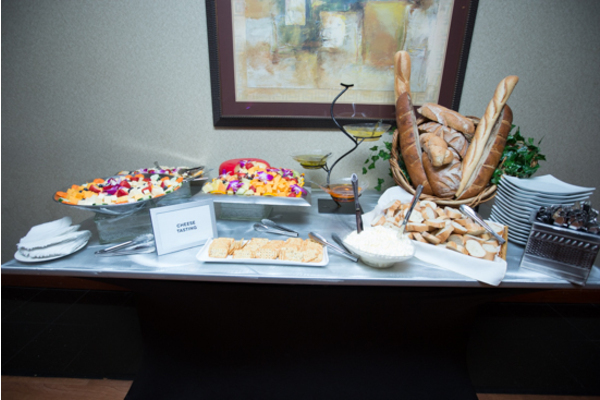 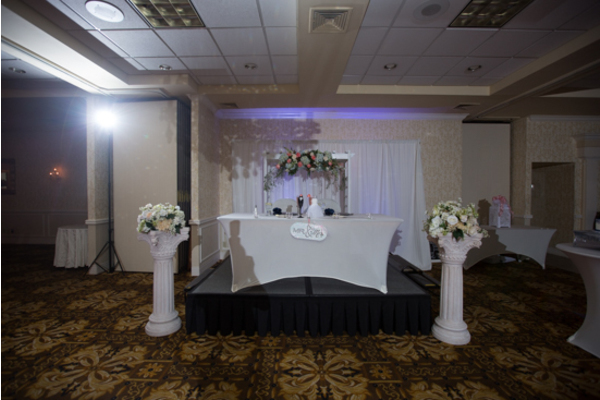 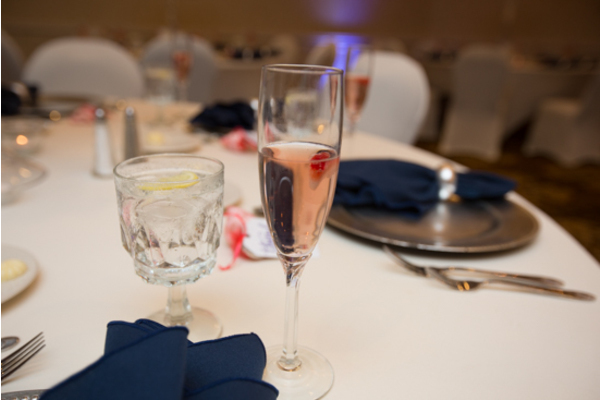 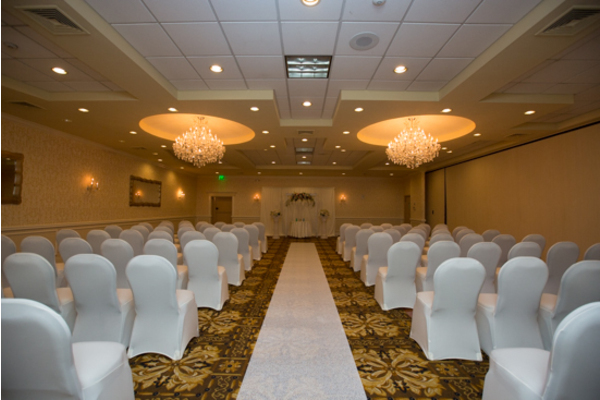 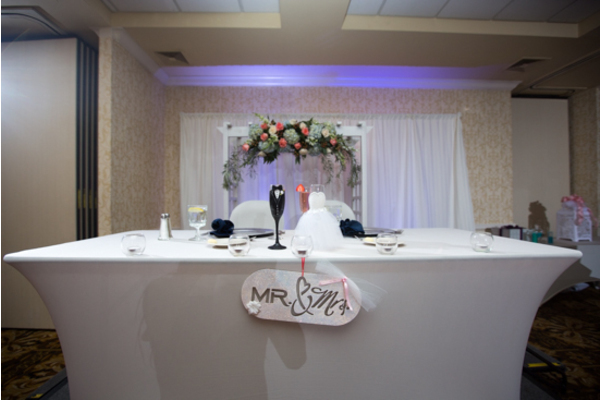 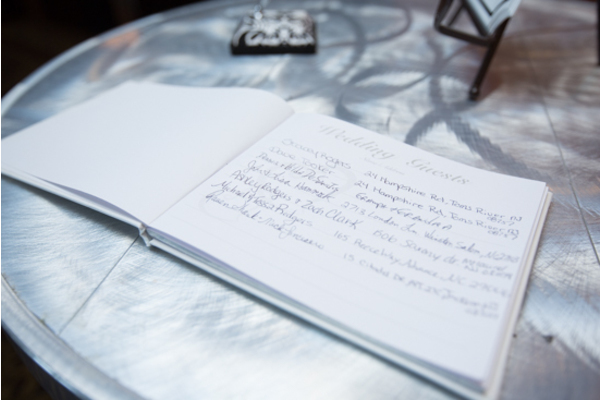 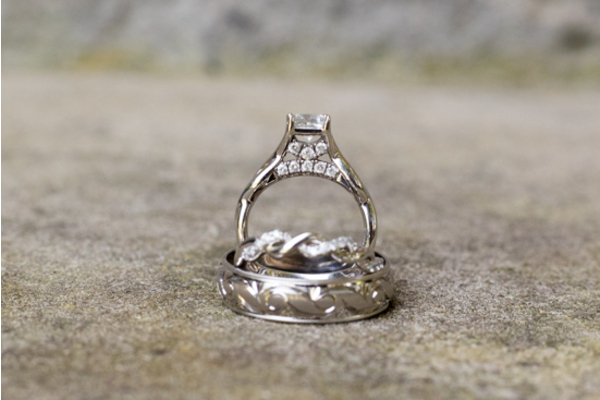 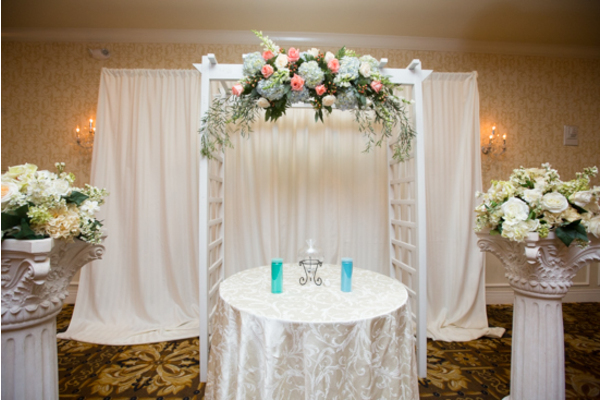 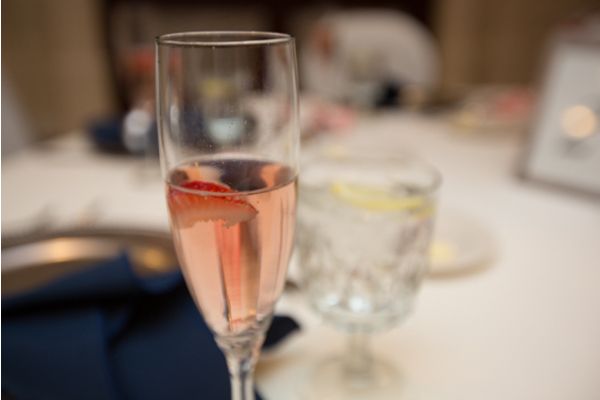 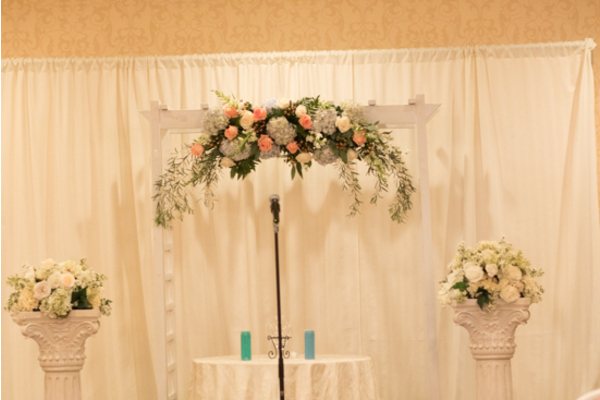 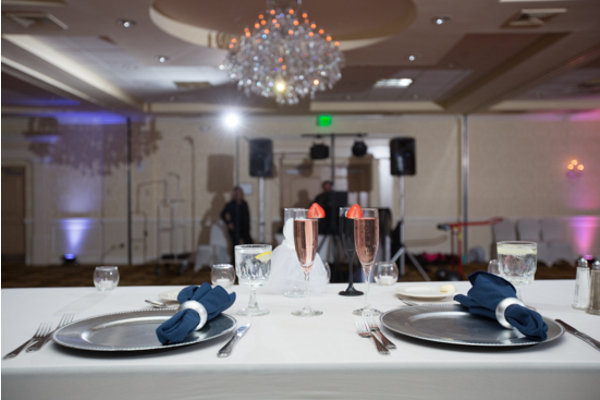 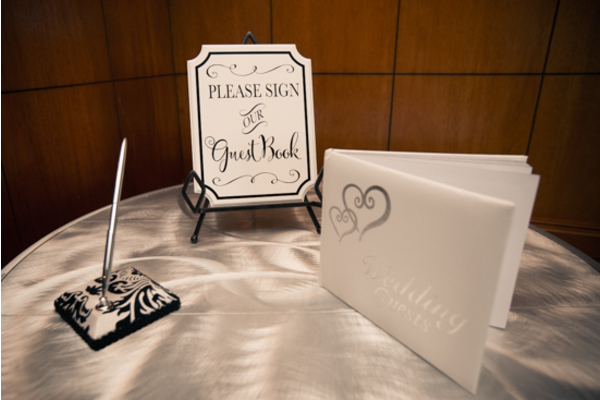 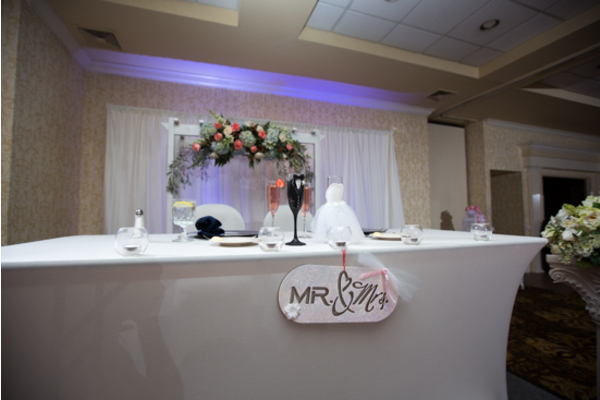 We were happy to be apart of your dream wedding!